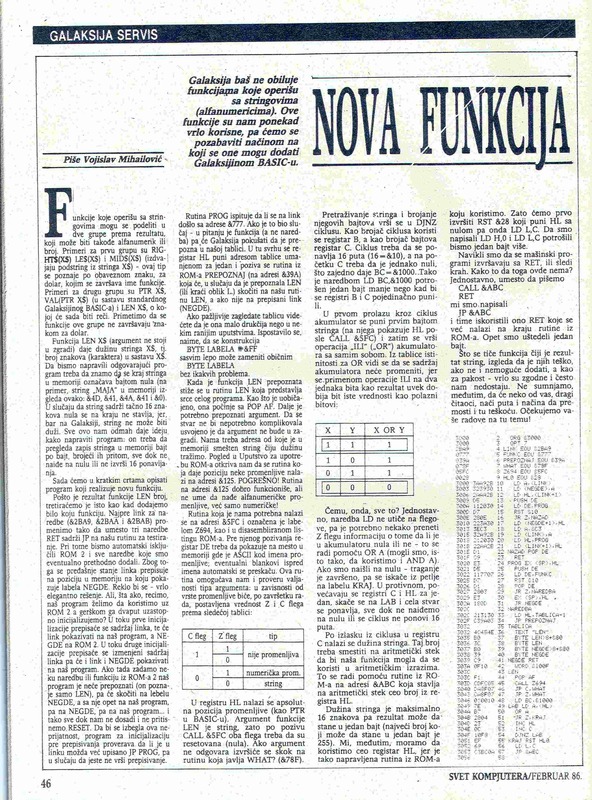 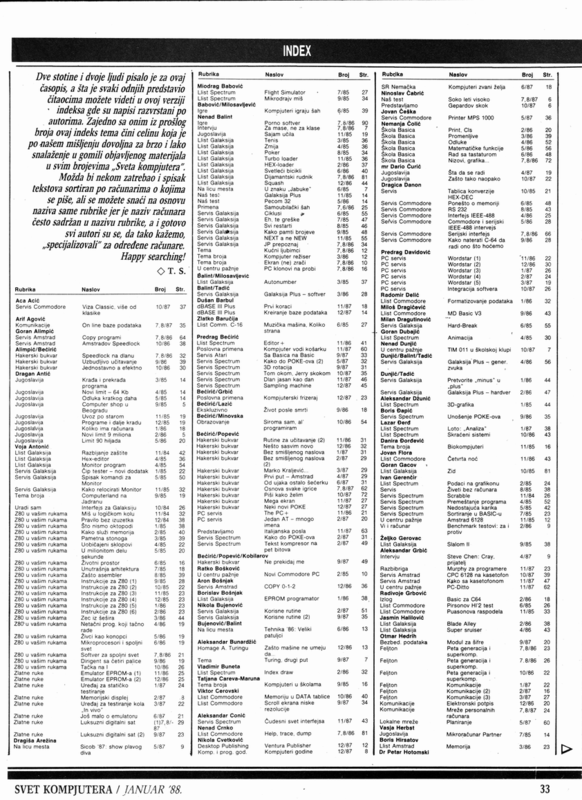 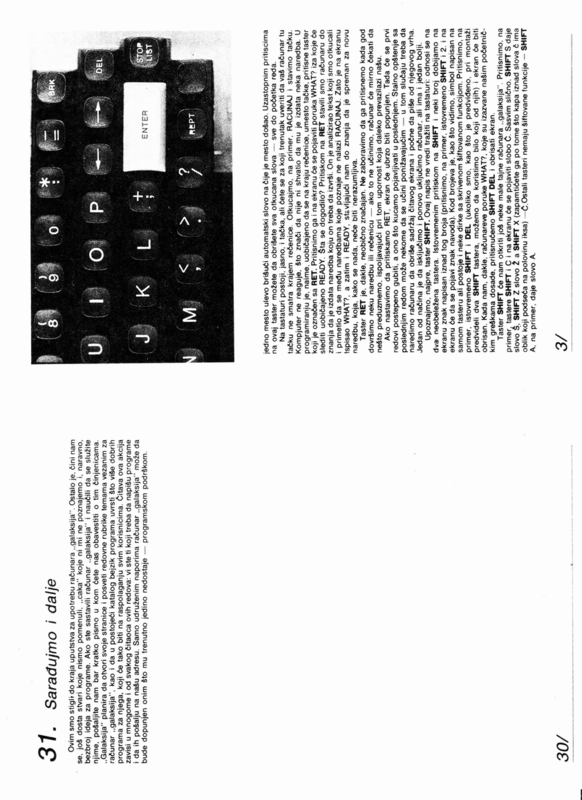 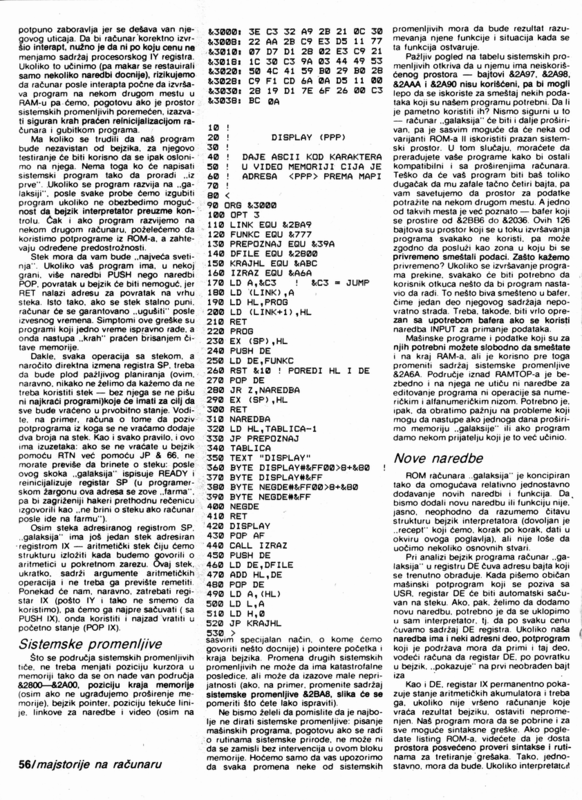 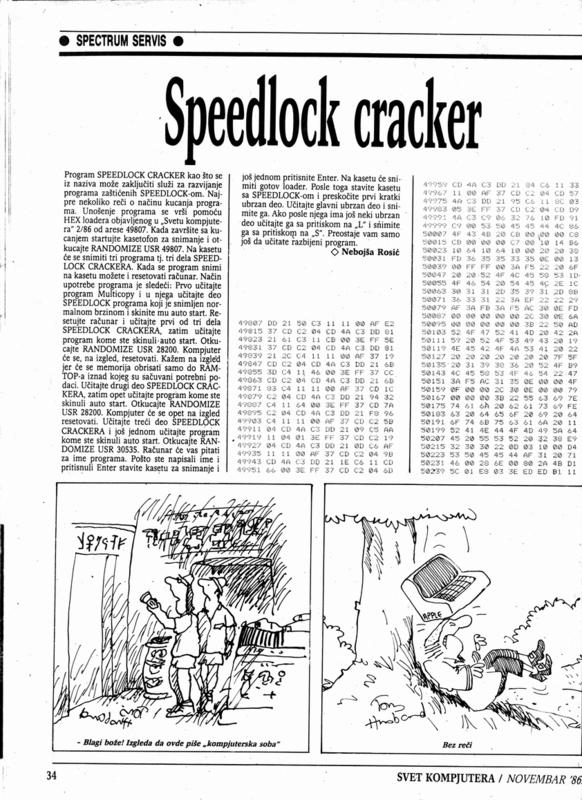 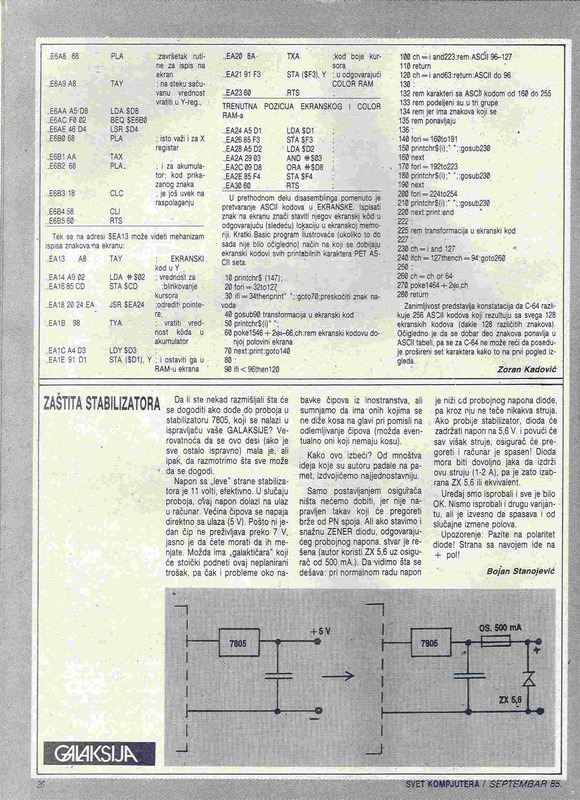 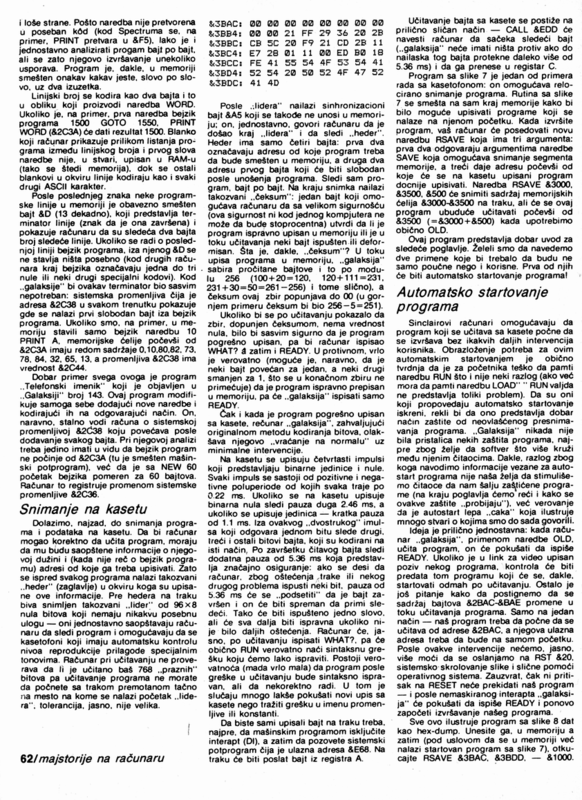 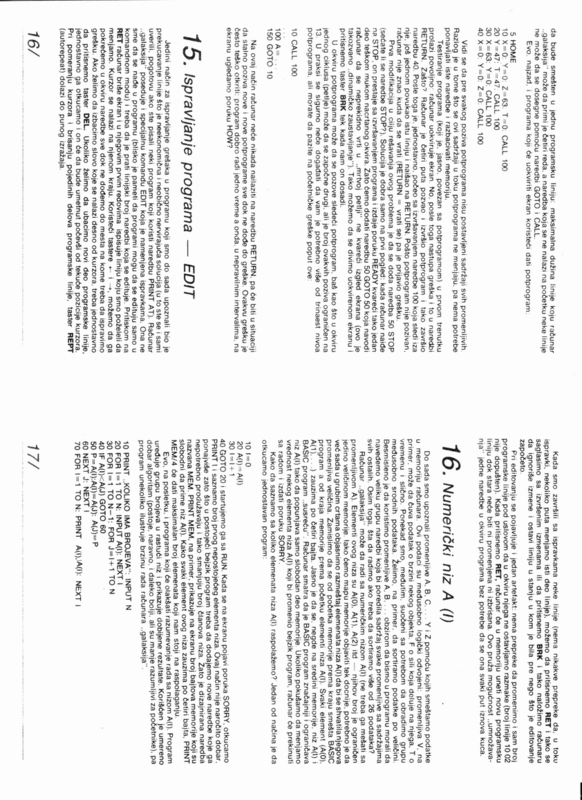 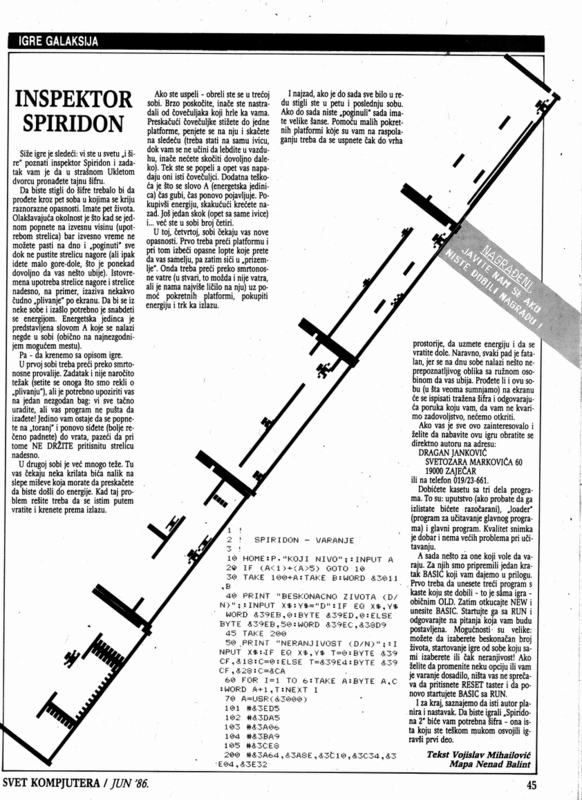 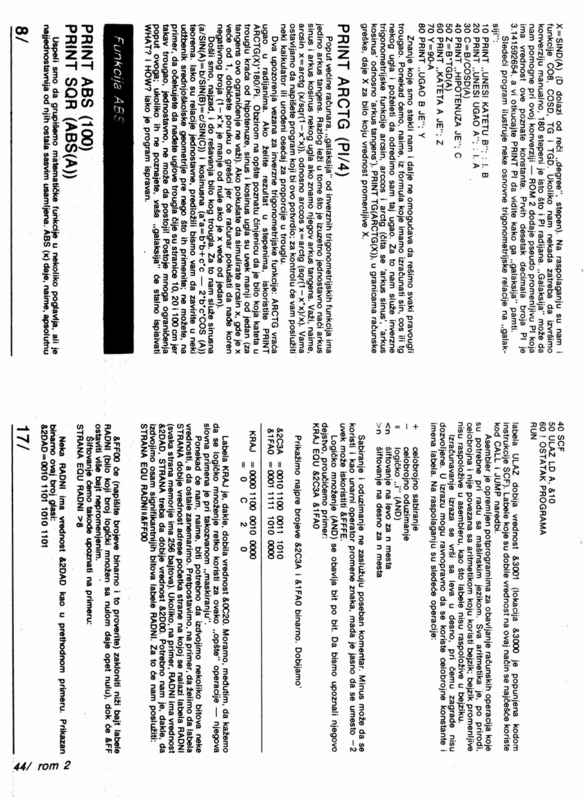 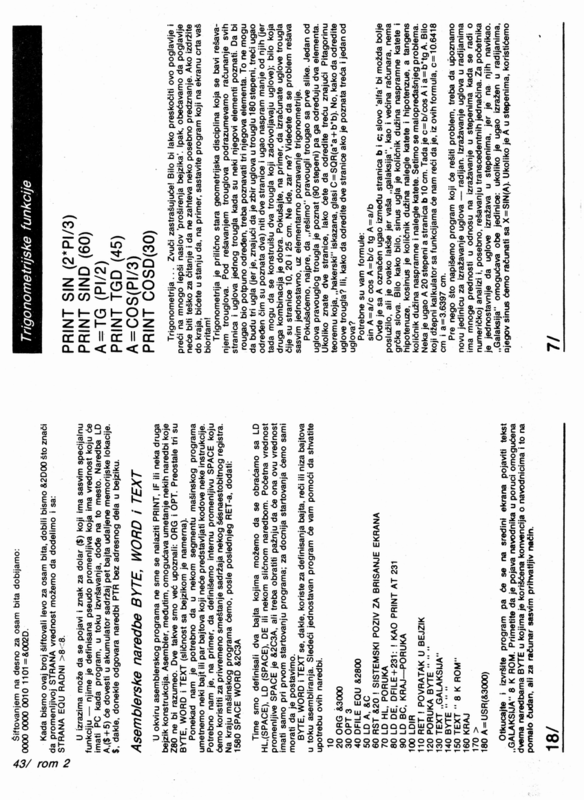 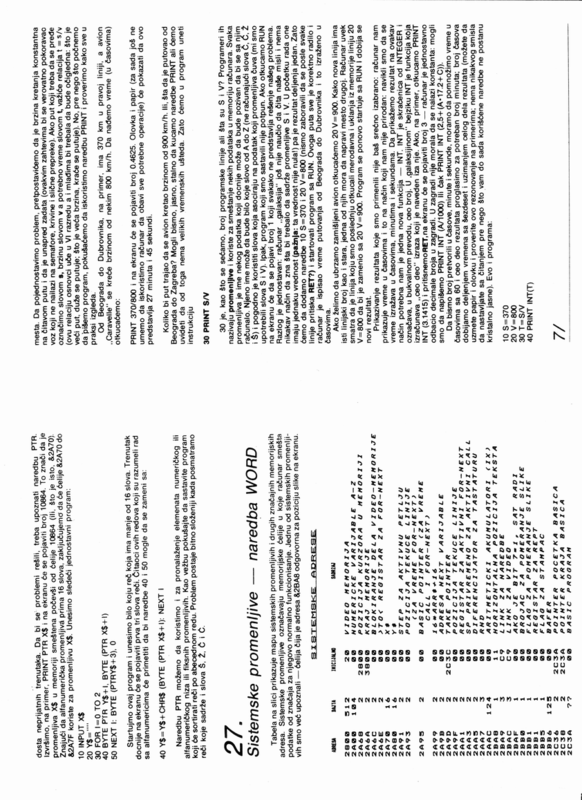 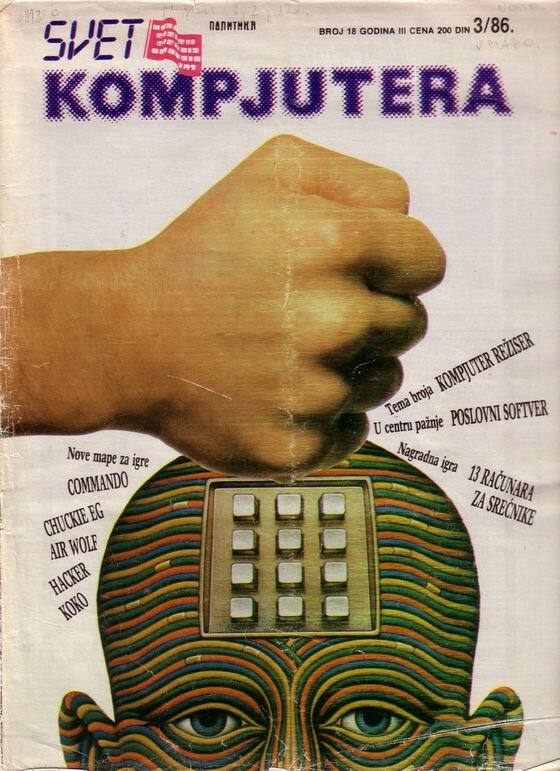 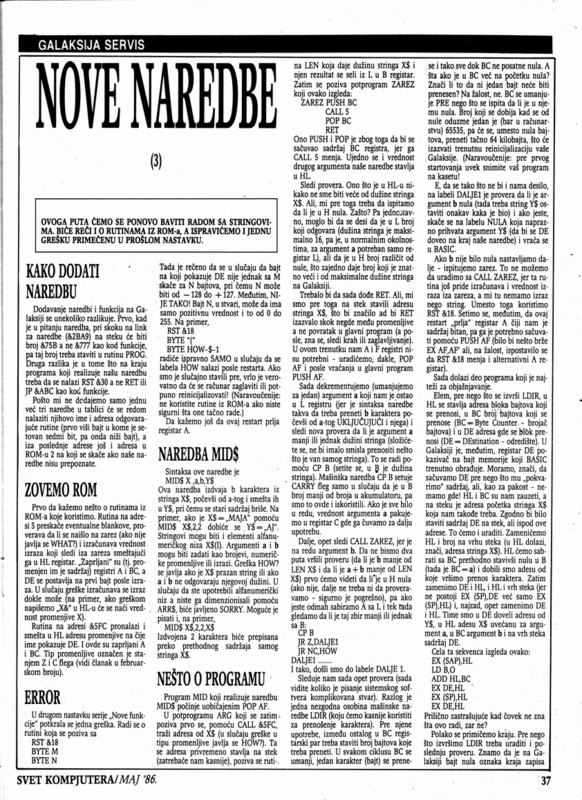 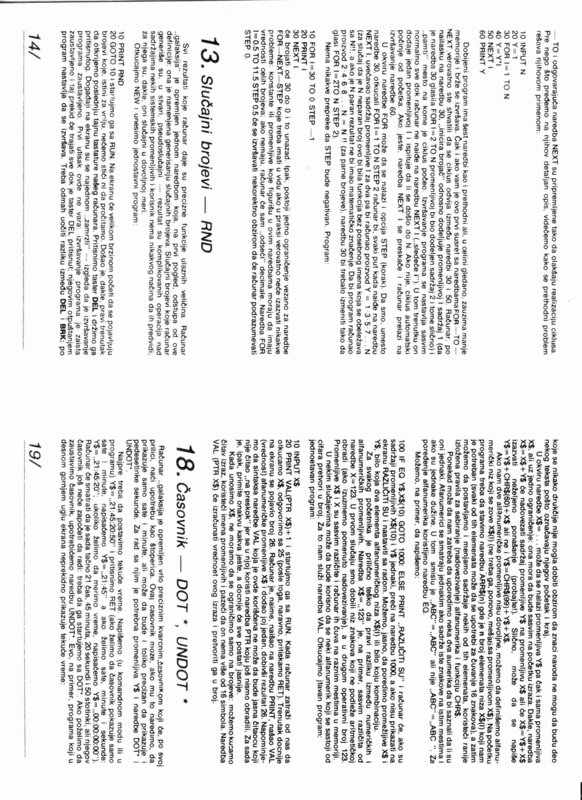 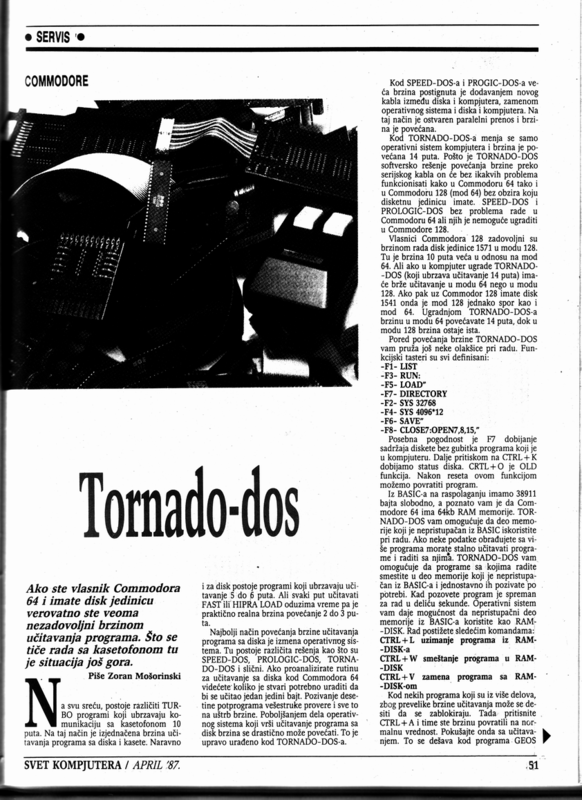 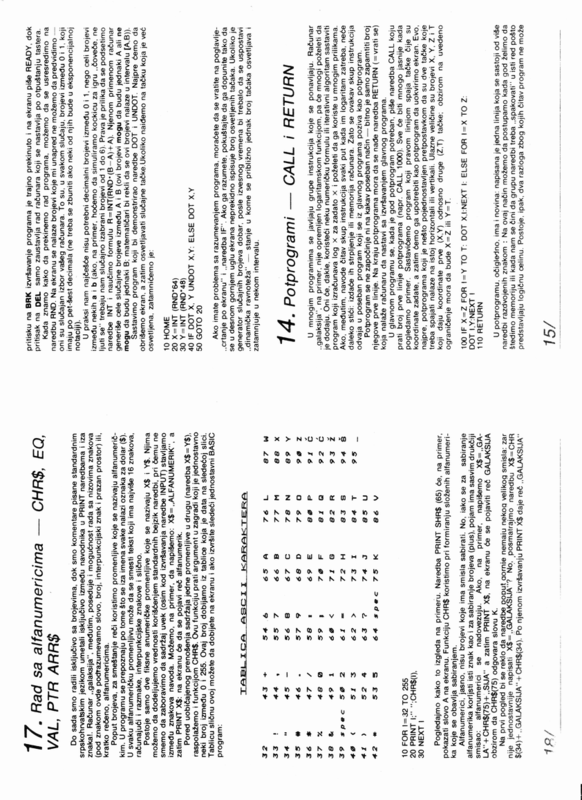 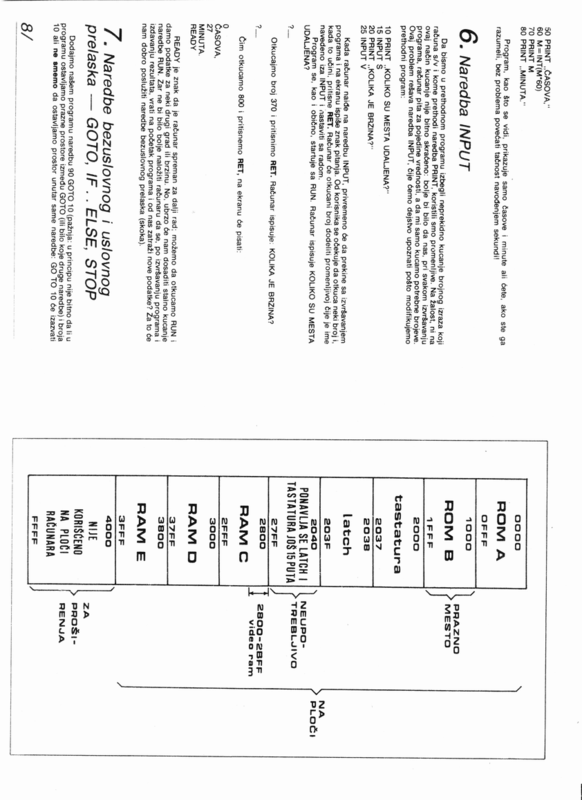 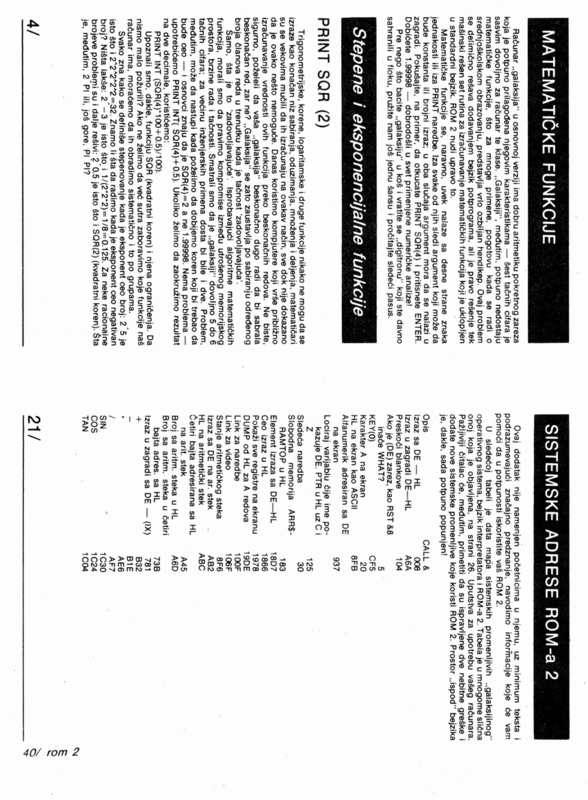 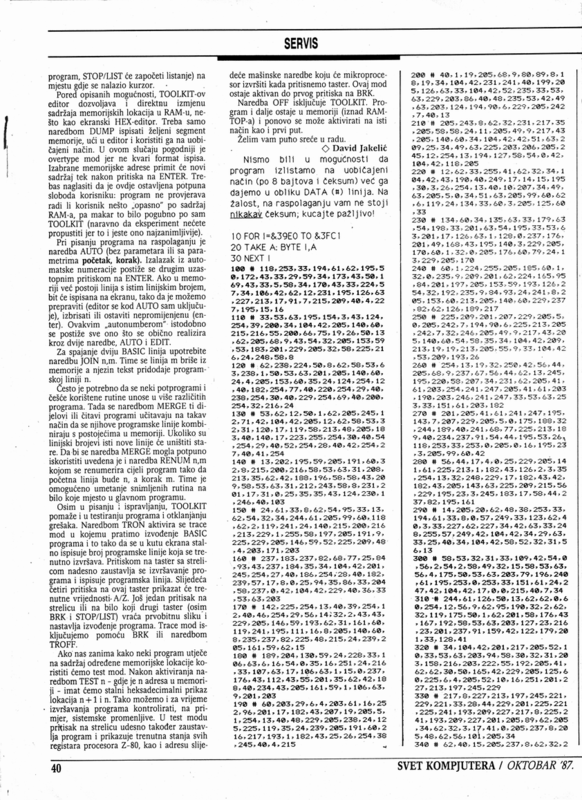 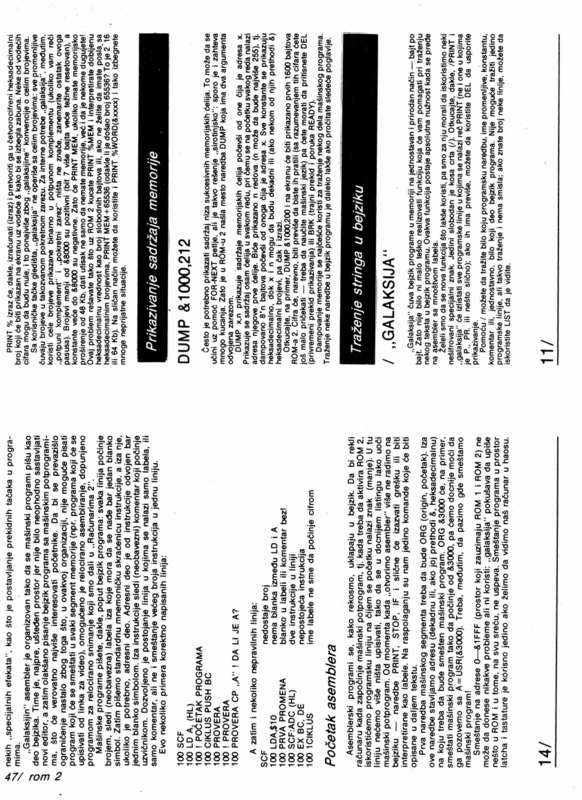 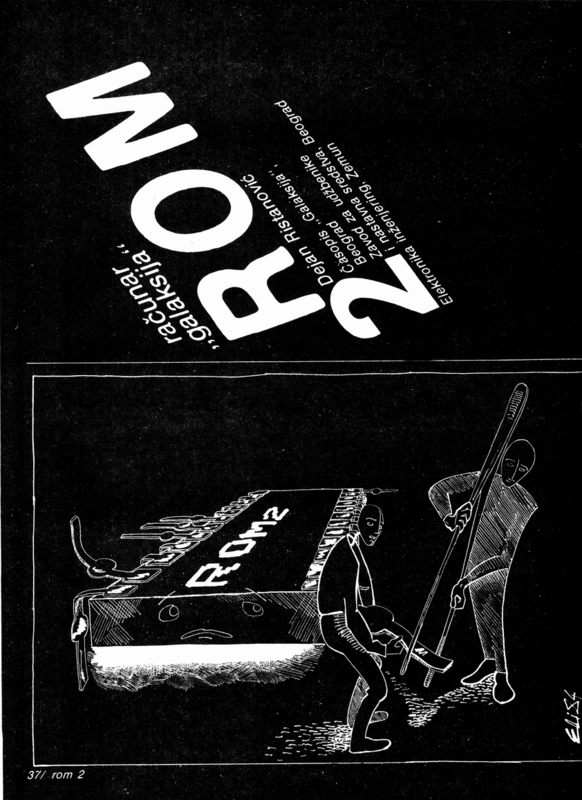 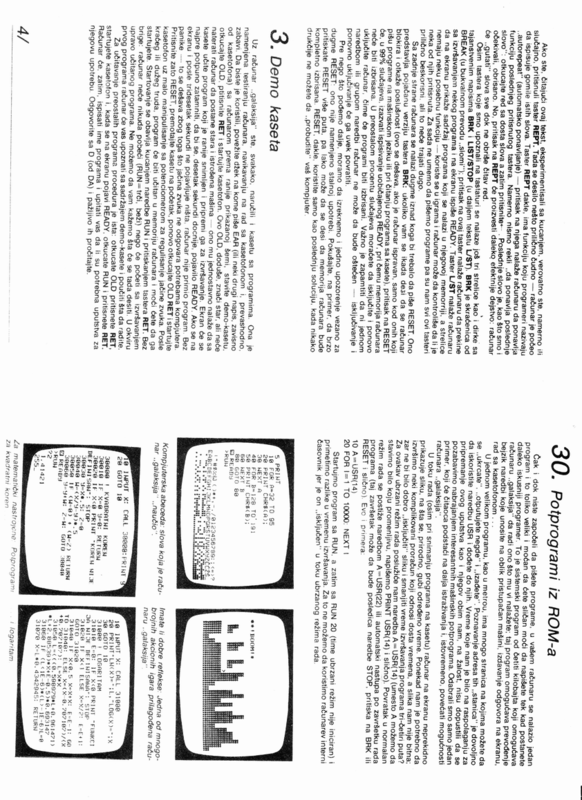 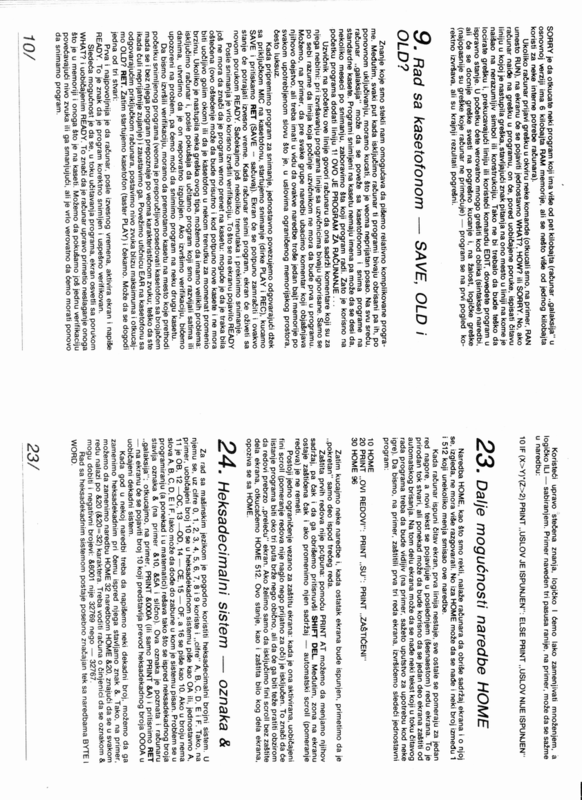 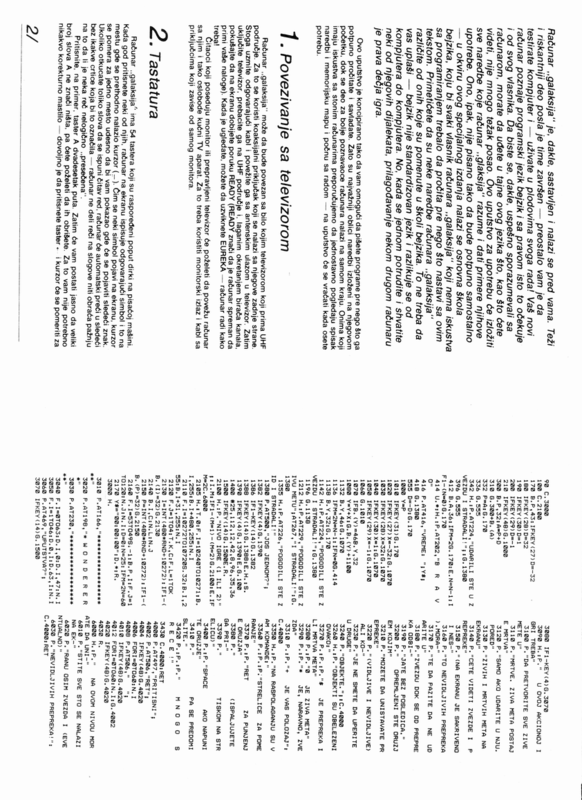 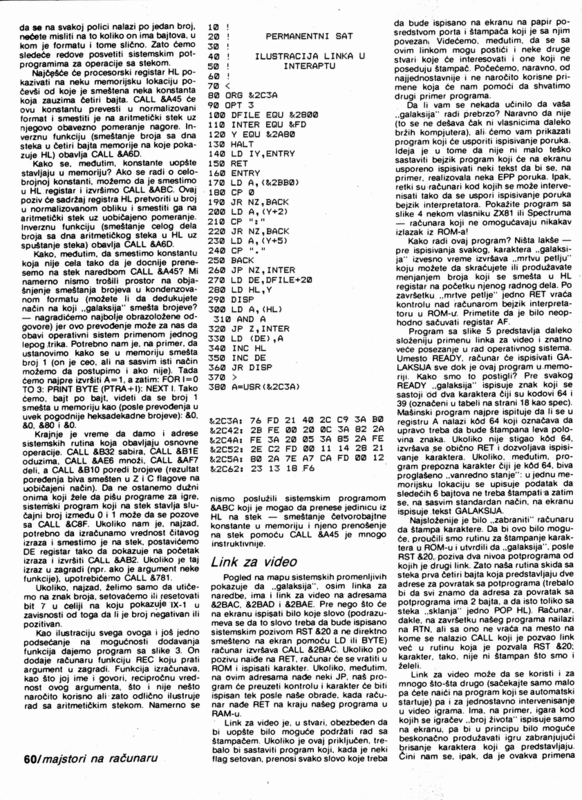 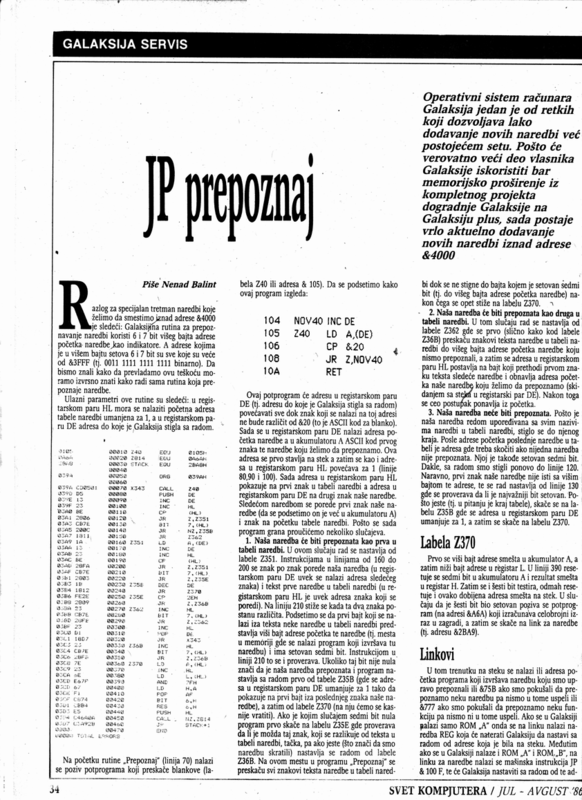 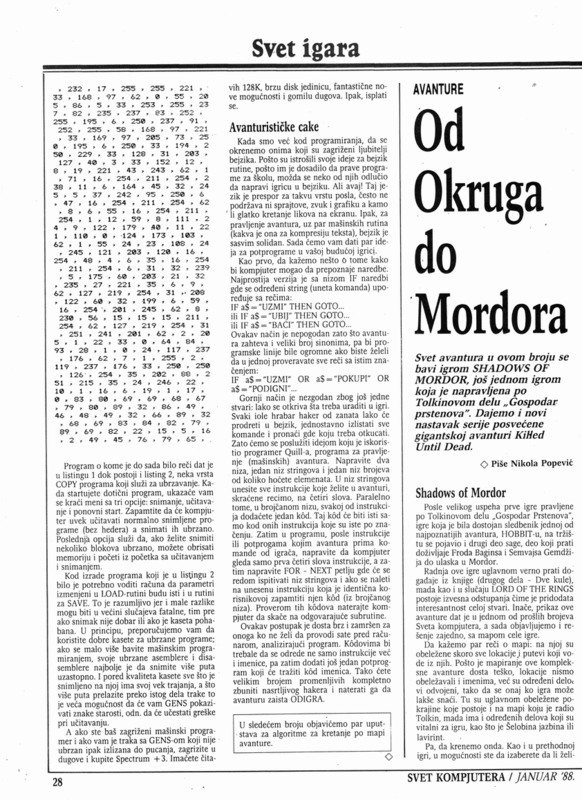 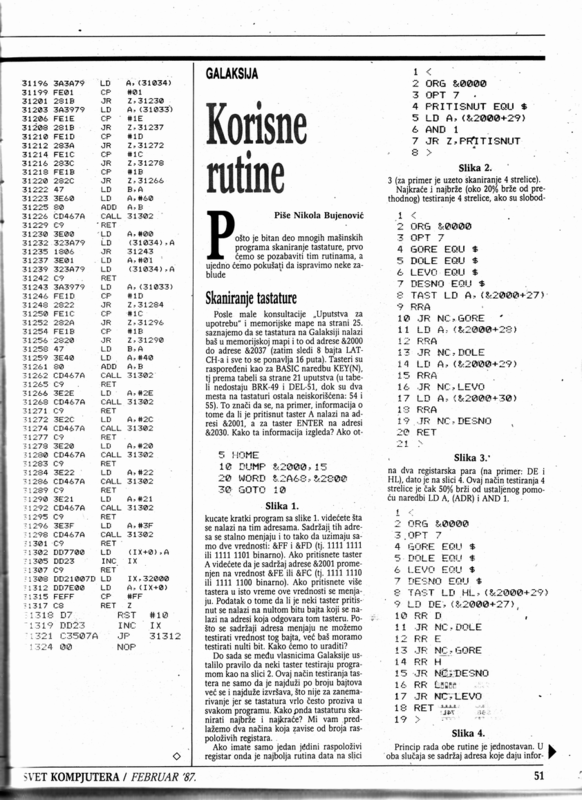 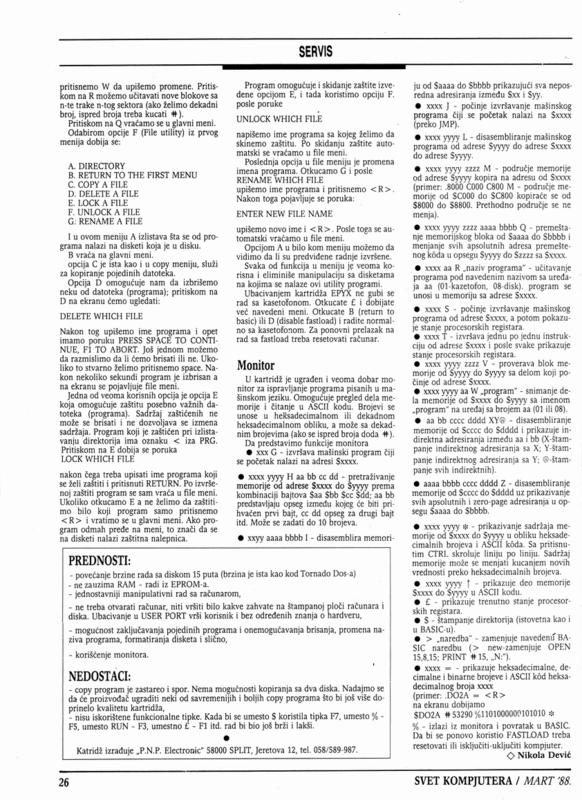 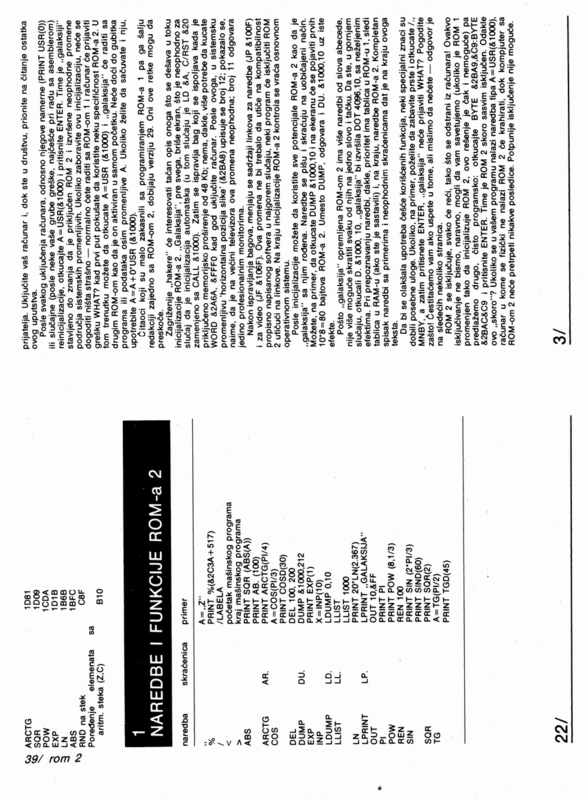 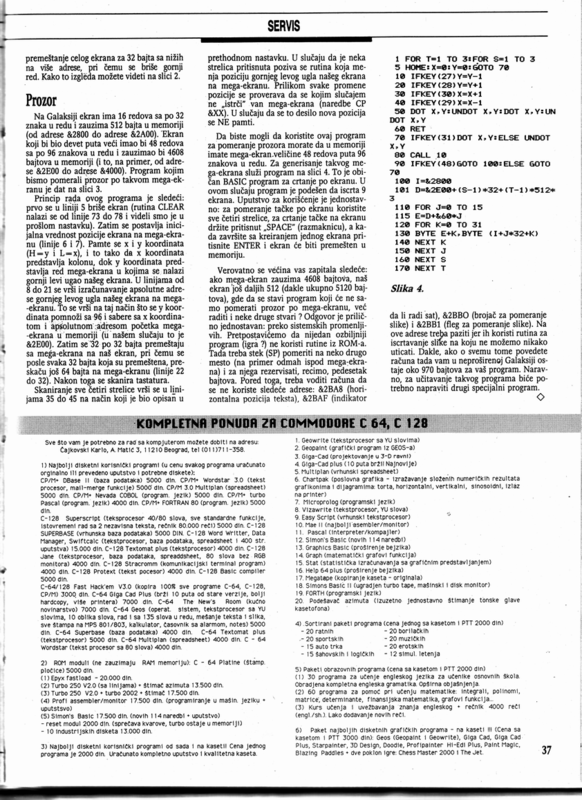 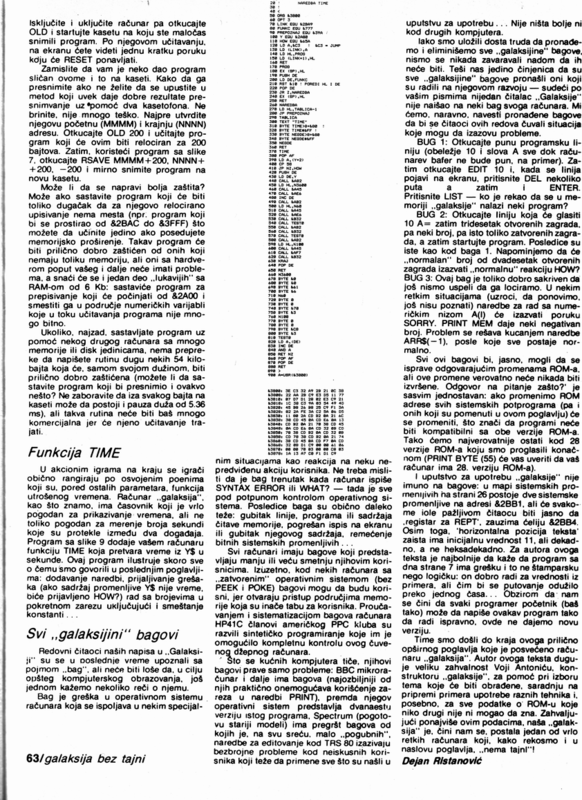 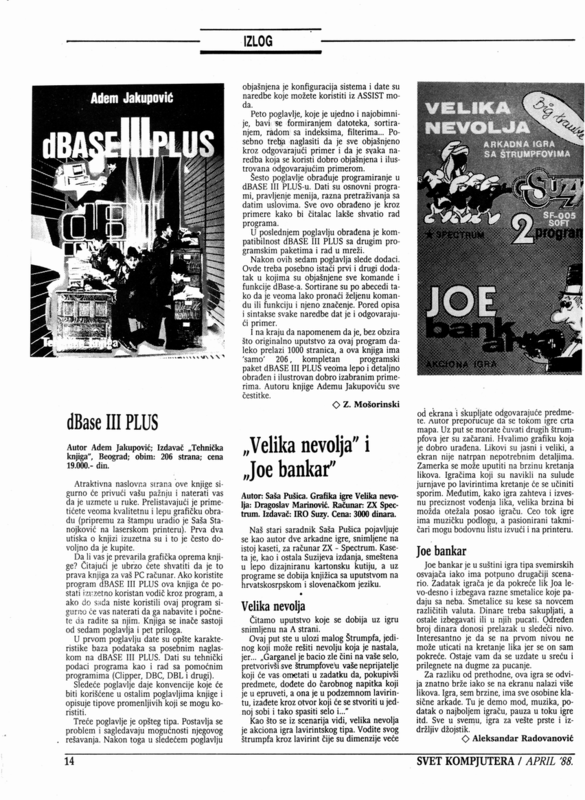 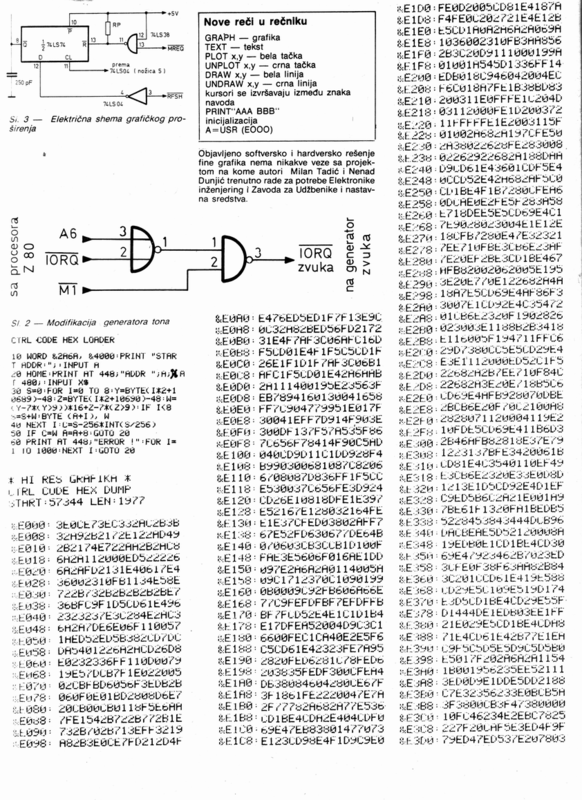 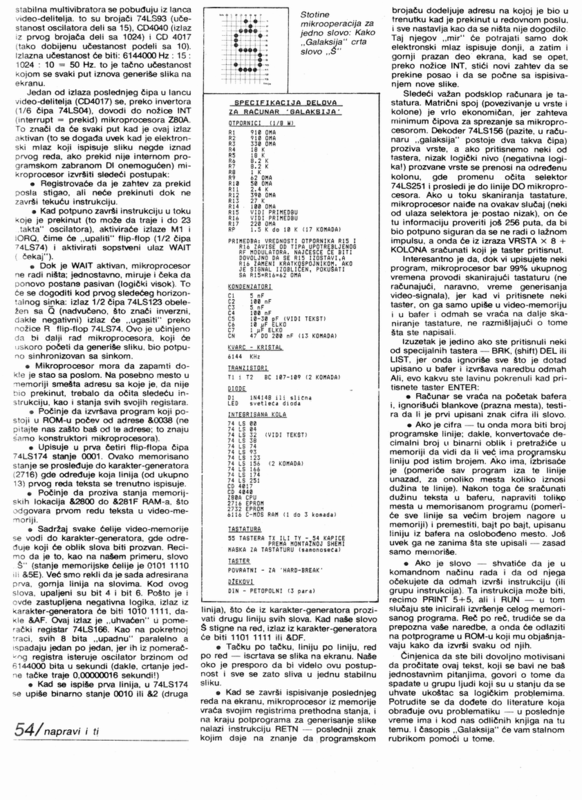 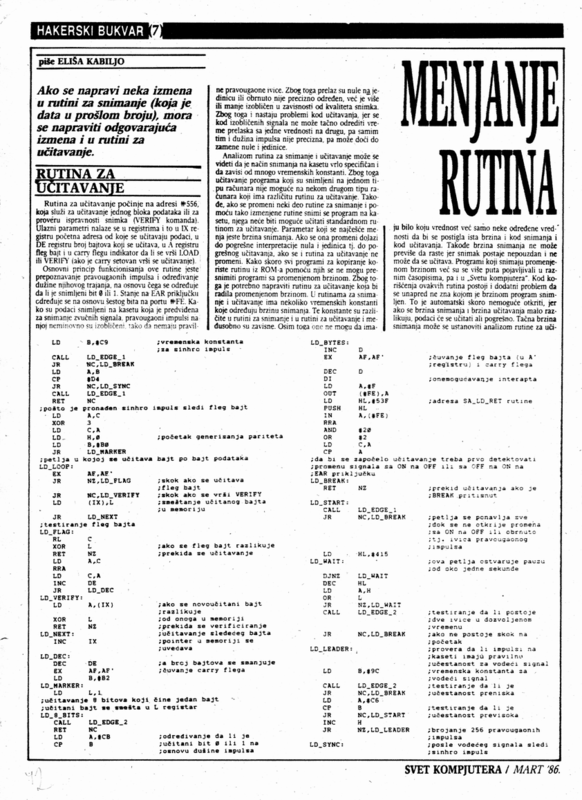 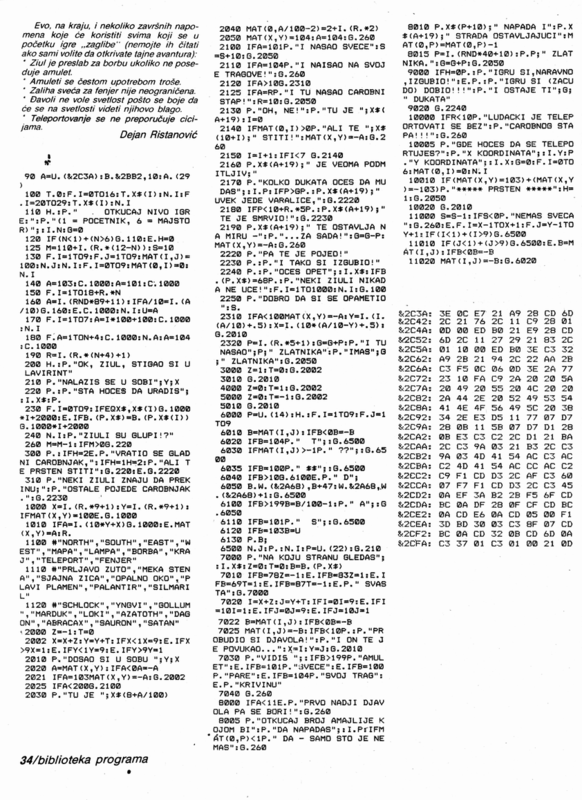 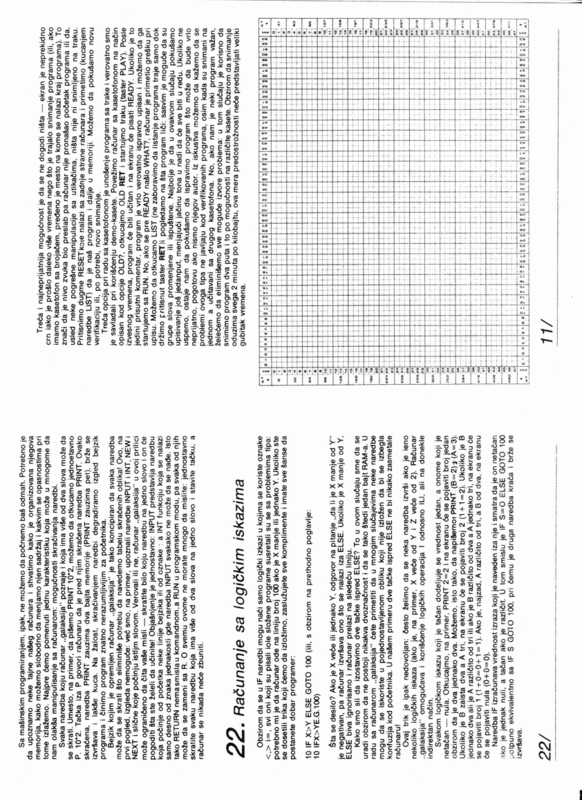 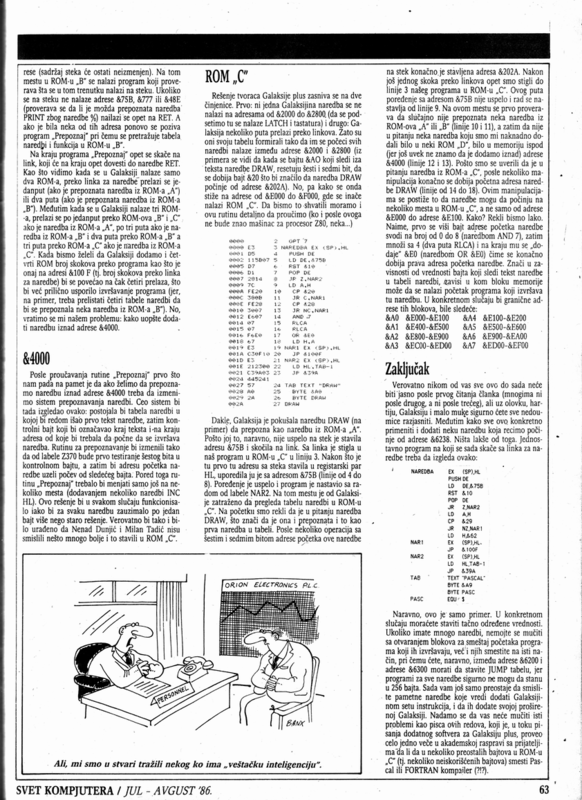 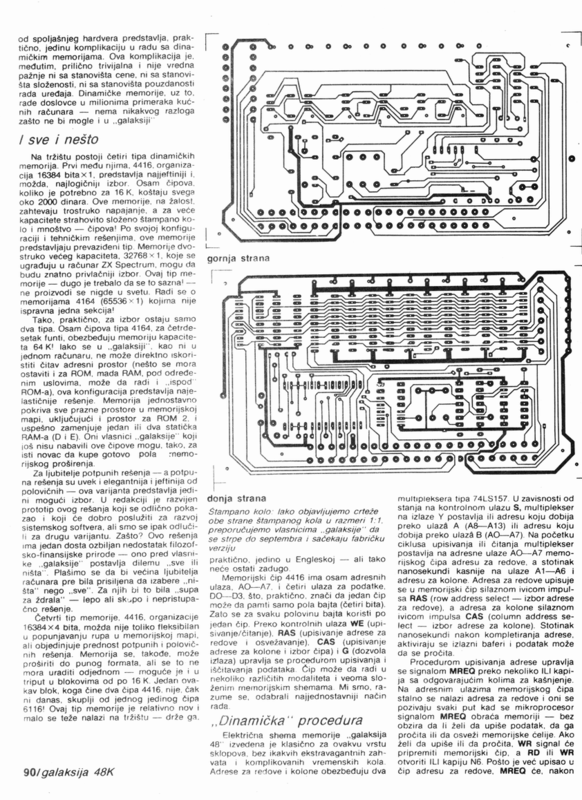 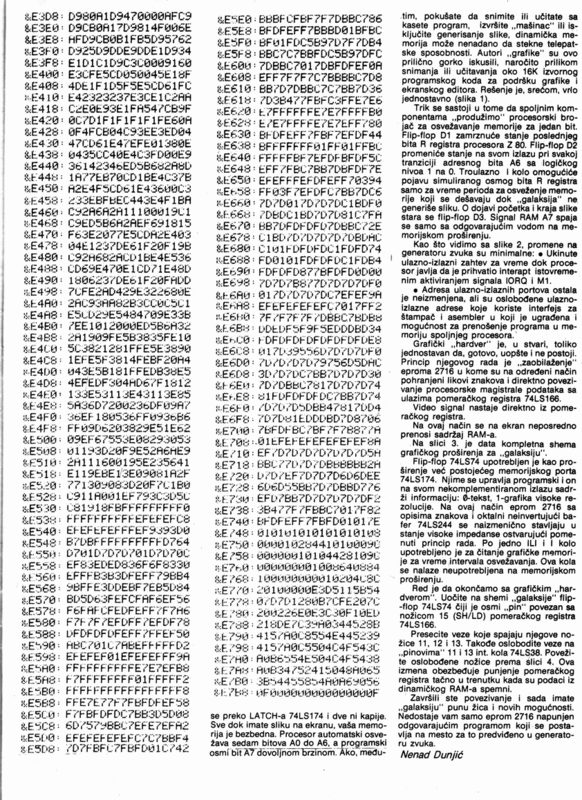 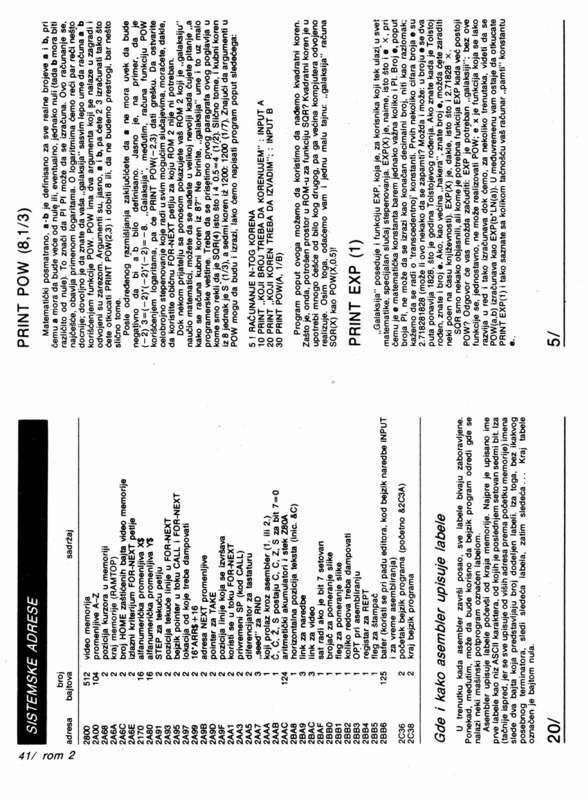 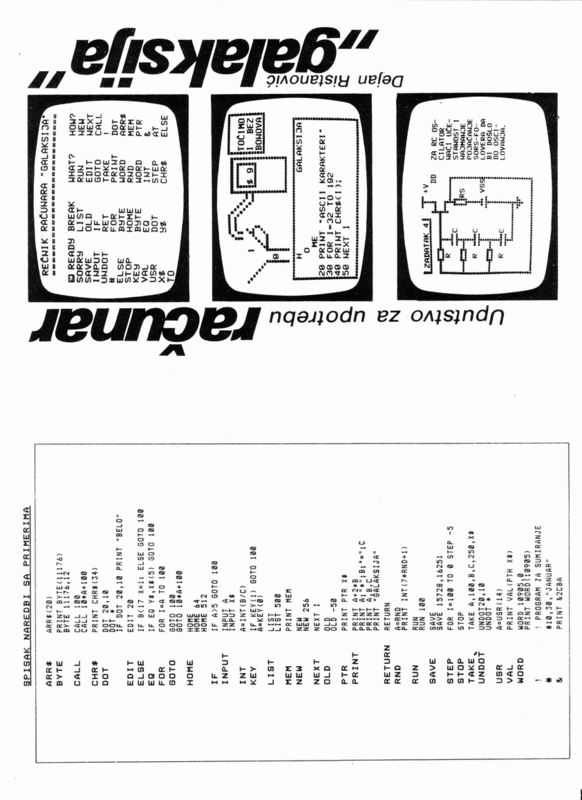 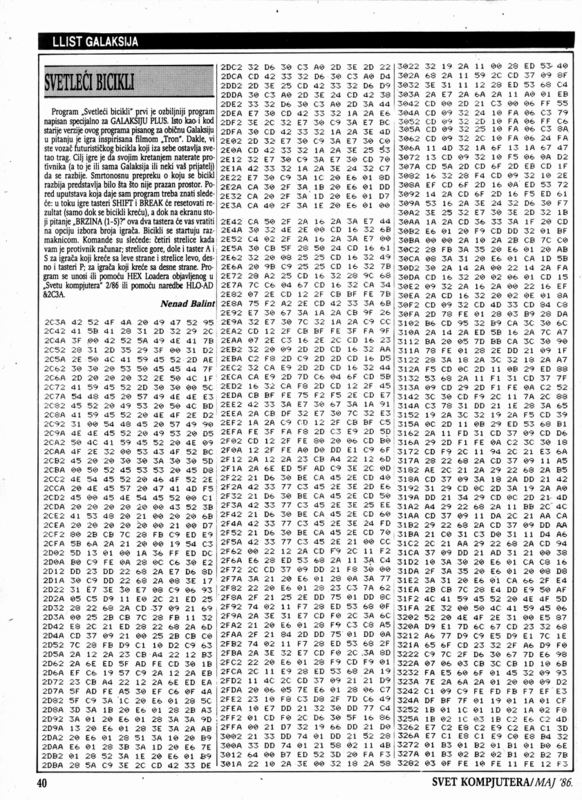 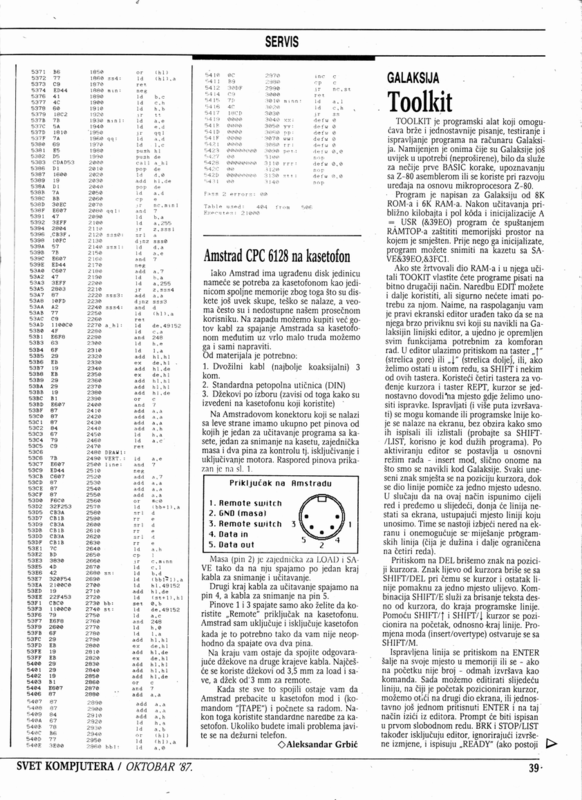 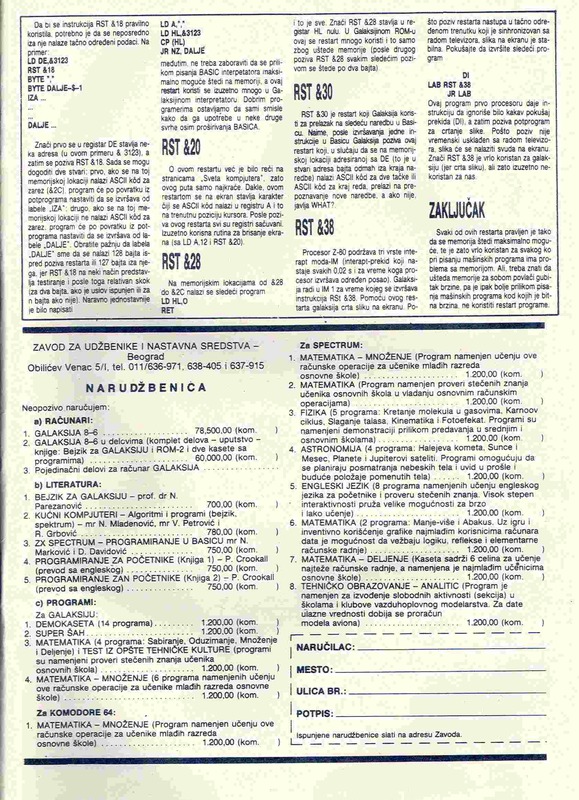 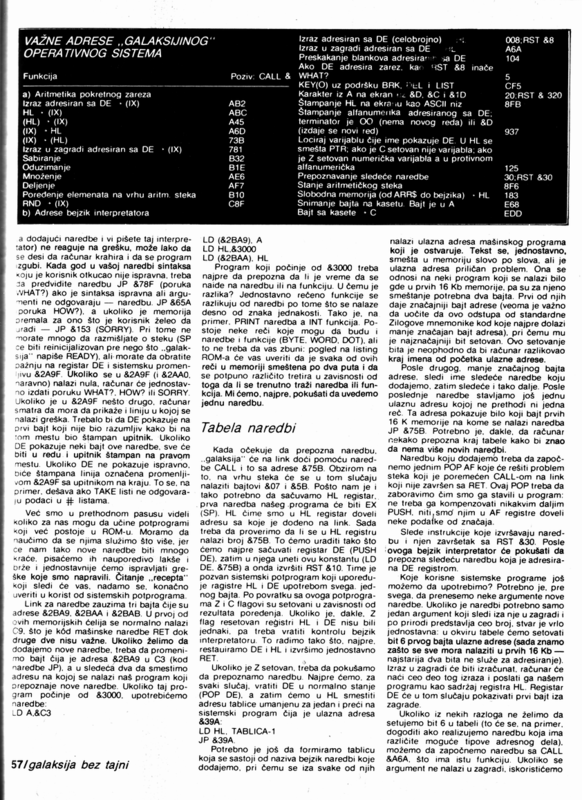 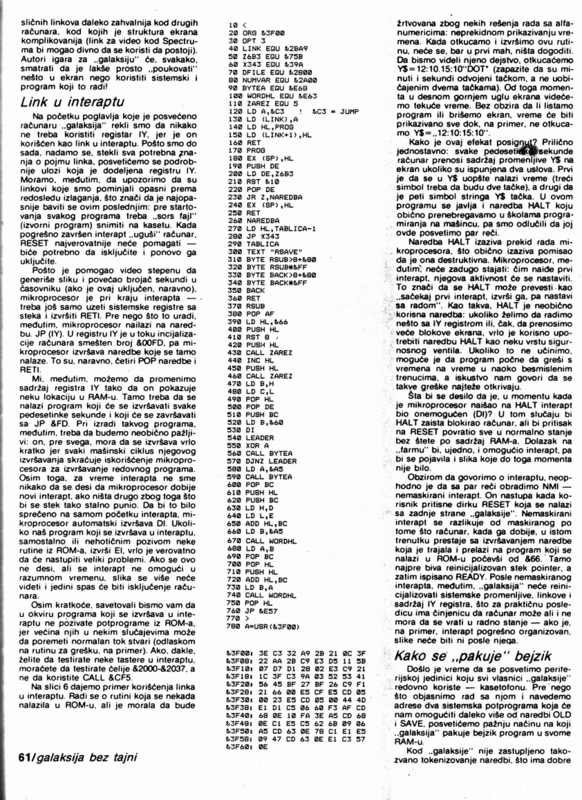 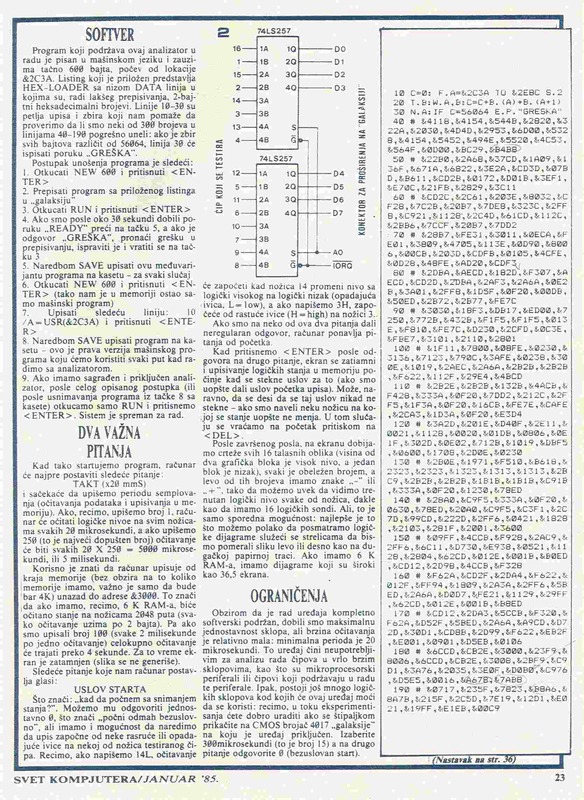 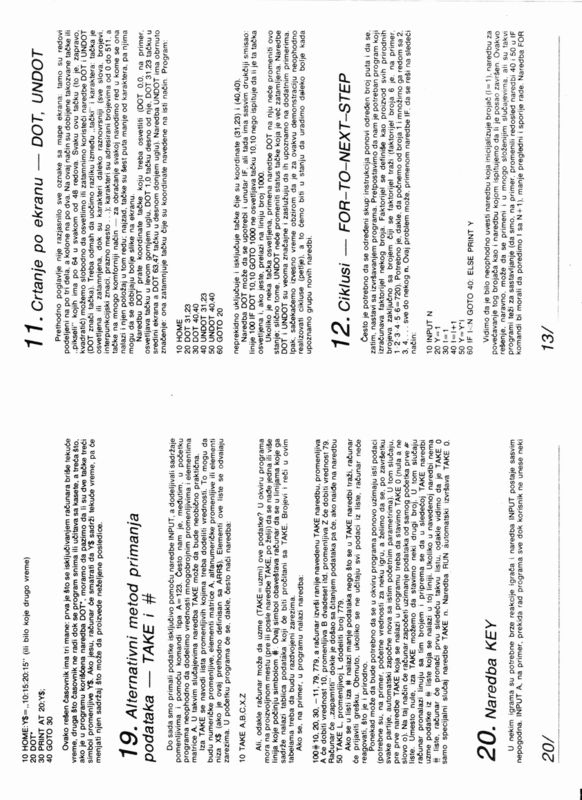 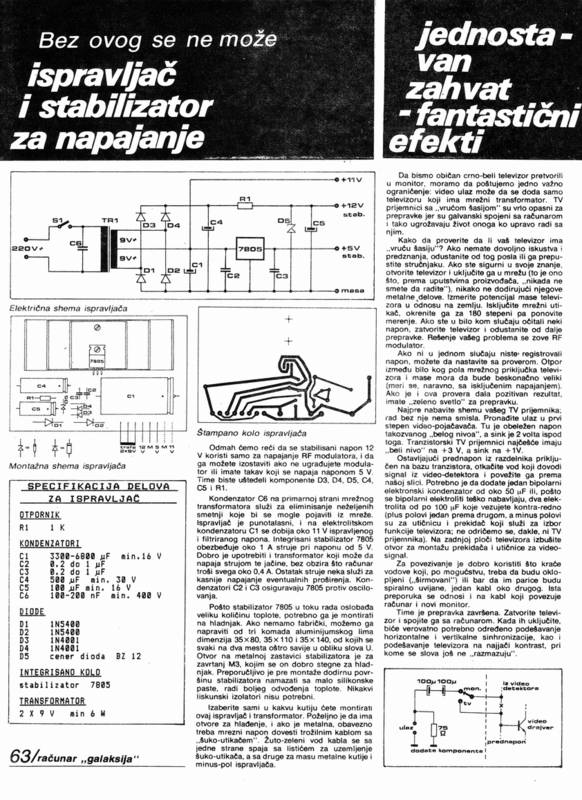 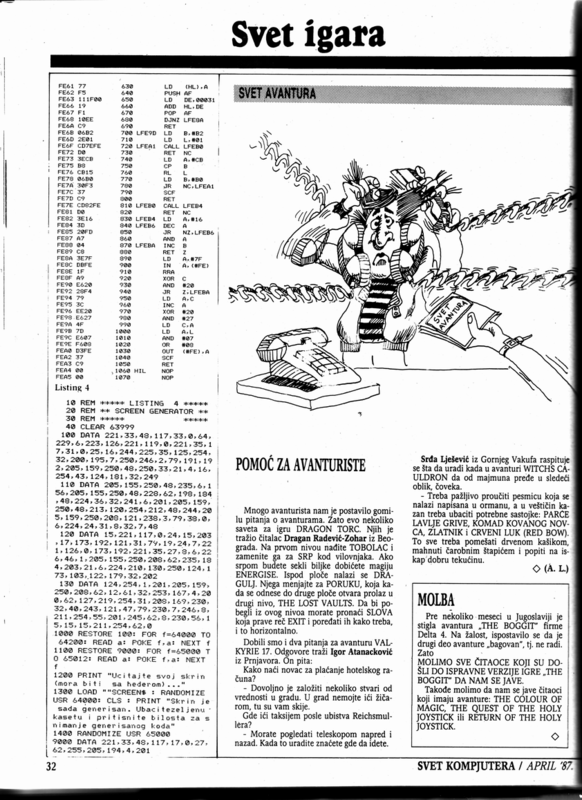 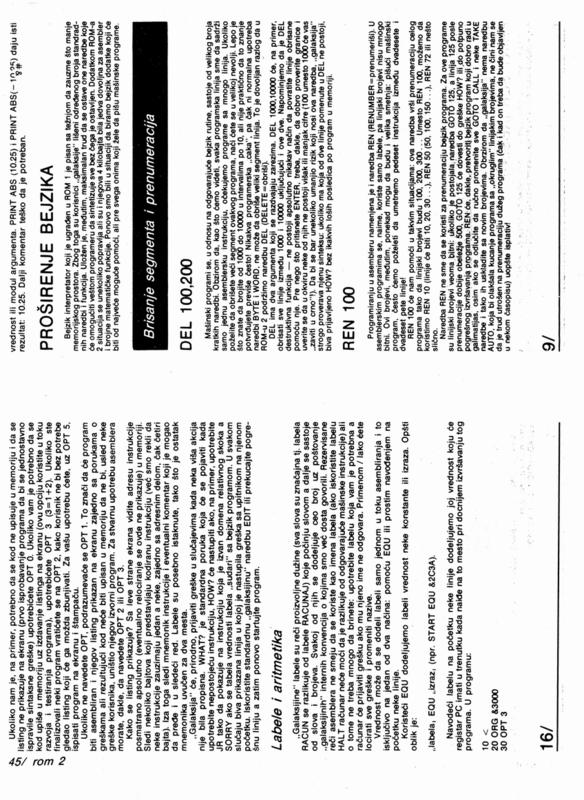 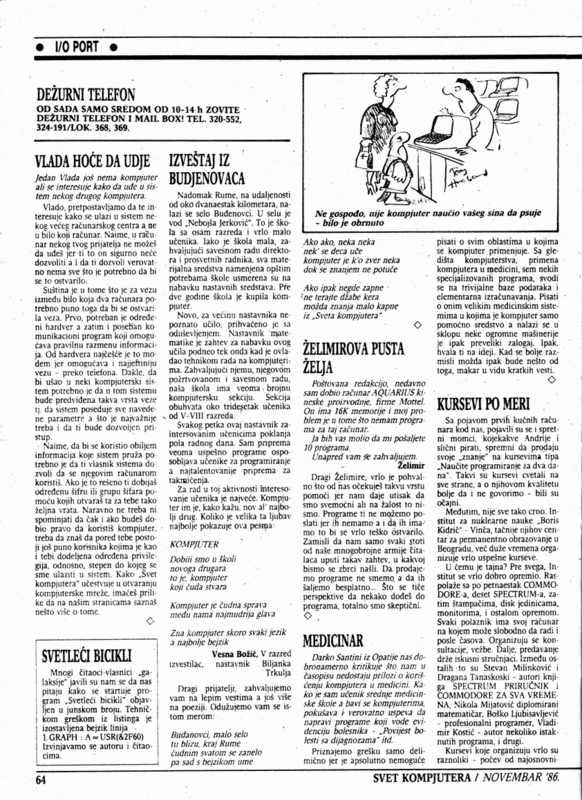 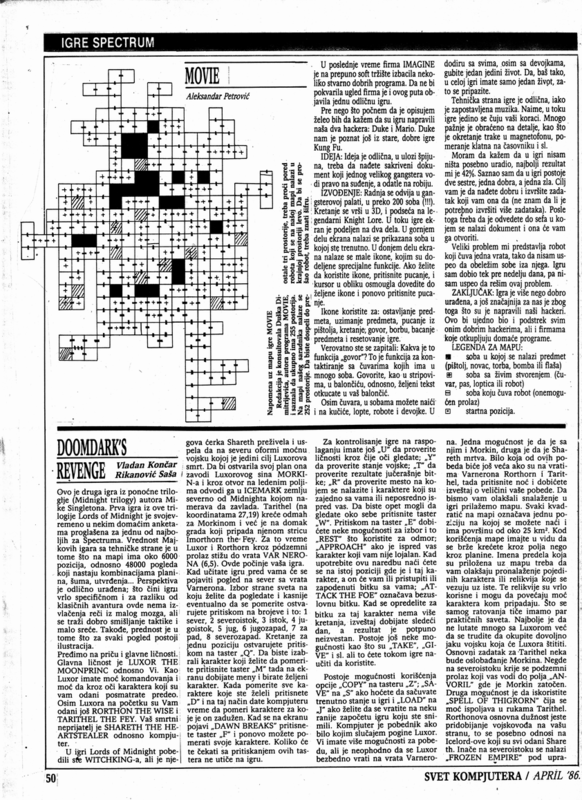 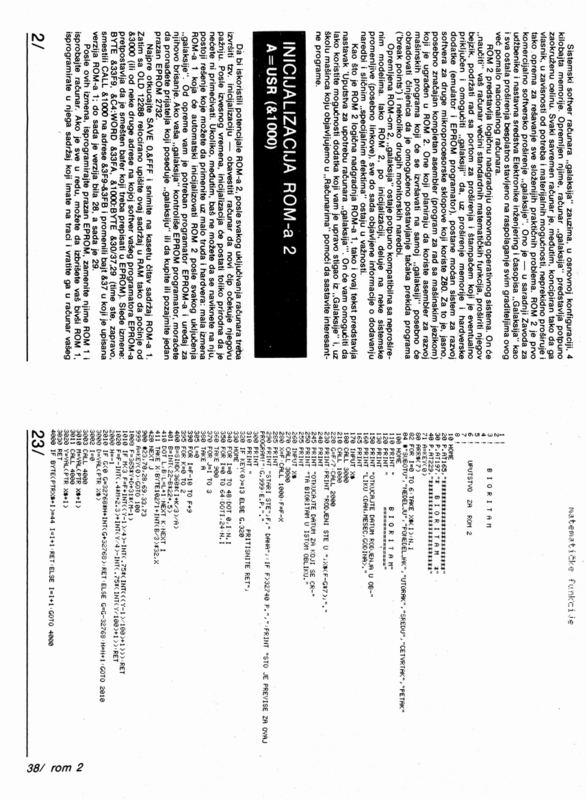 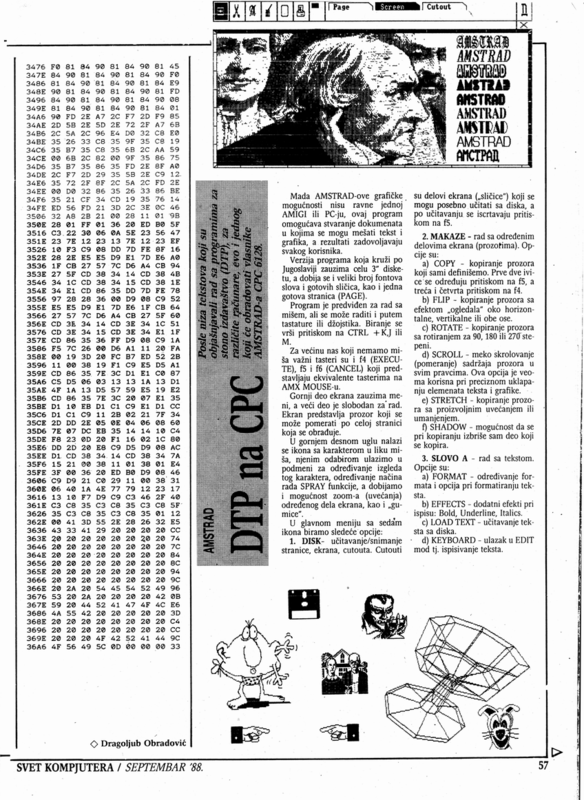 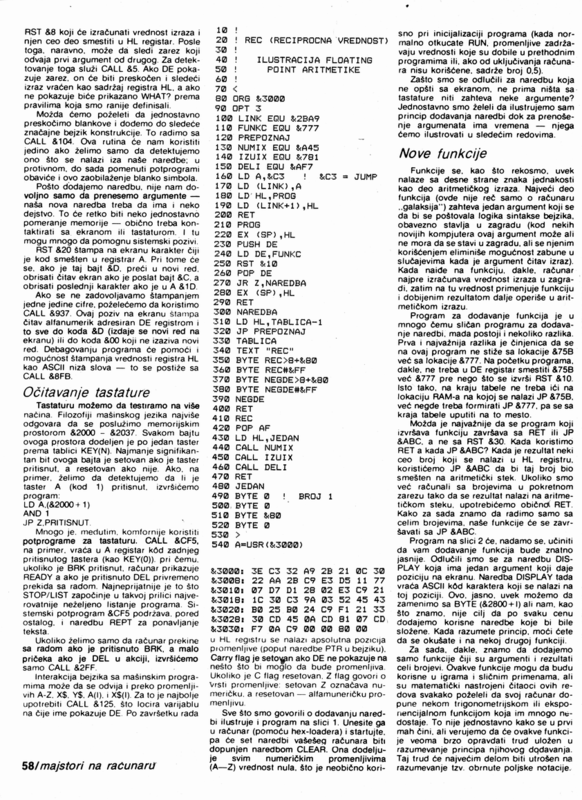 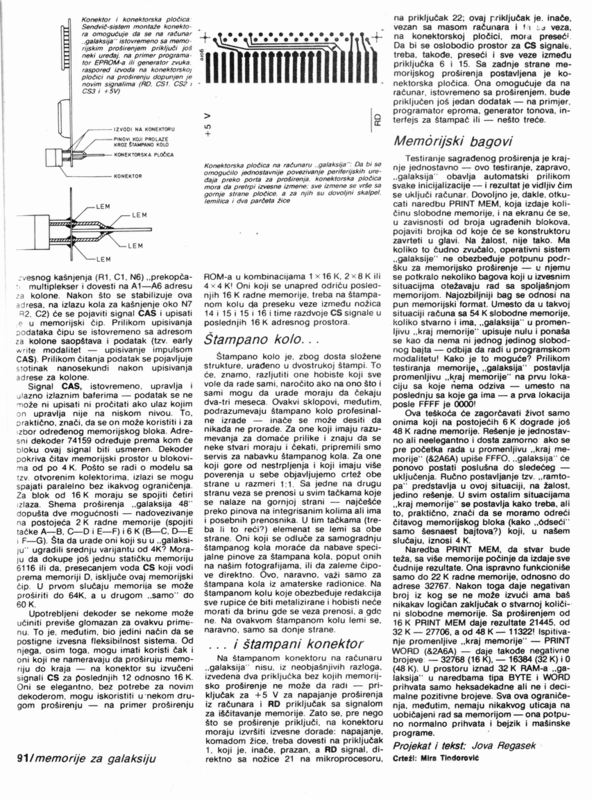 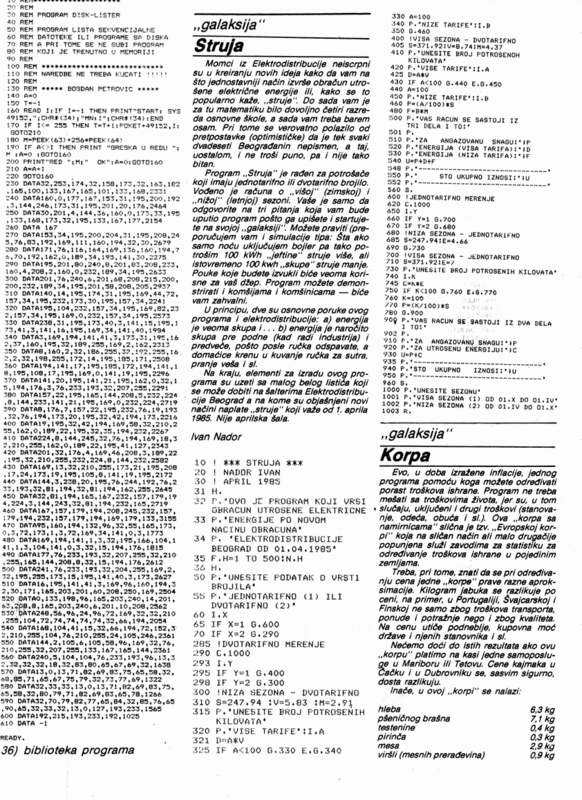 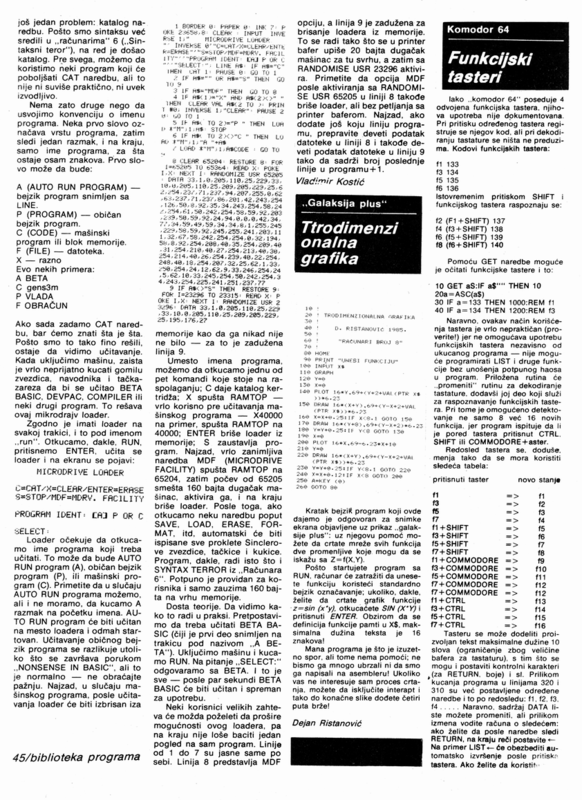 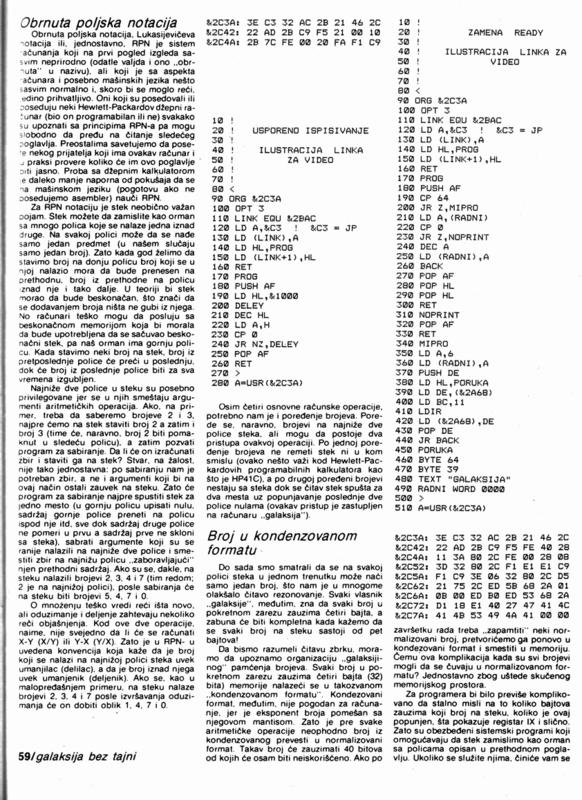 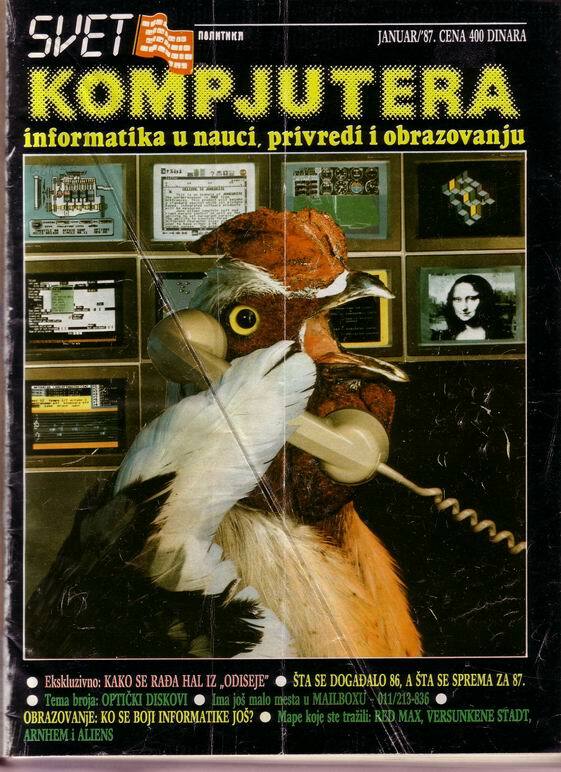 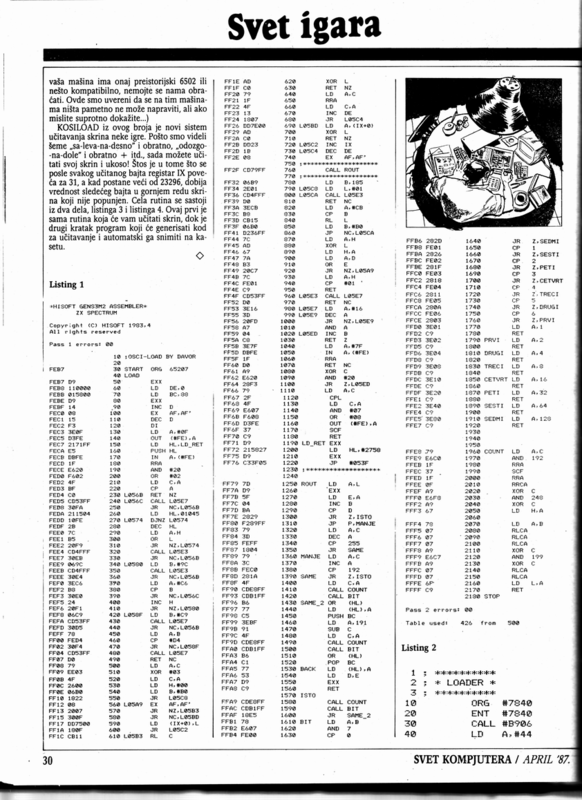 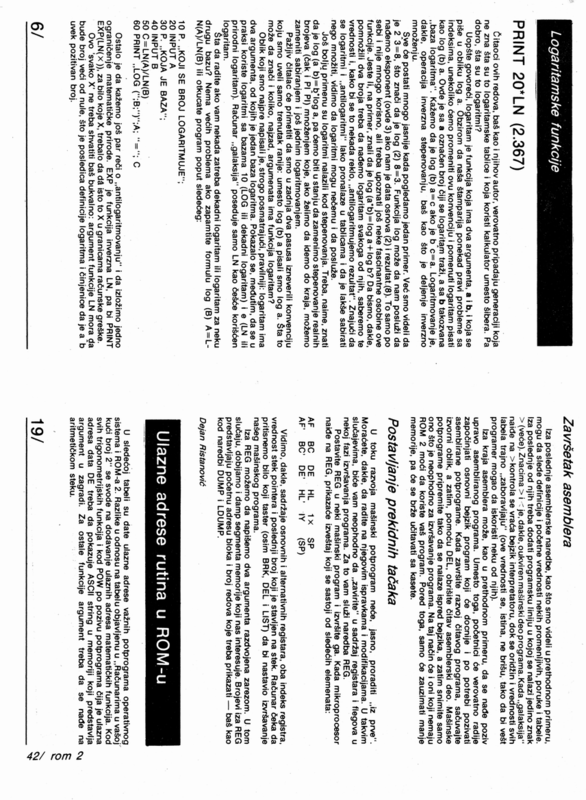 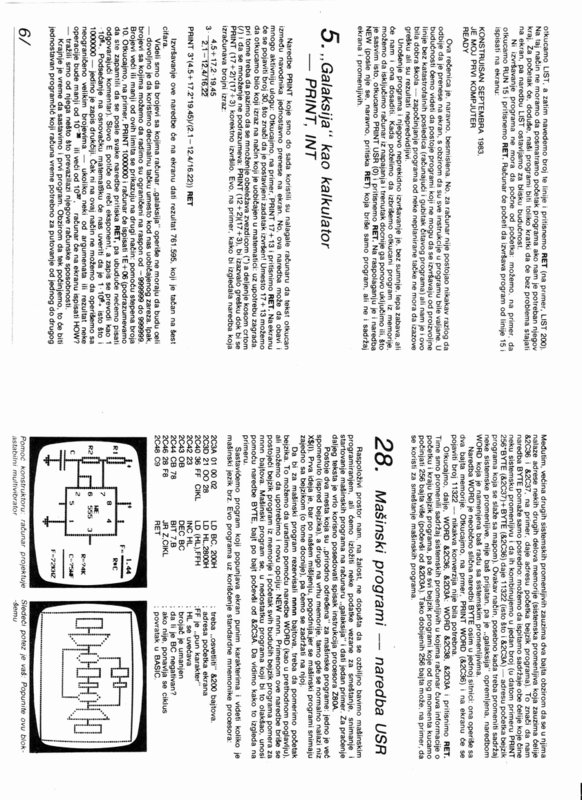 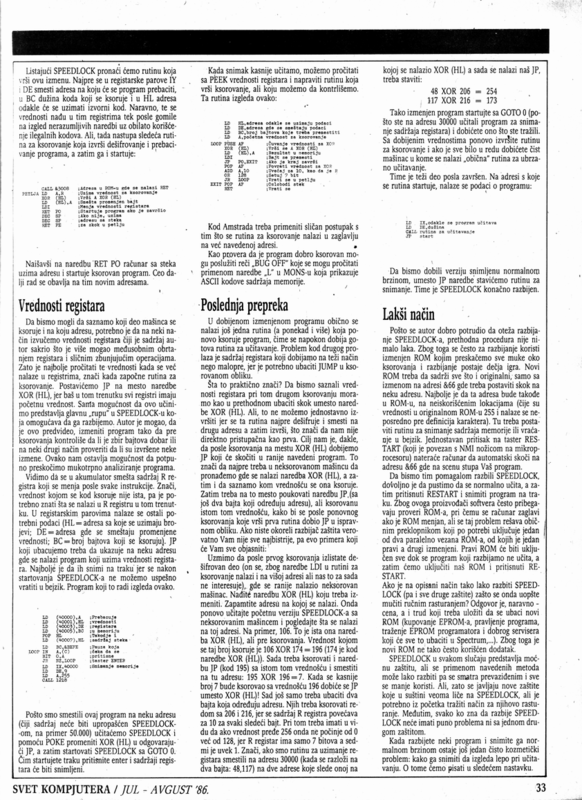 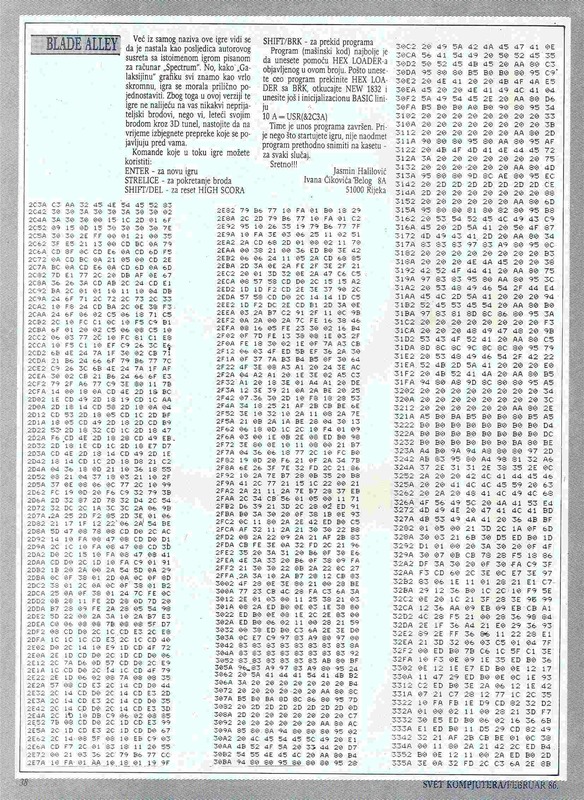 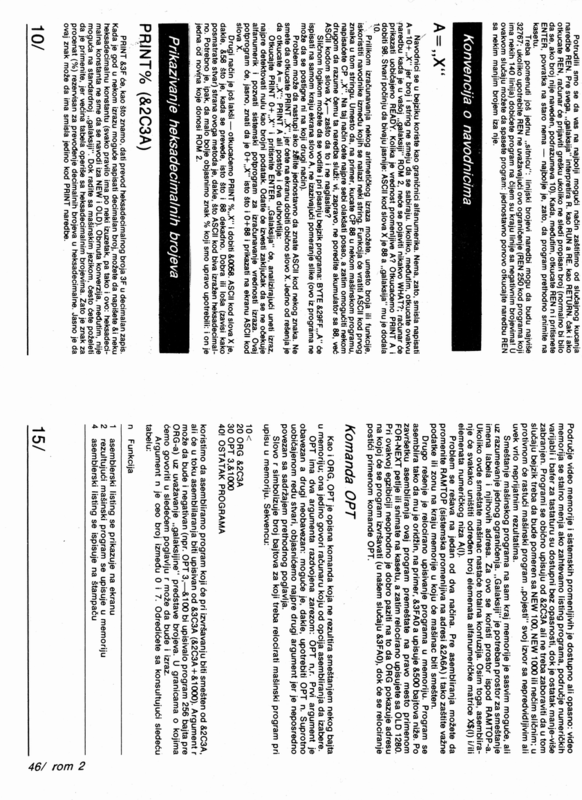 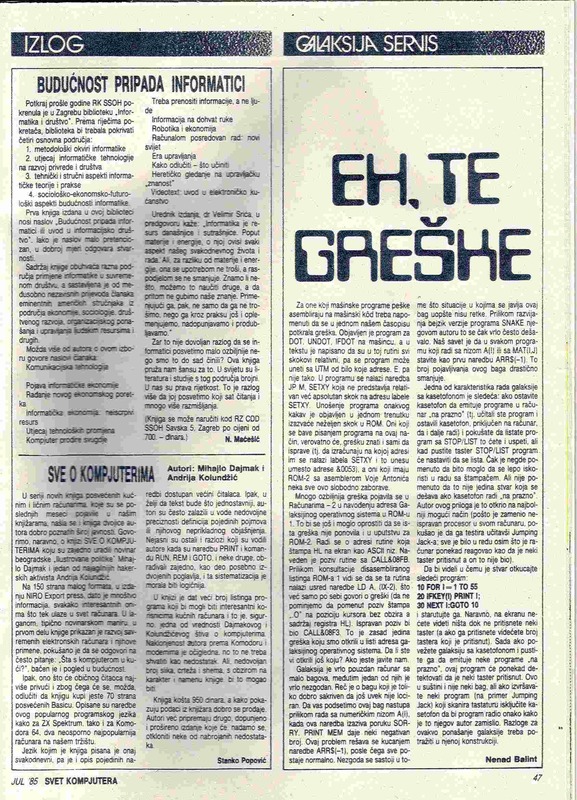 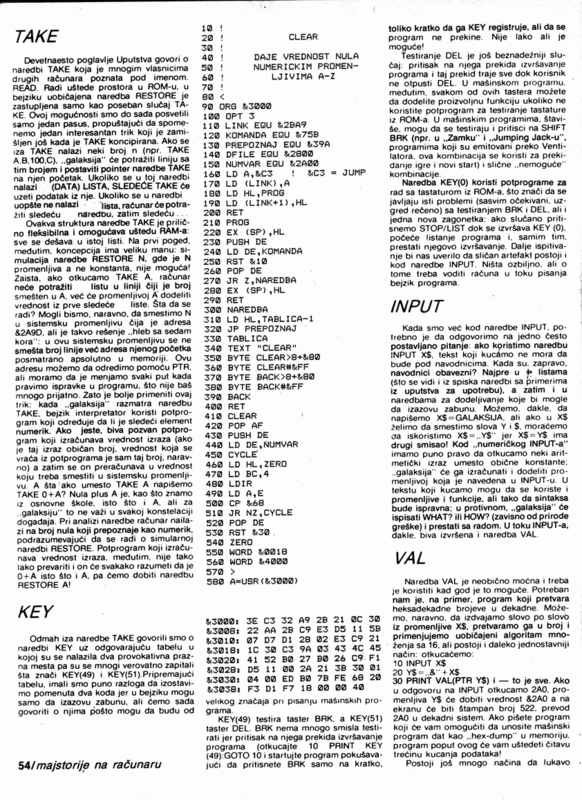 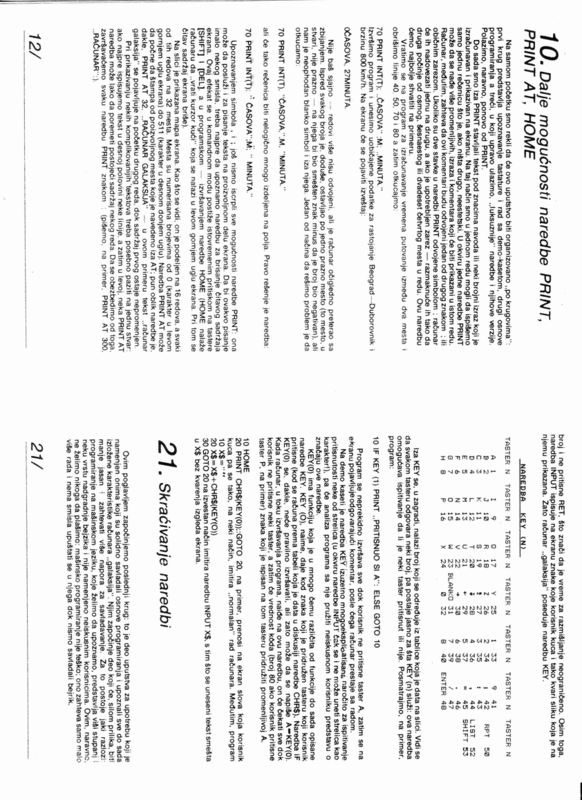 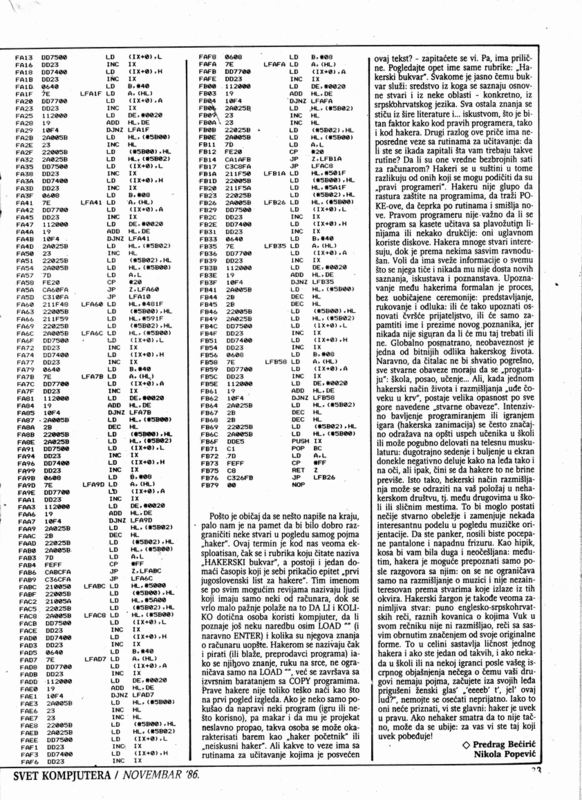 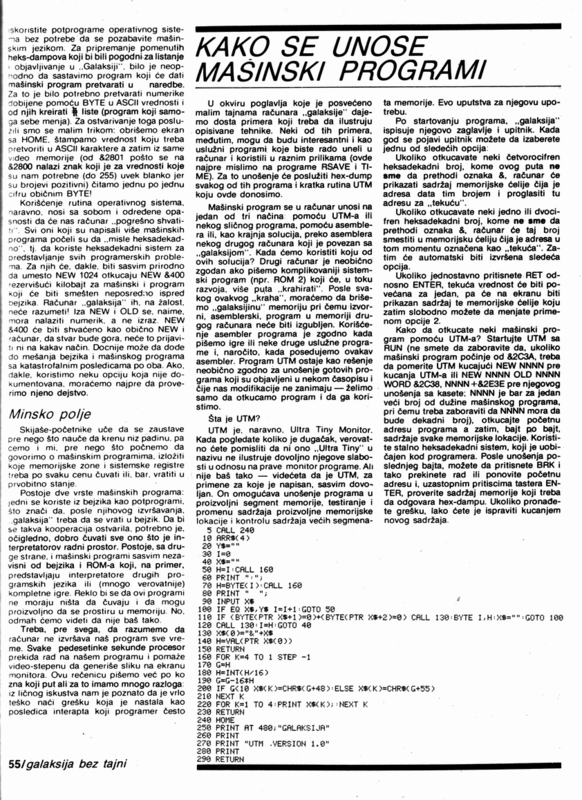 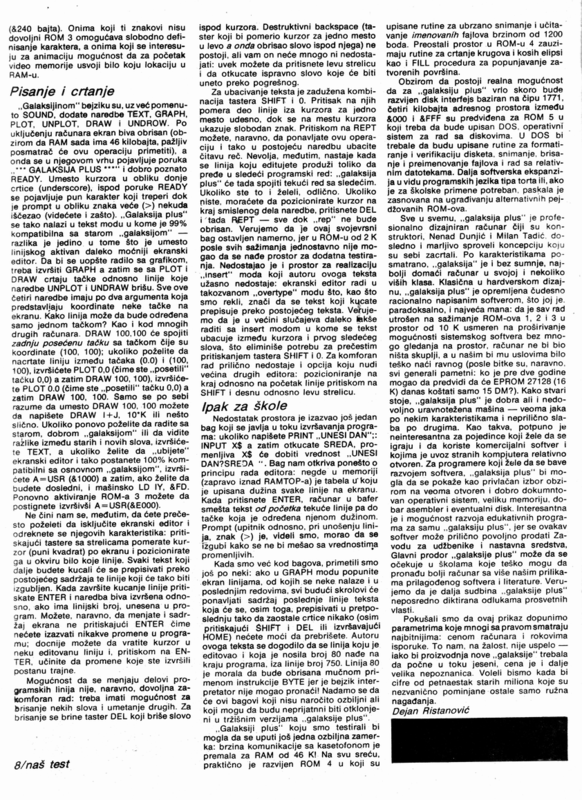 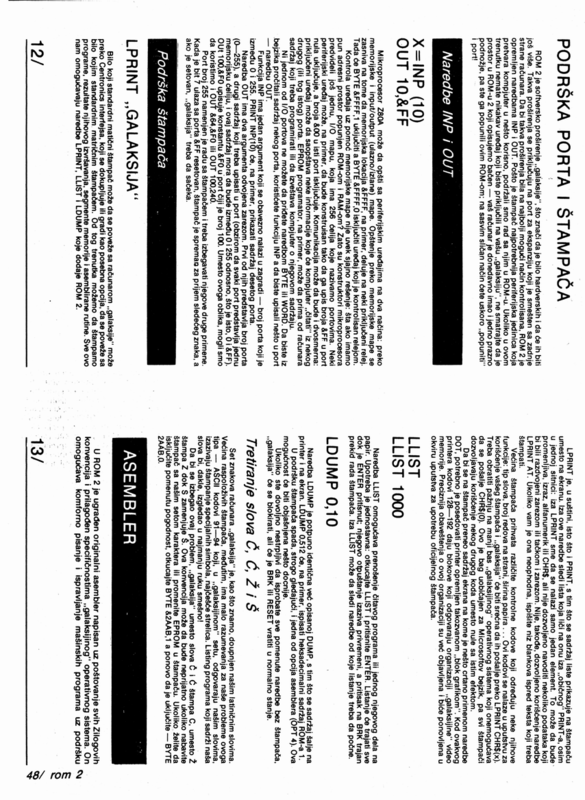 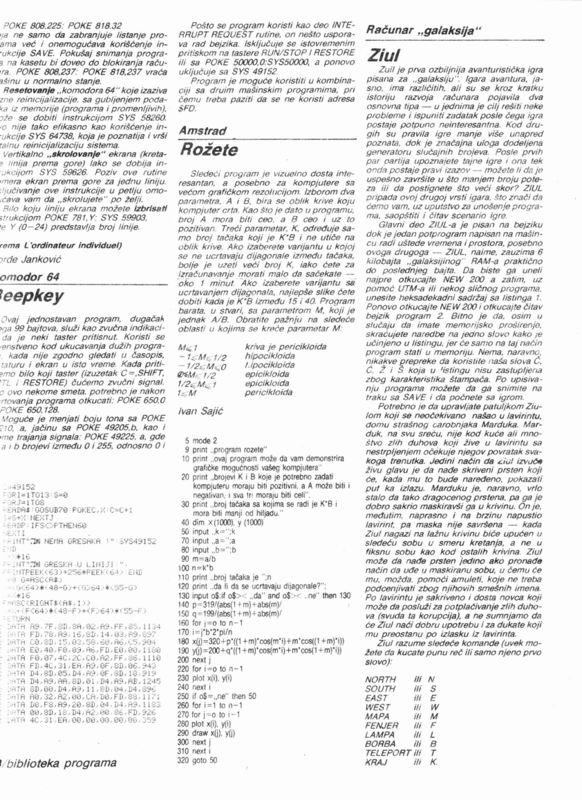 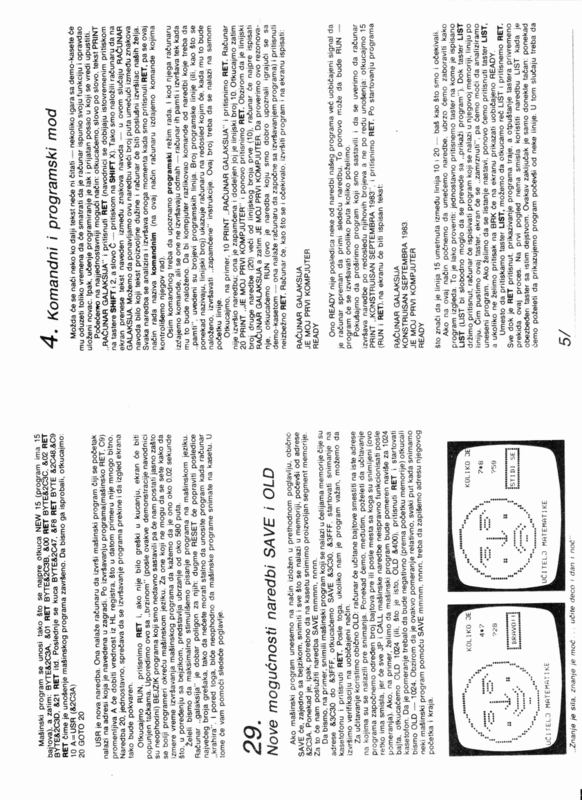 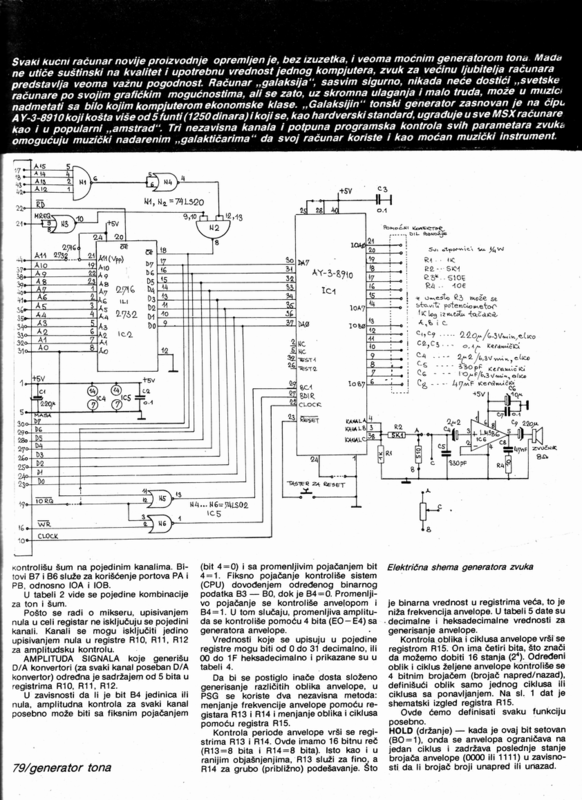 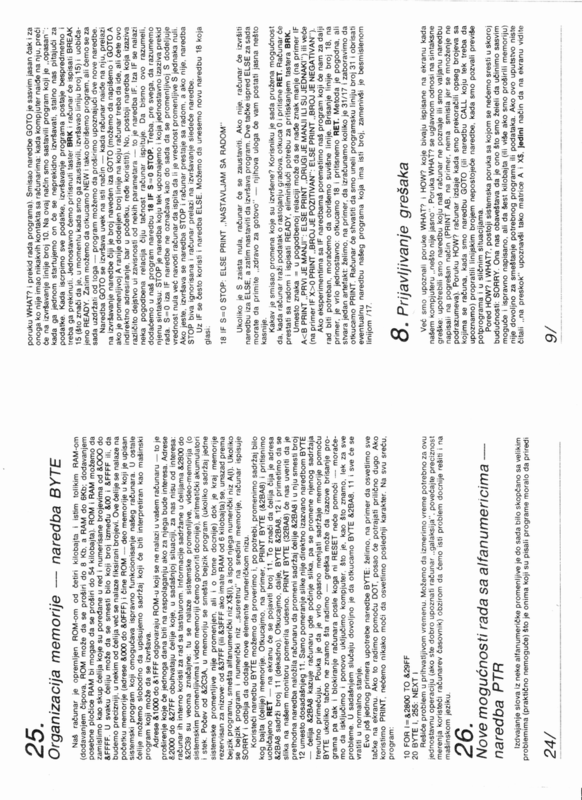 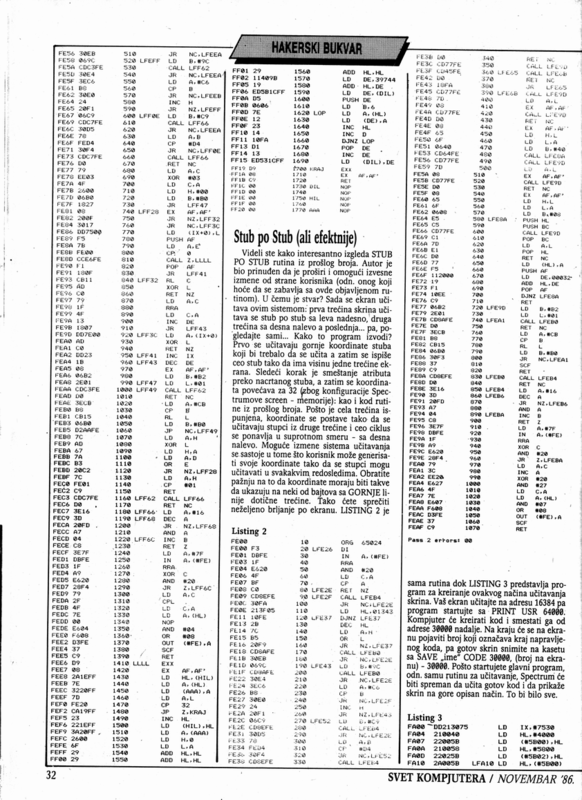 Here you will find some scanned pages out of Svet Kompjutera, Racunari and Moj Mikro. 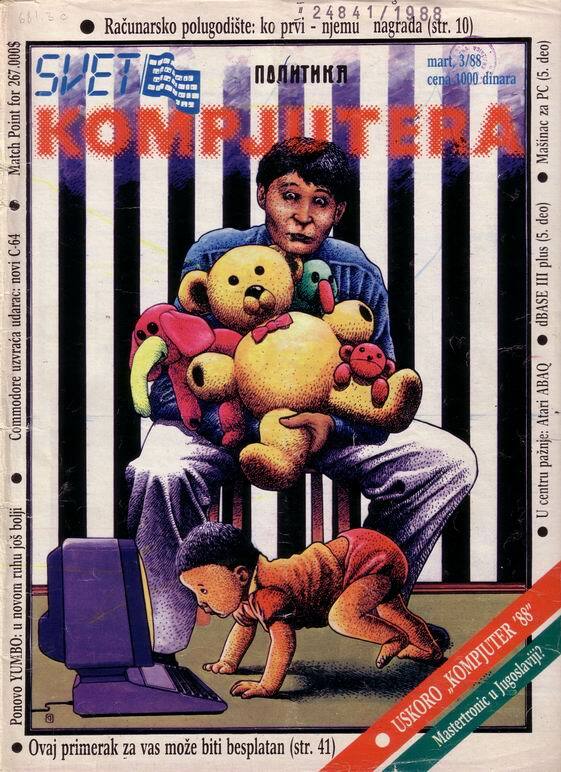 The issues which I don't own (and were borrowed from the local library) also have scanned Covers. 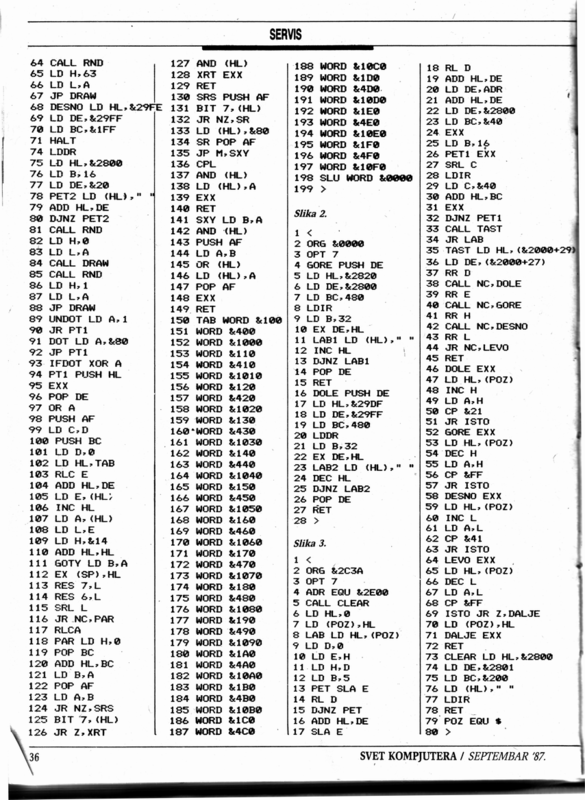 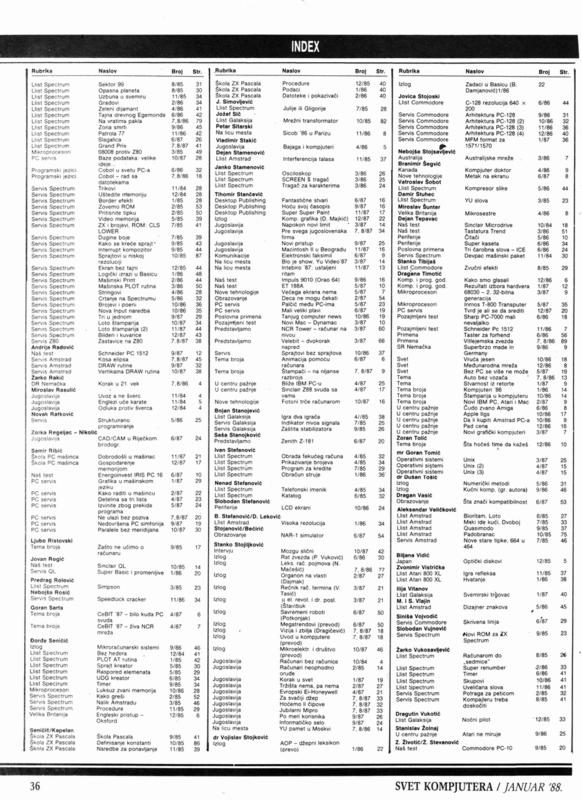 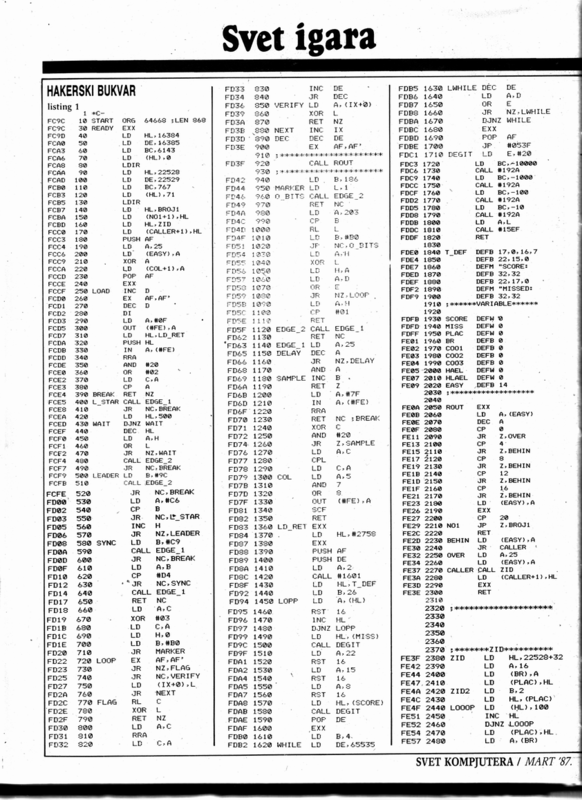 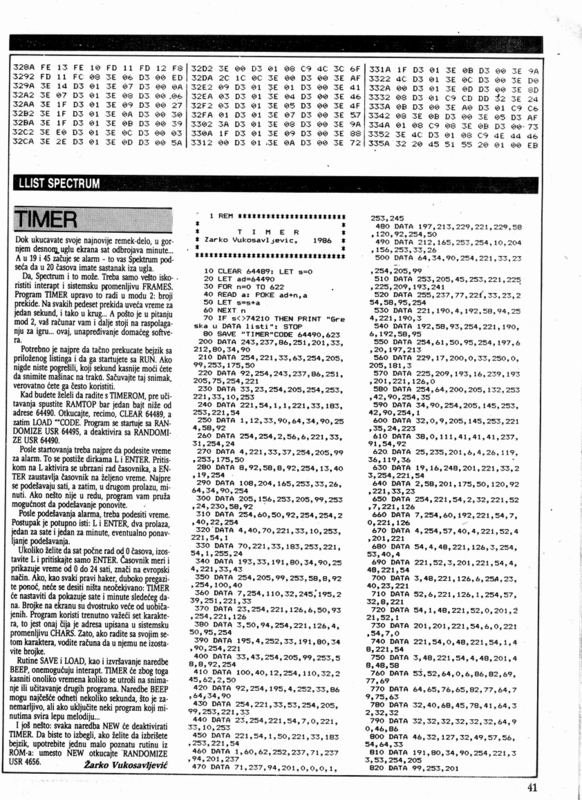 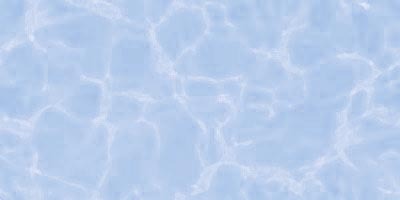 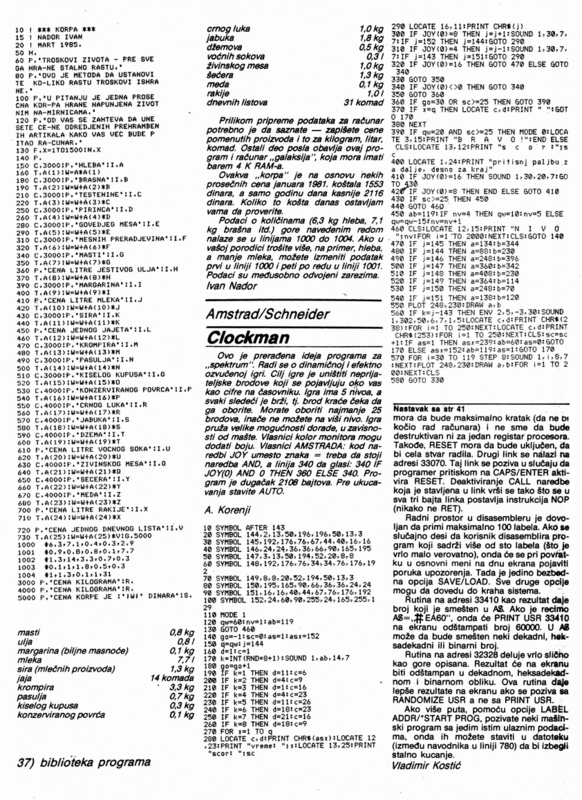 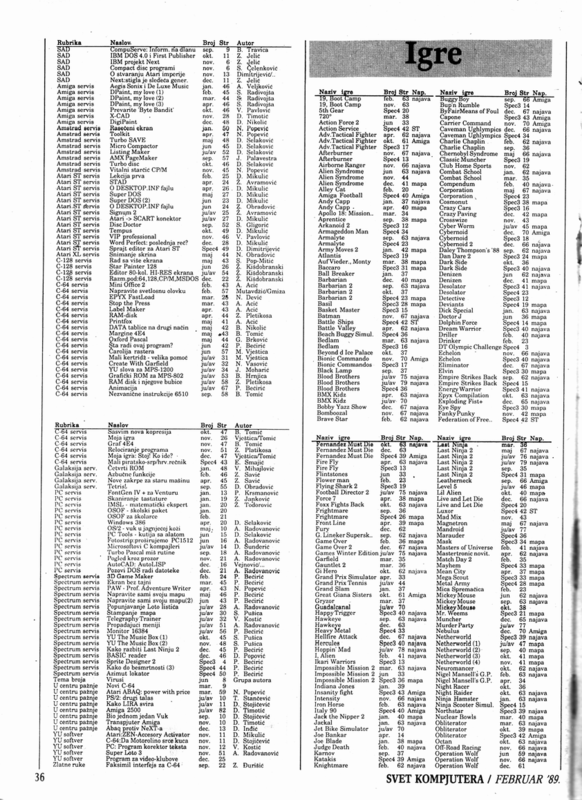 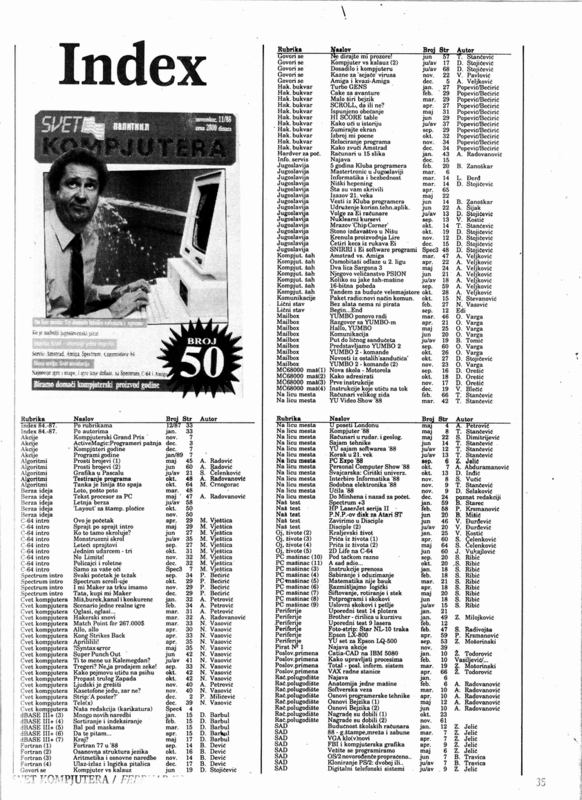 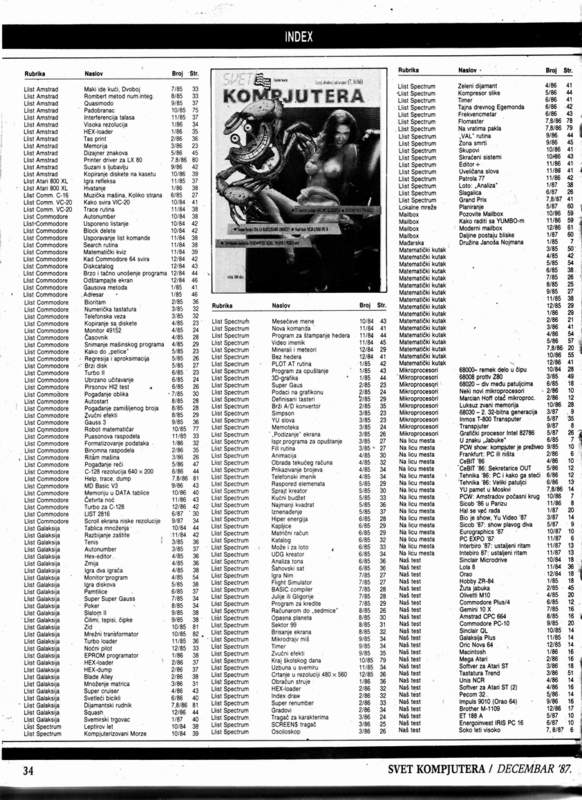 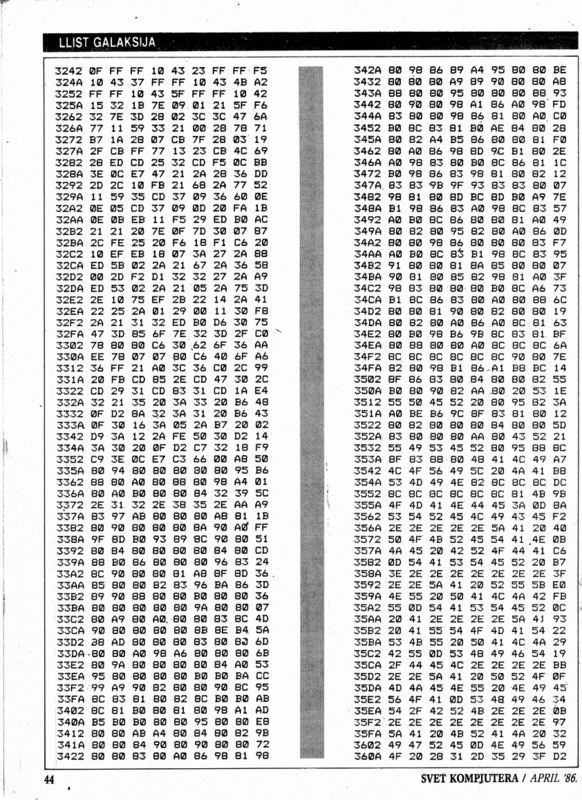 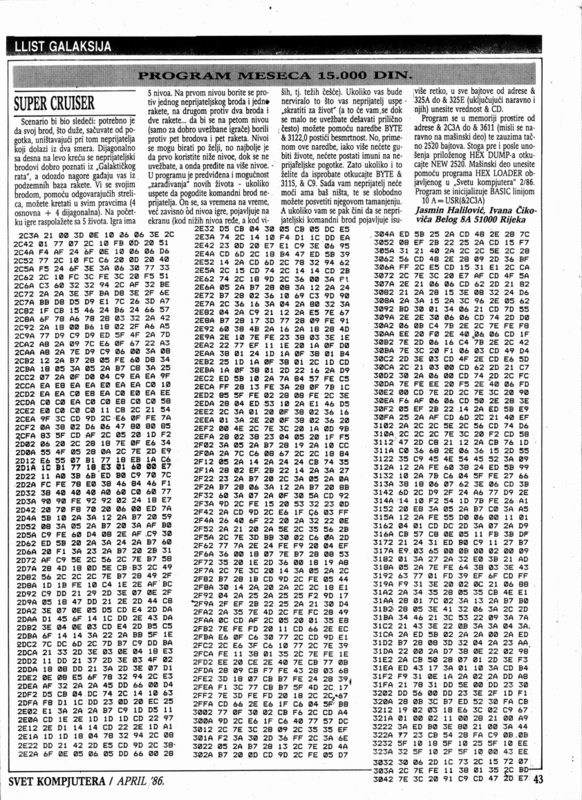 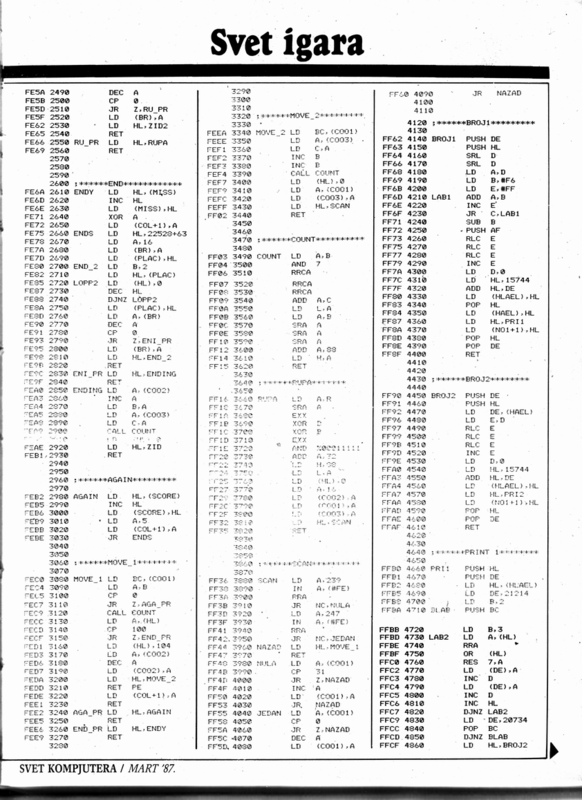 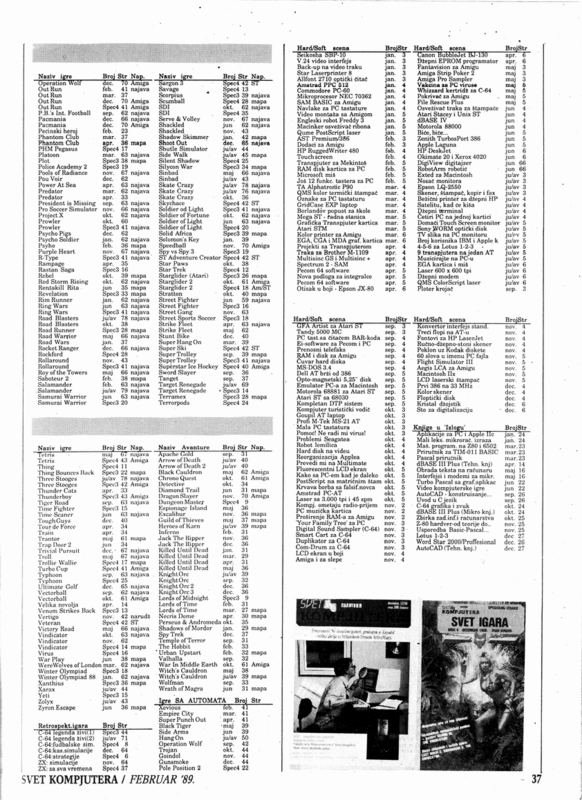 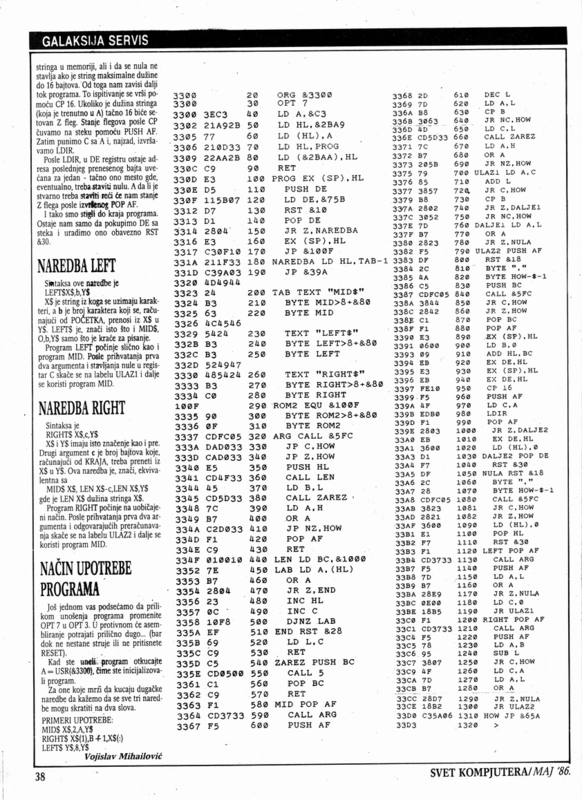 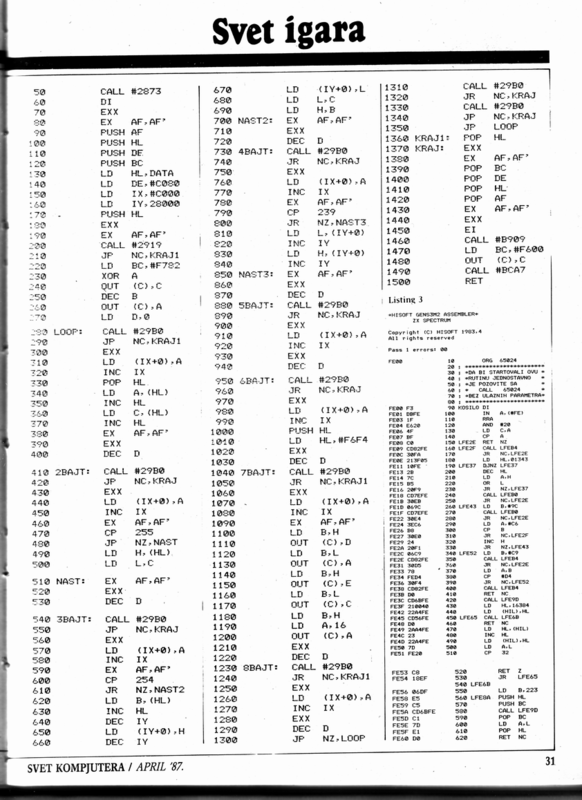 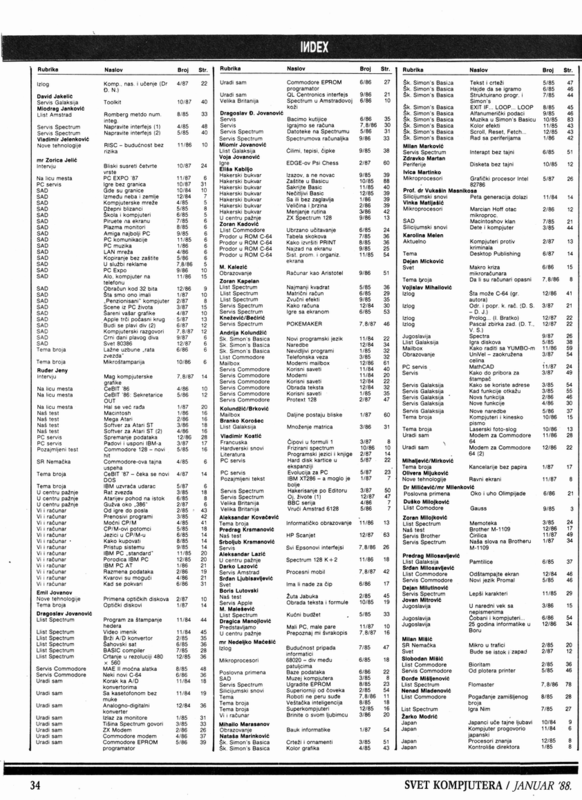 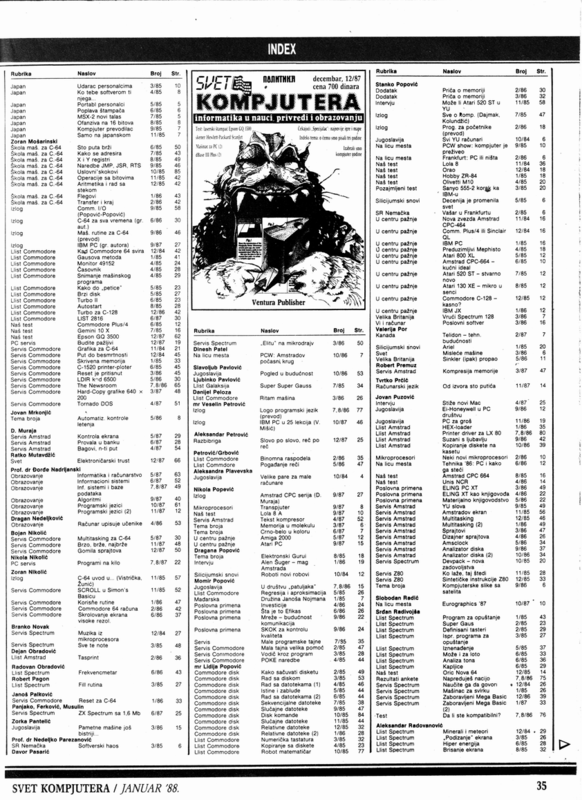 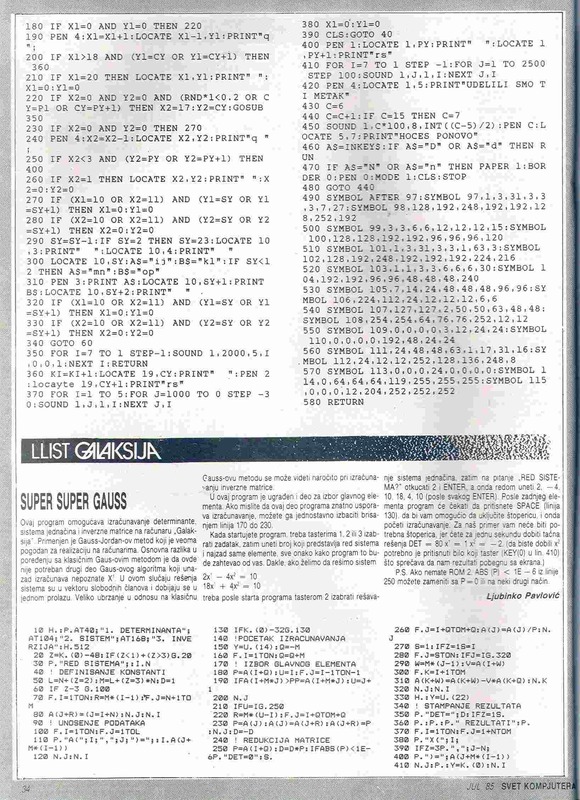 There are several pages that are most wanted by me - they will help with the emulator, but I can't get them here. 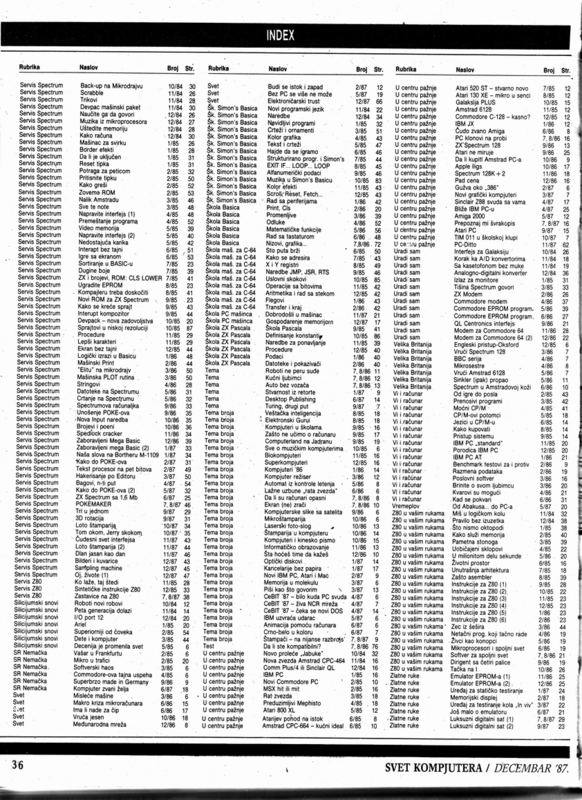 If you have any of those (they are written in RED) then please email them to me on : tomcat@sgn.net. 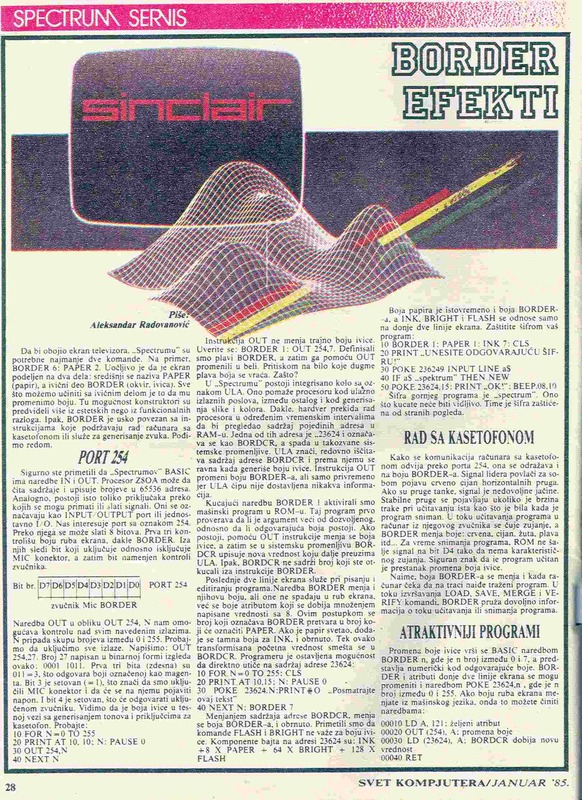 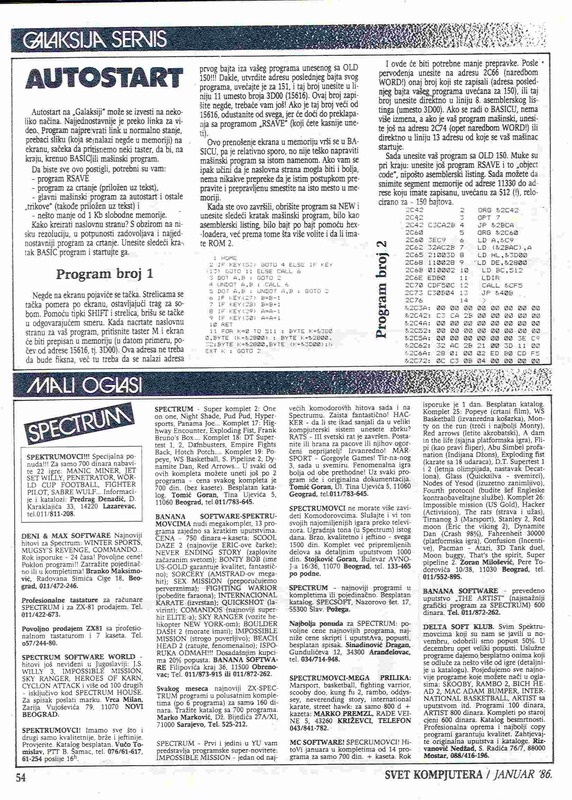 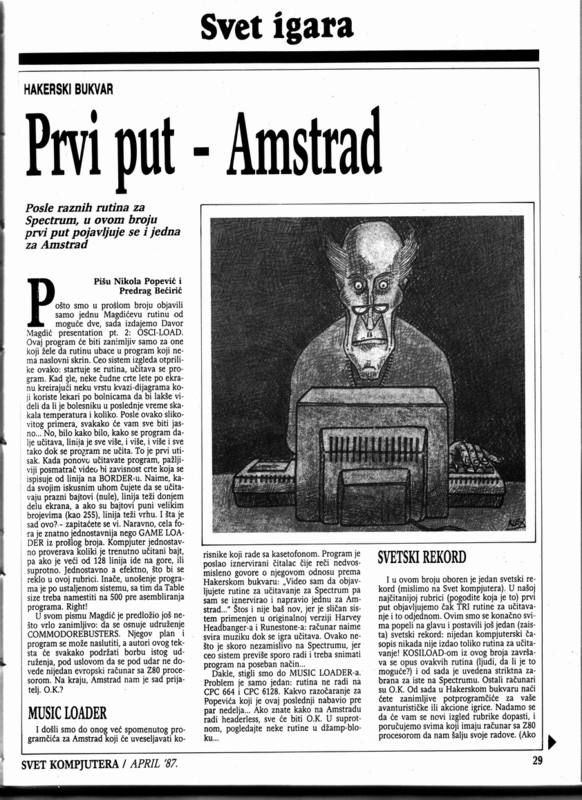 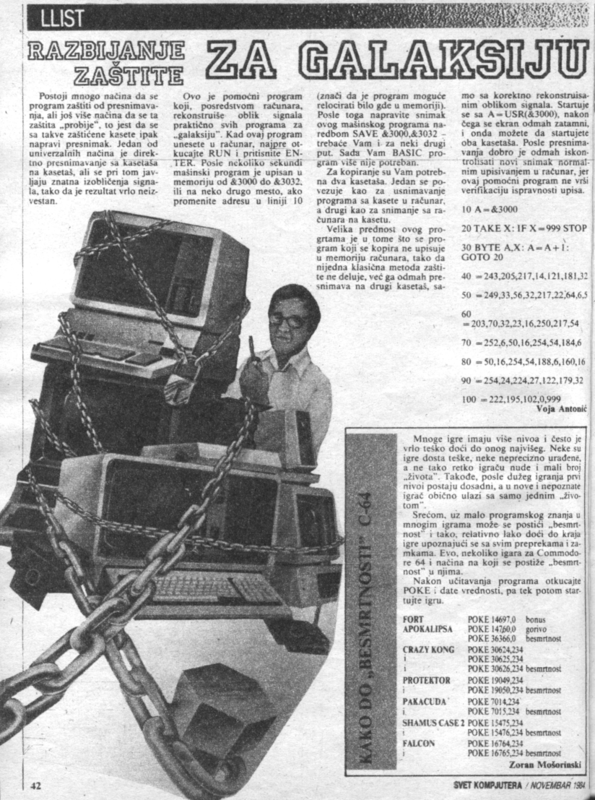 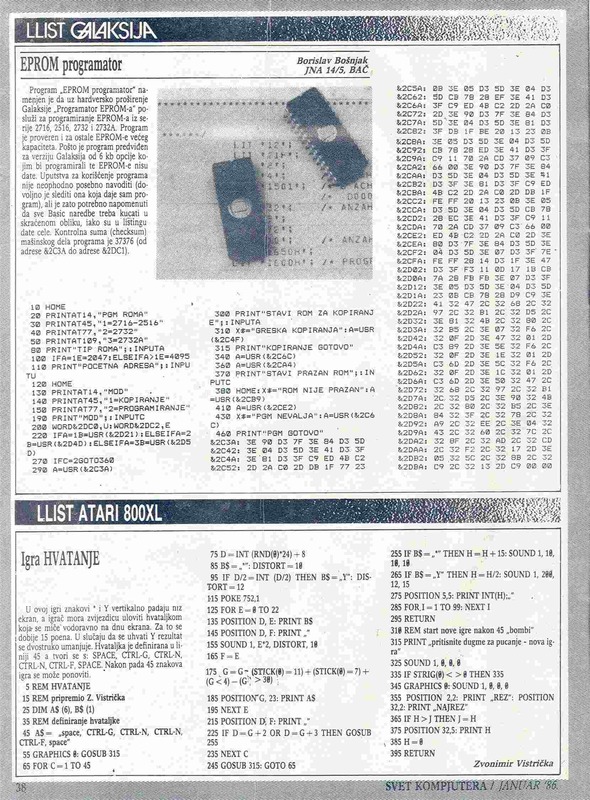 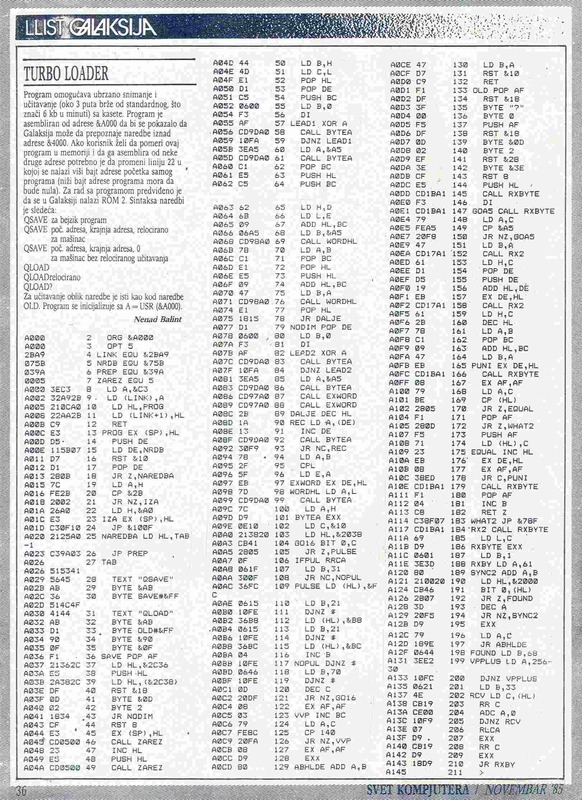 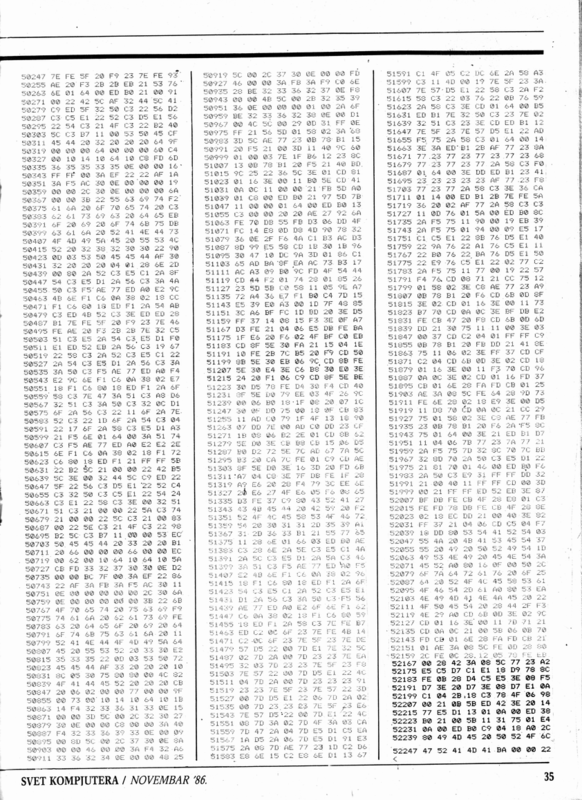 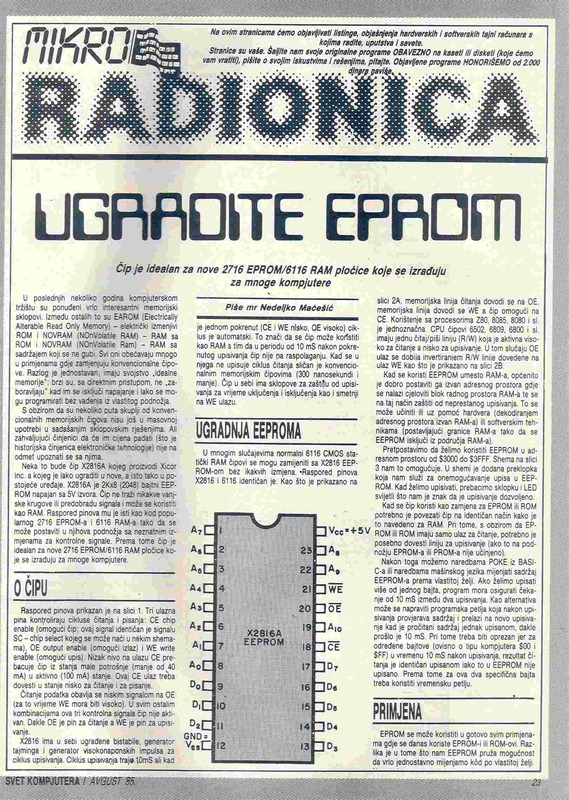 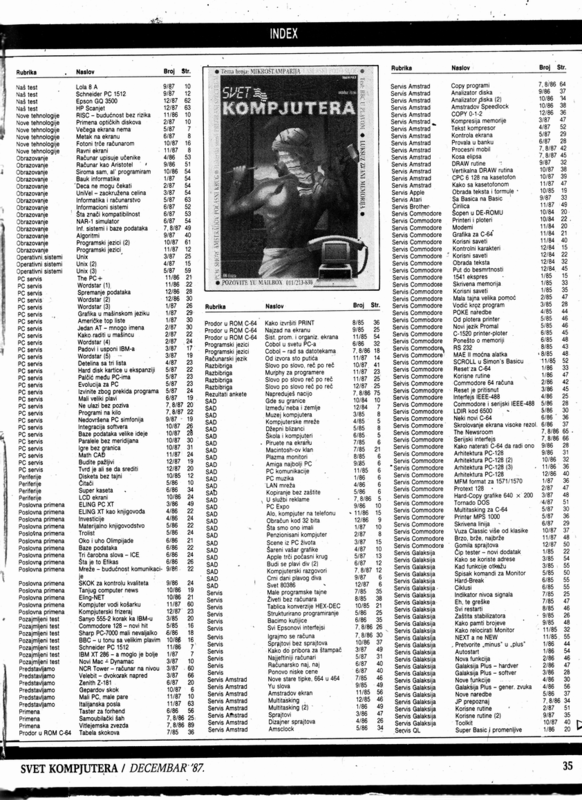 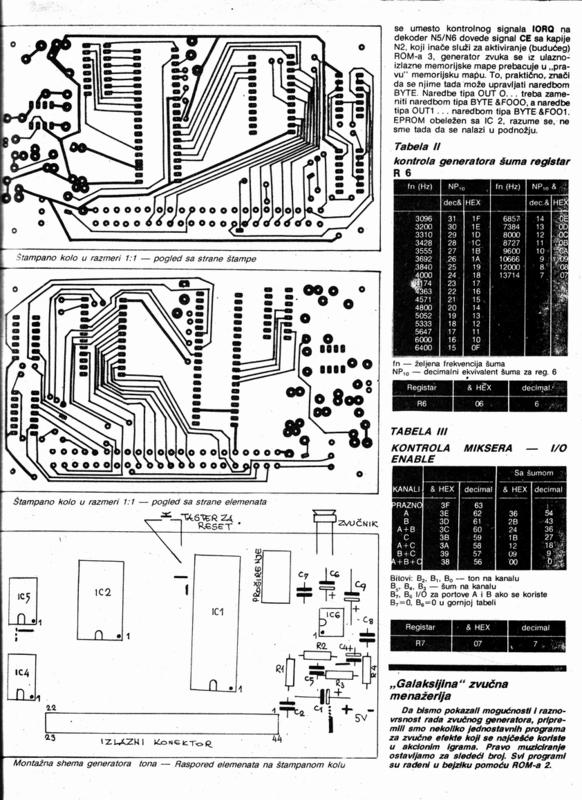 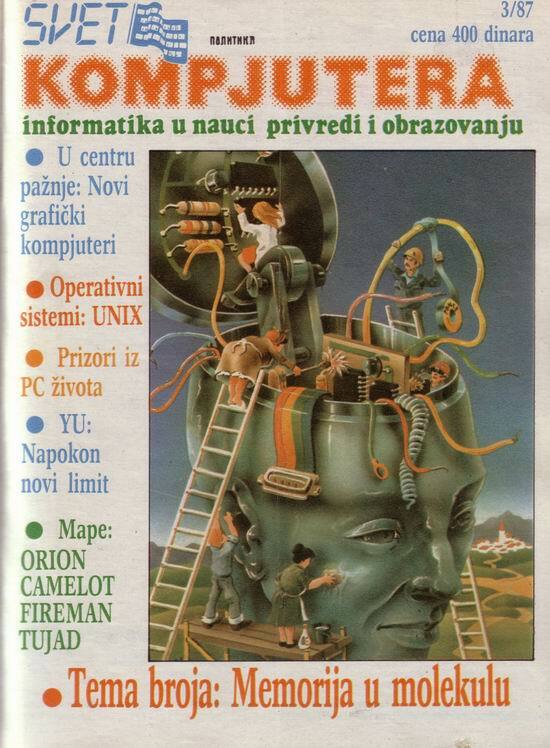 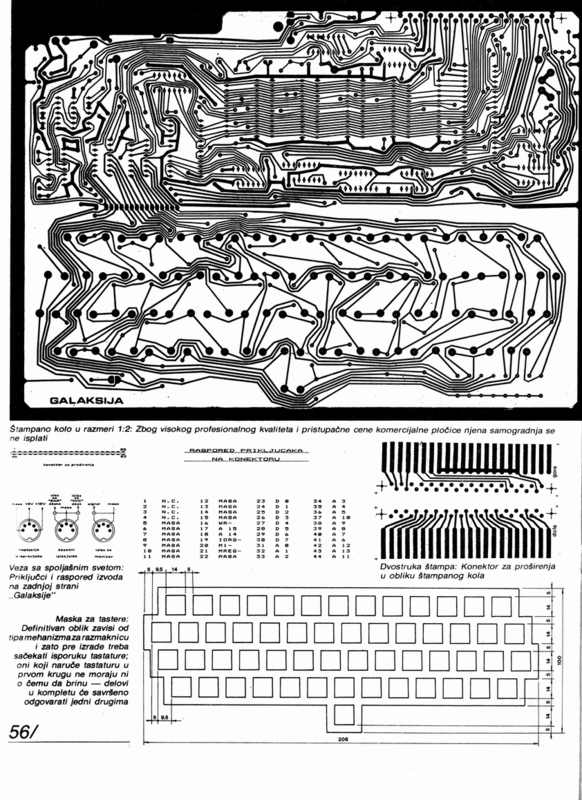 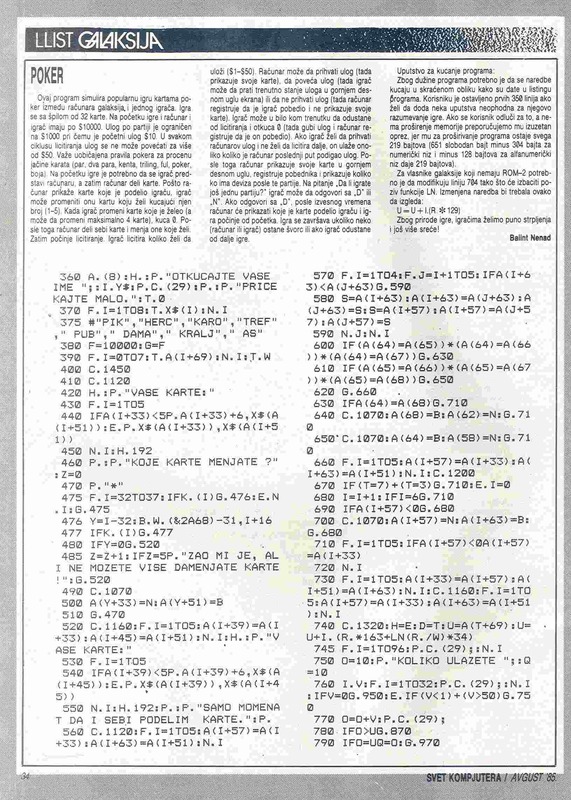 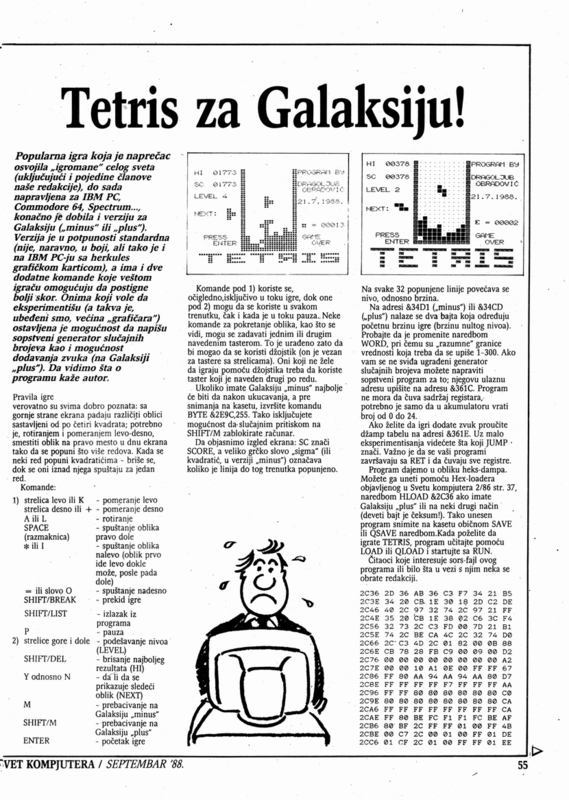 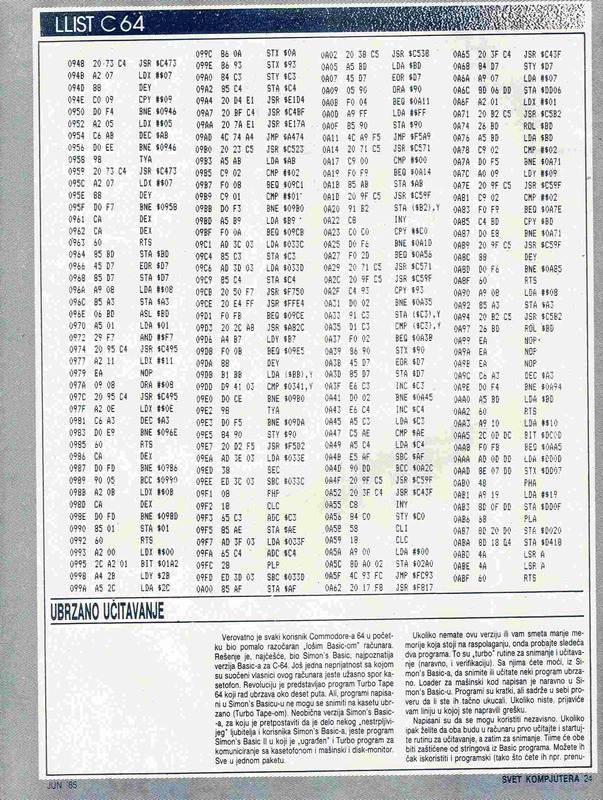 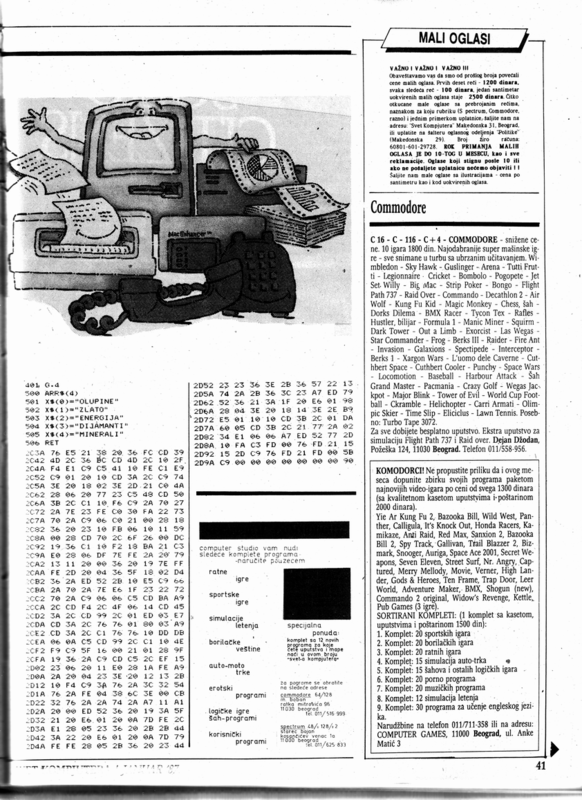 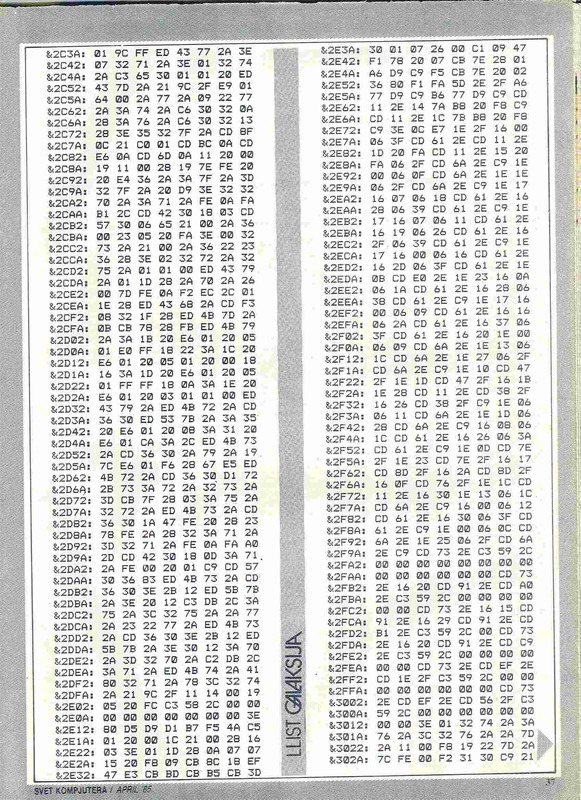 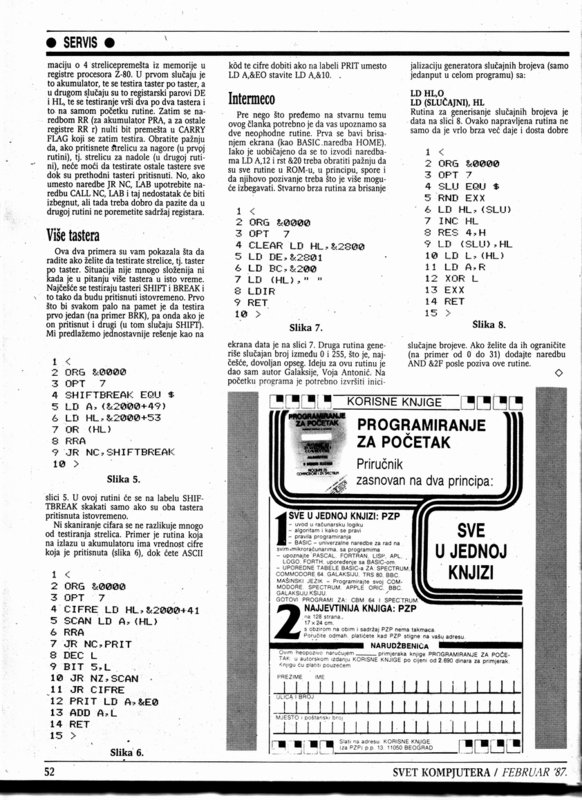 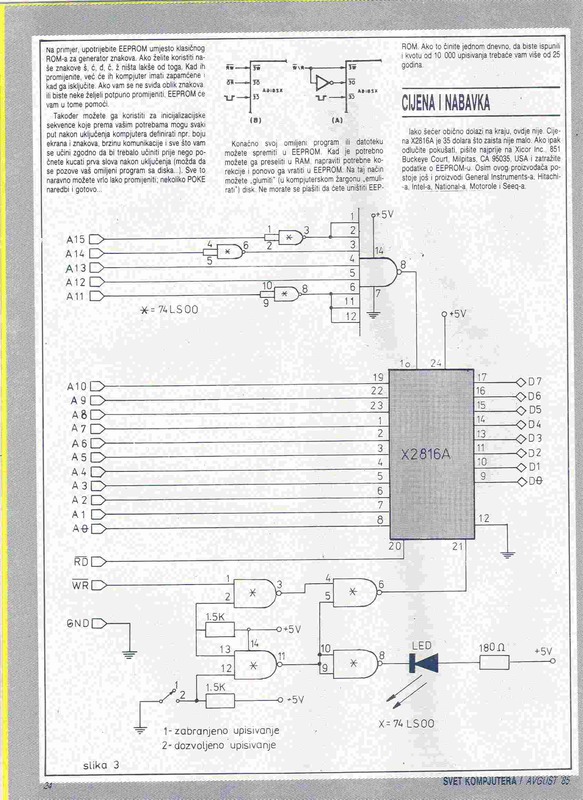 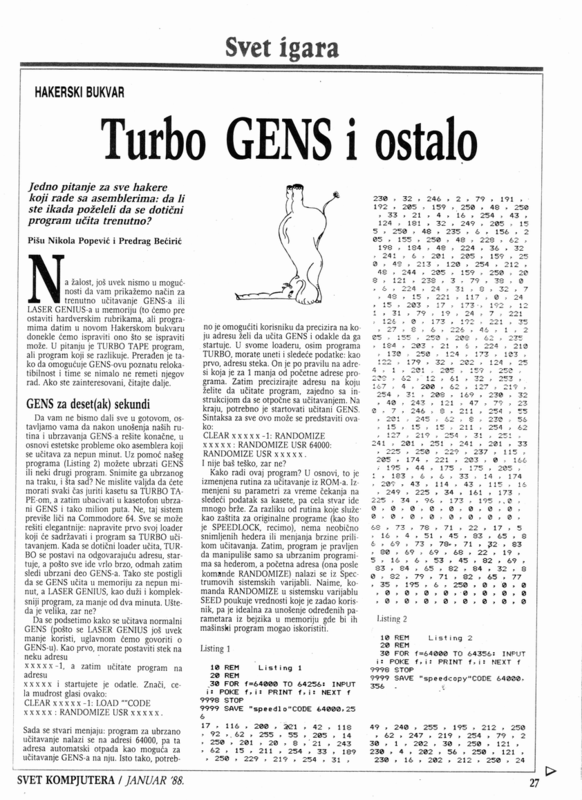 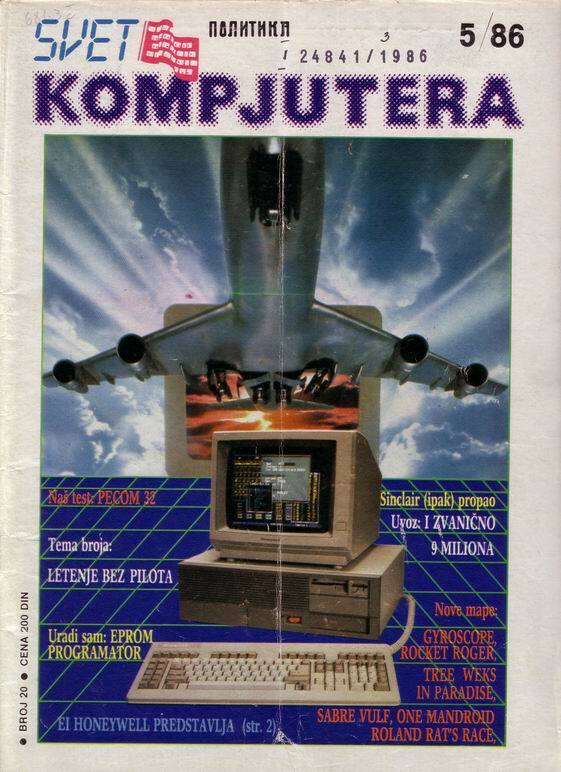 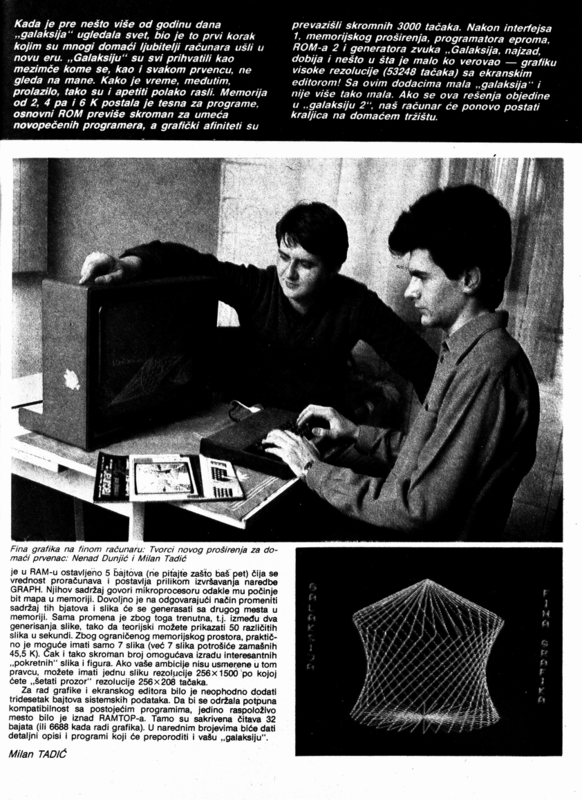 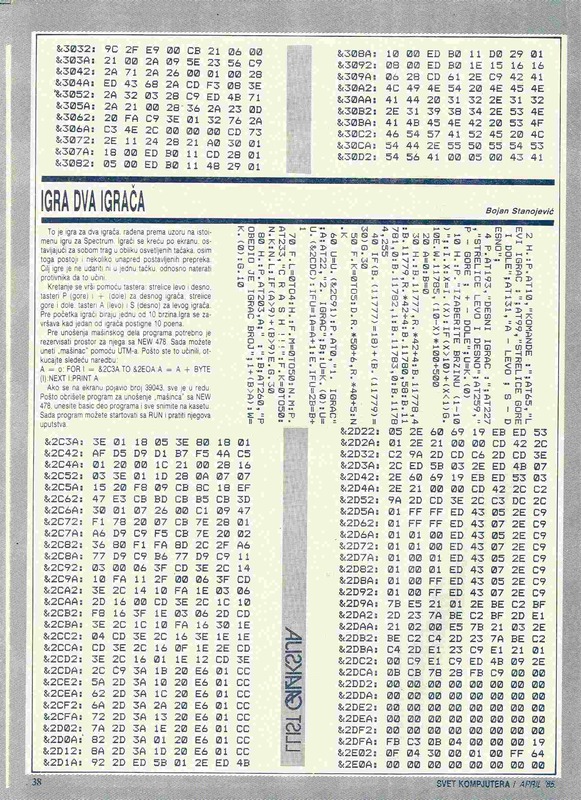 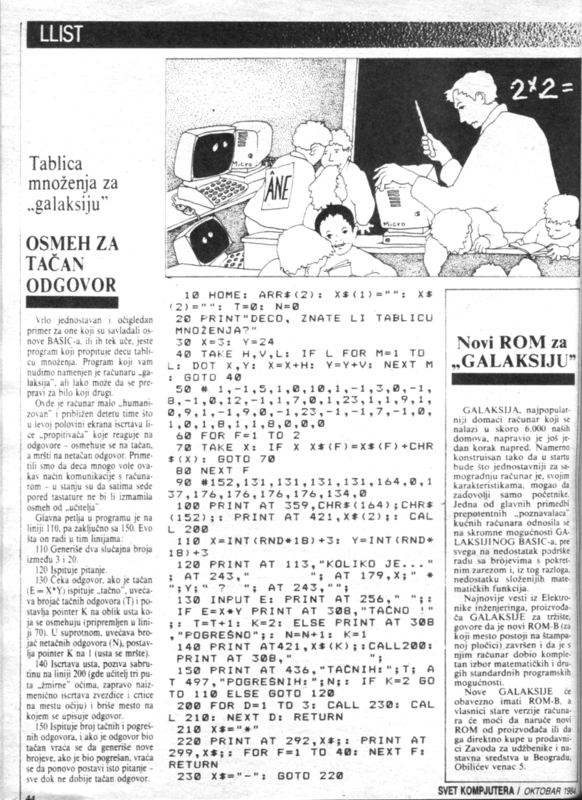 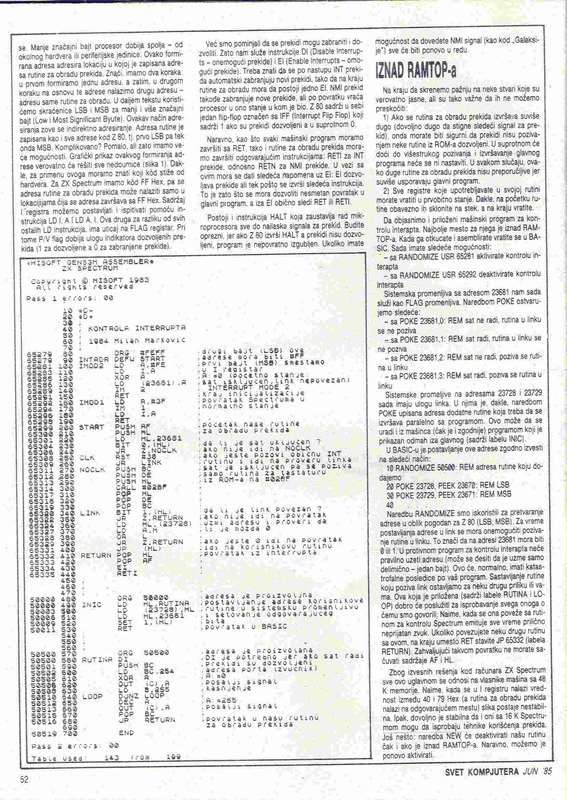 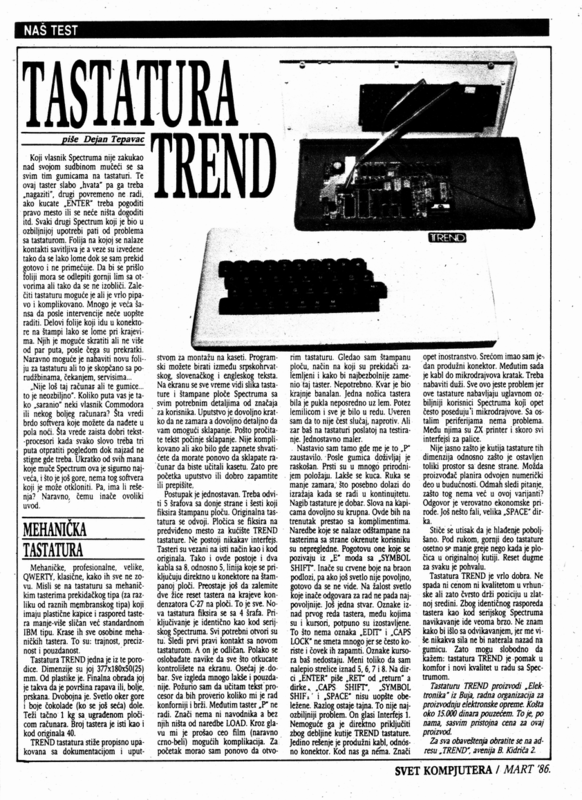 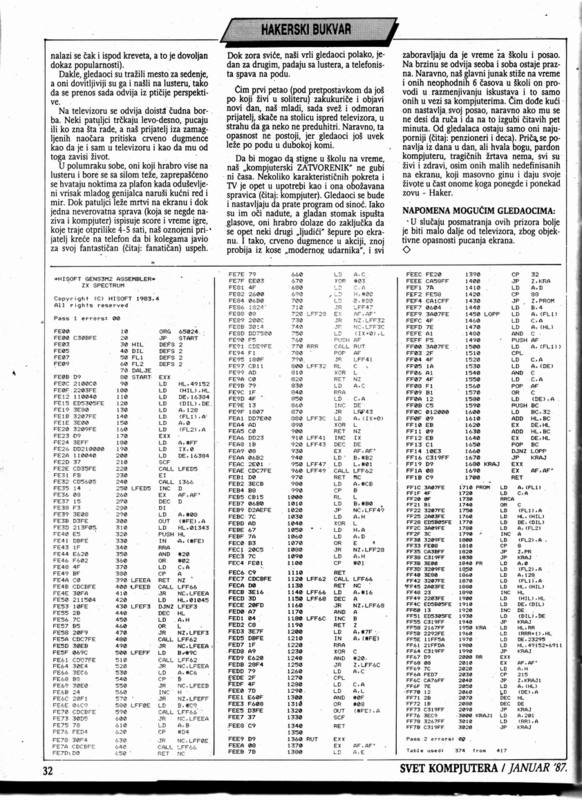 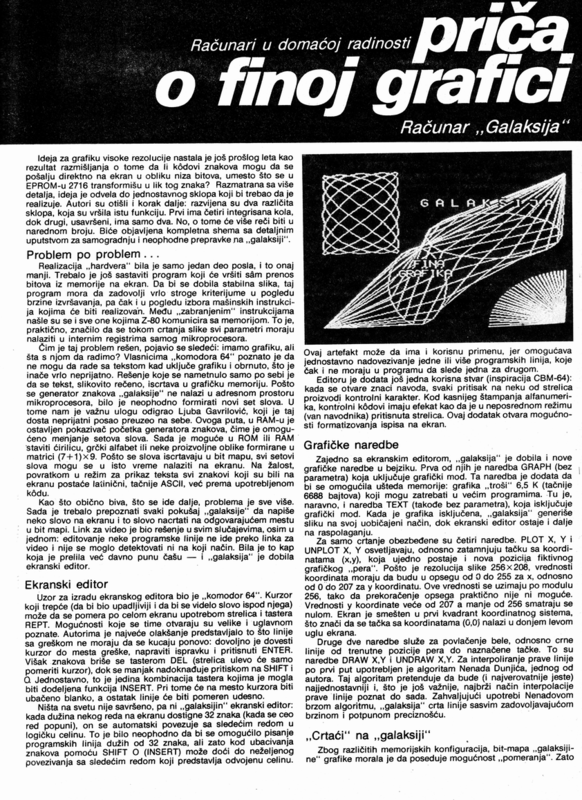 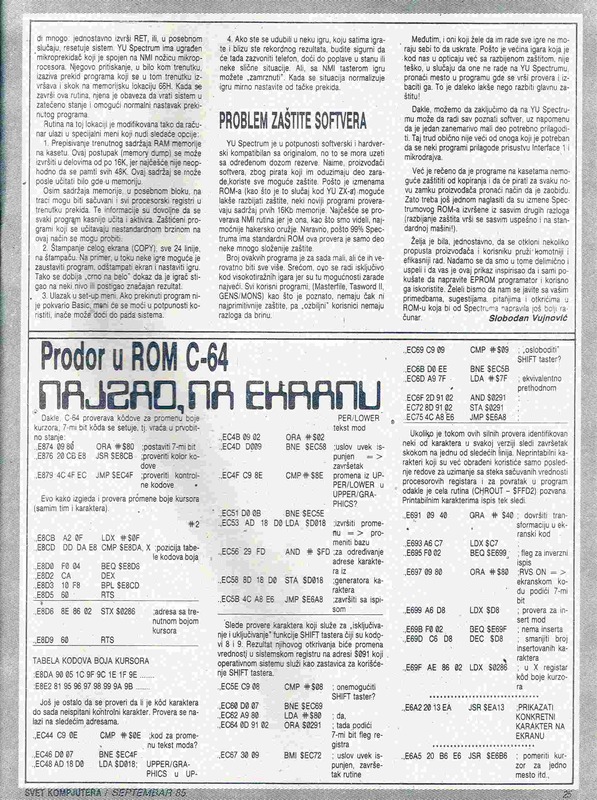 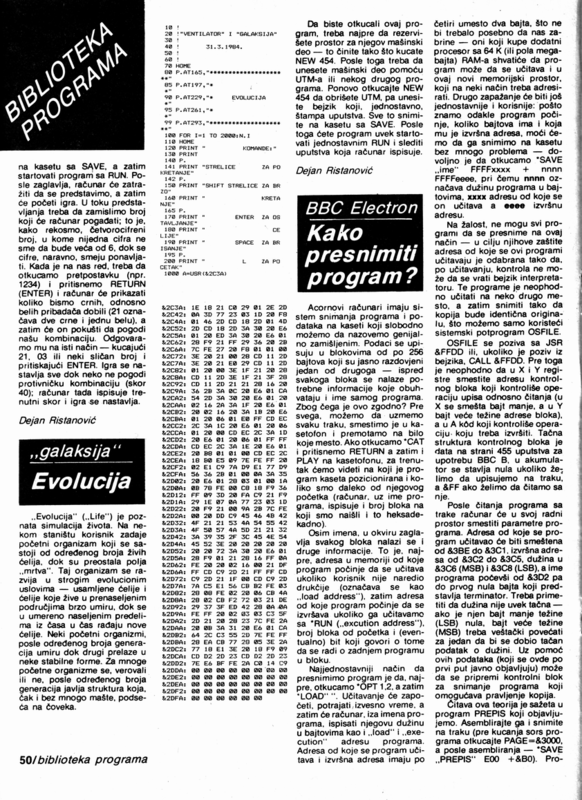 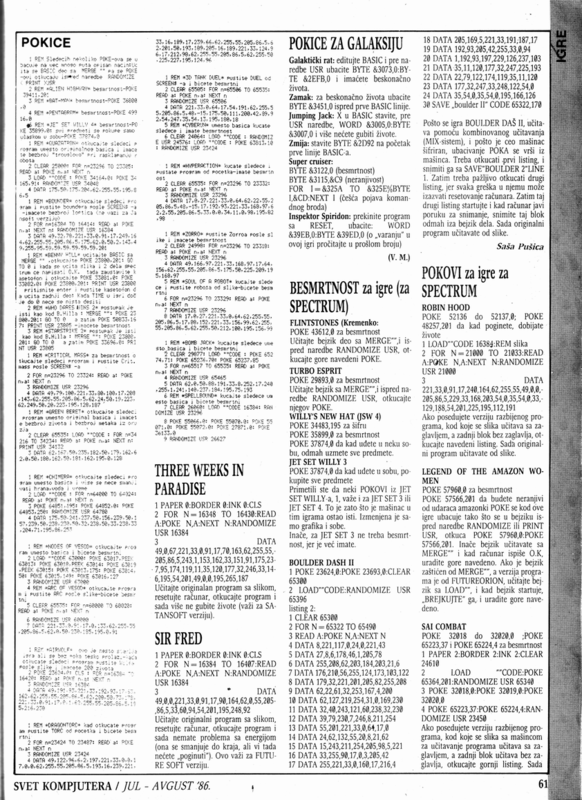 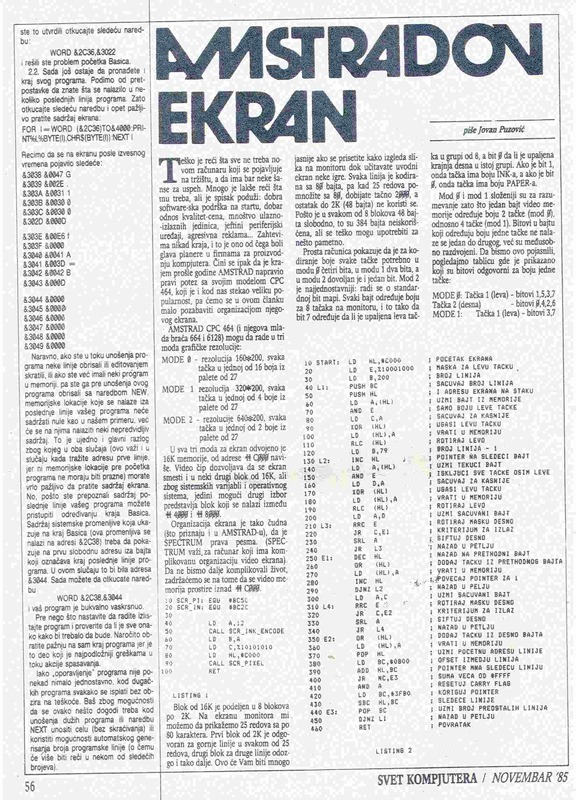 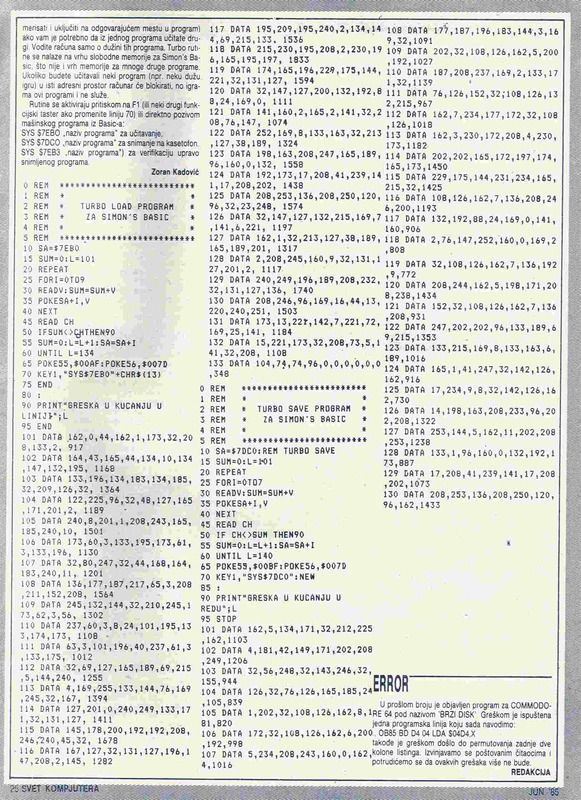 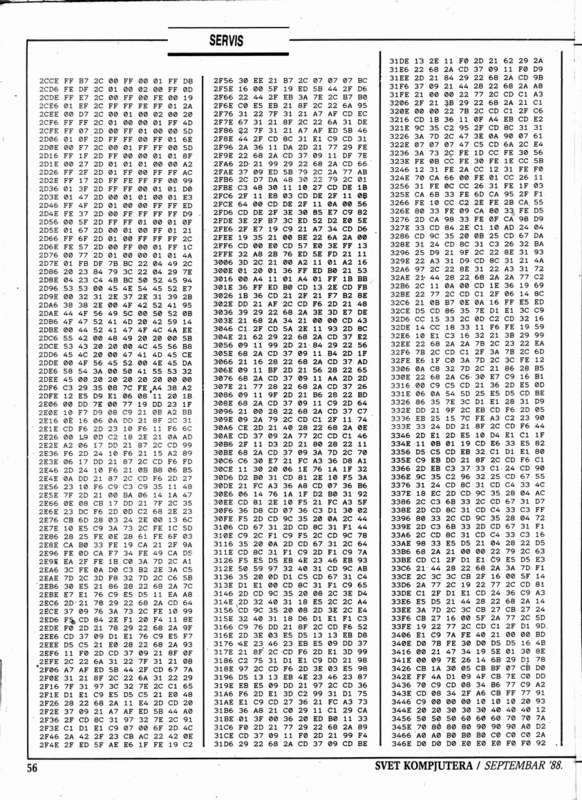 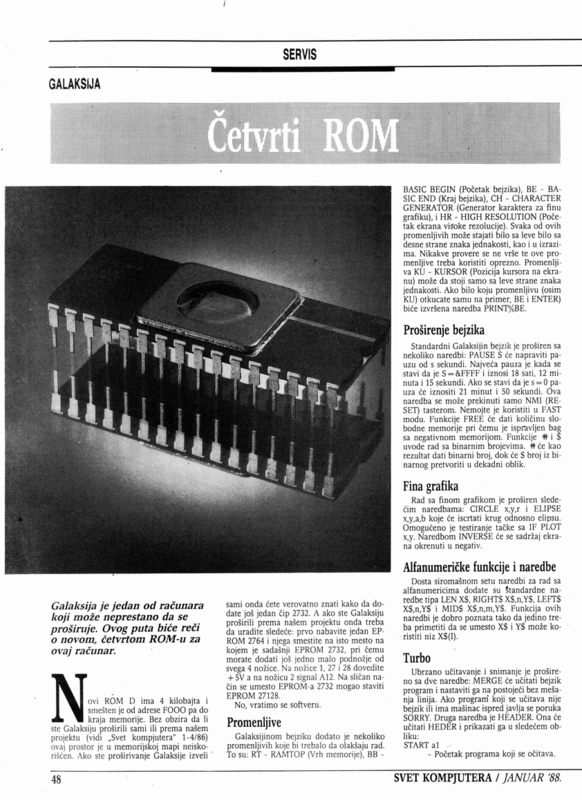 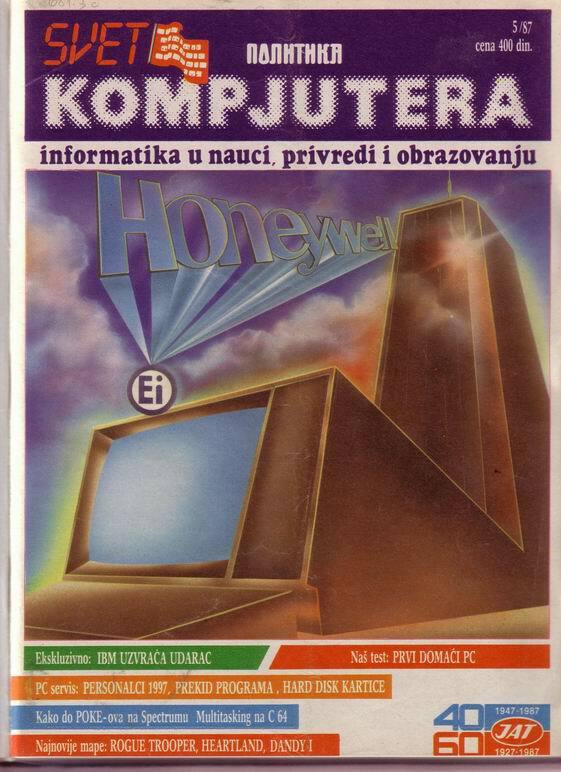 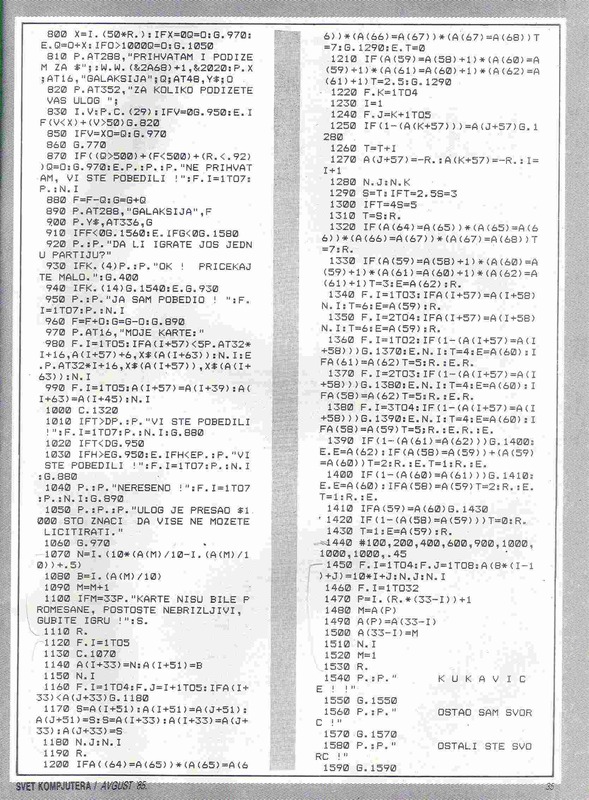 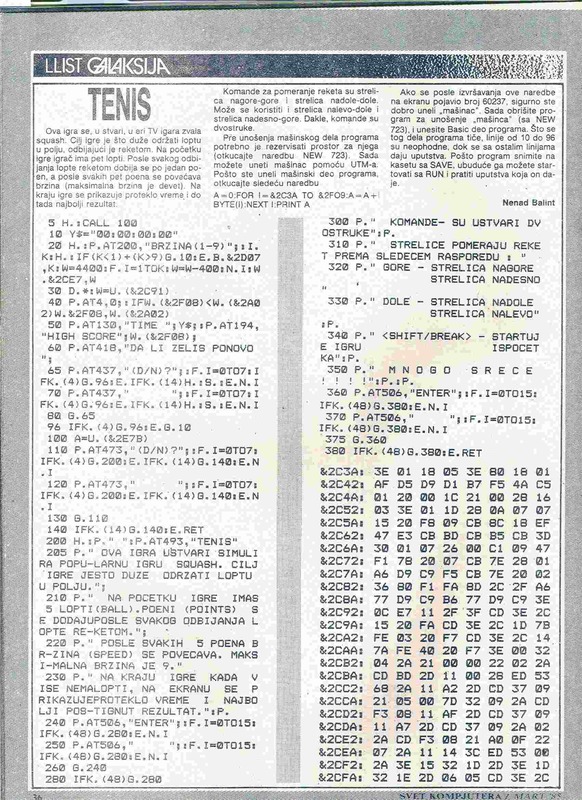 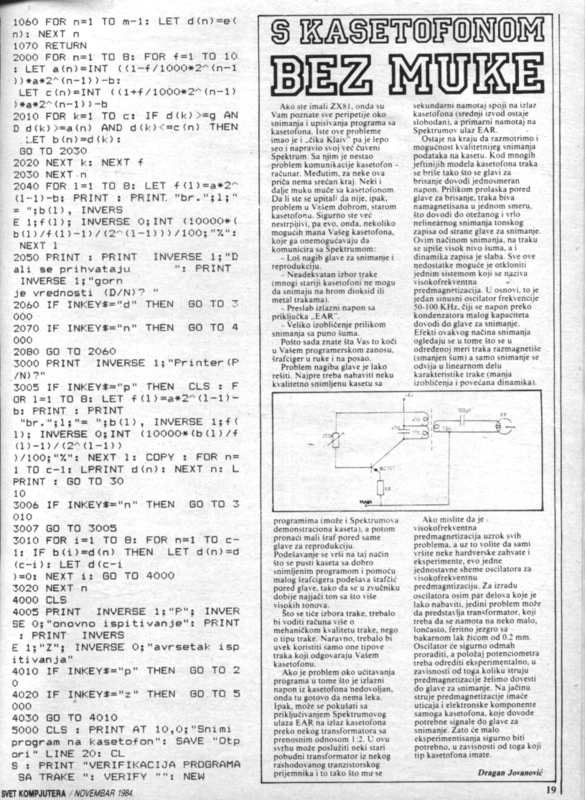 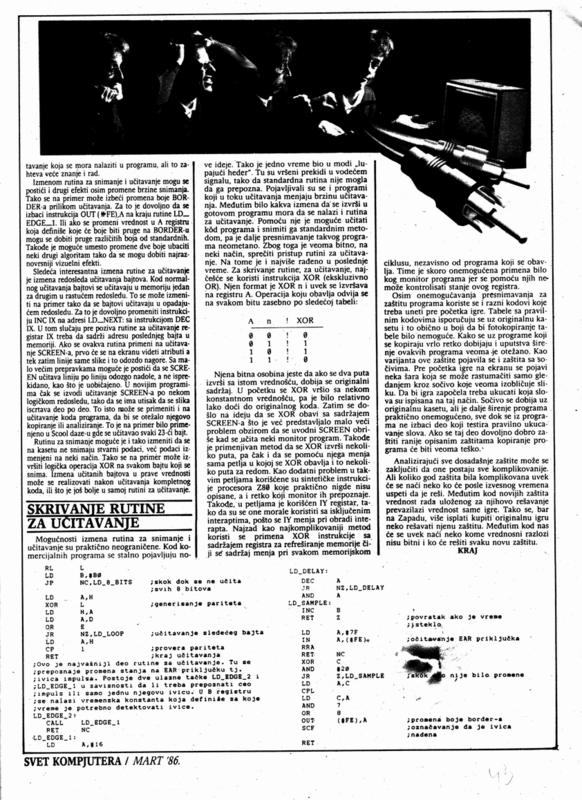 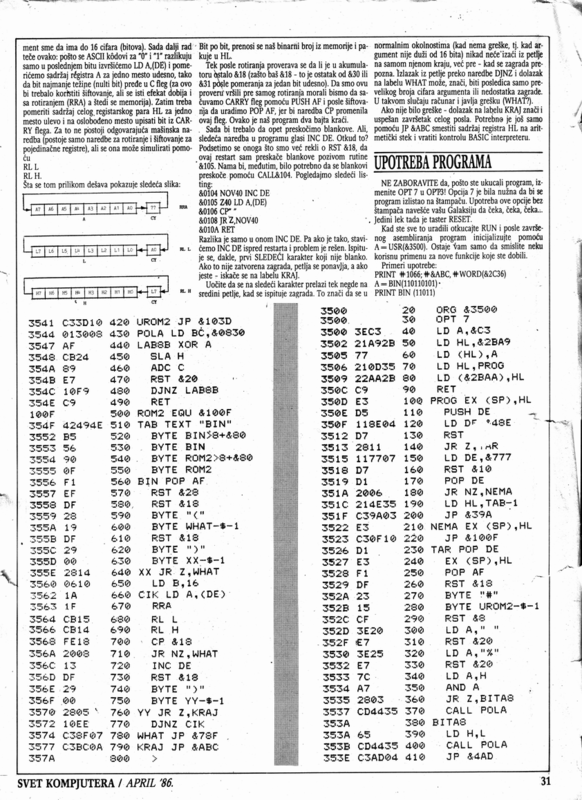 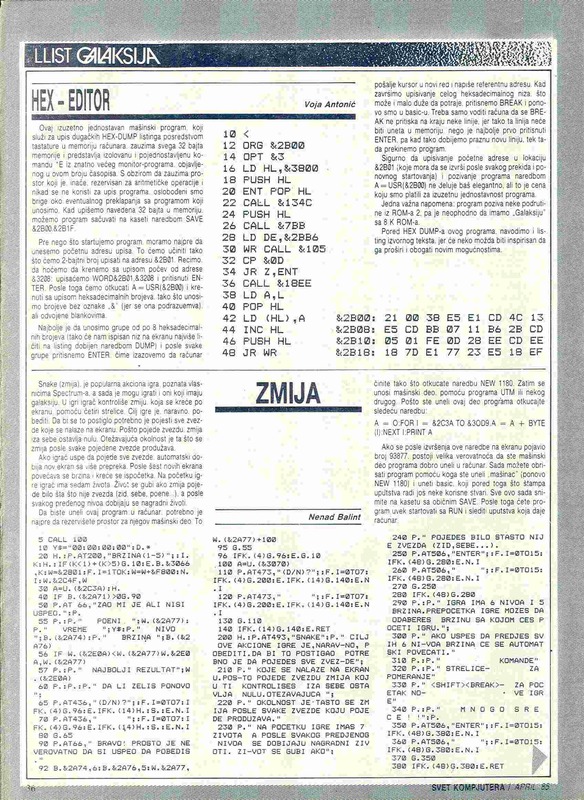 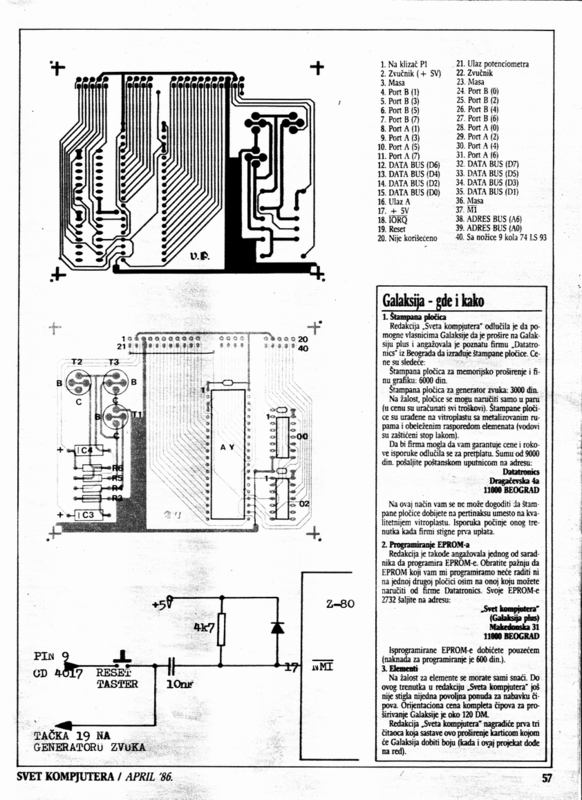 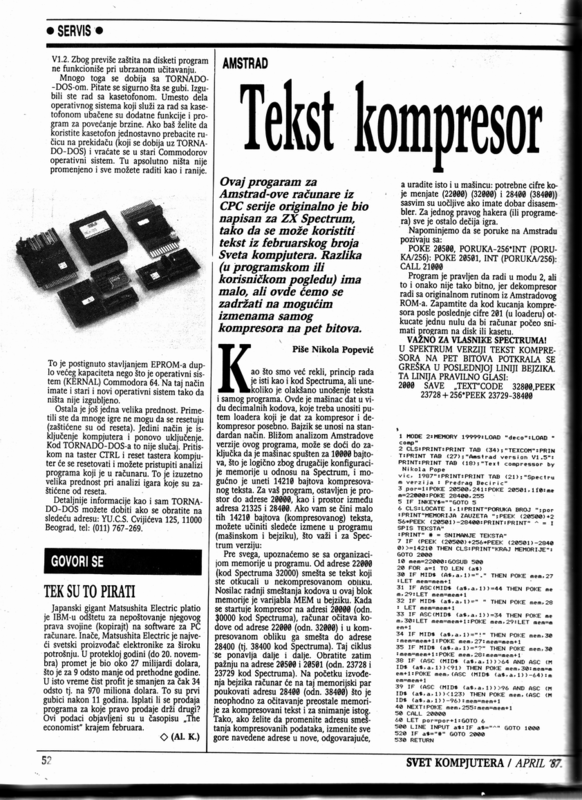 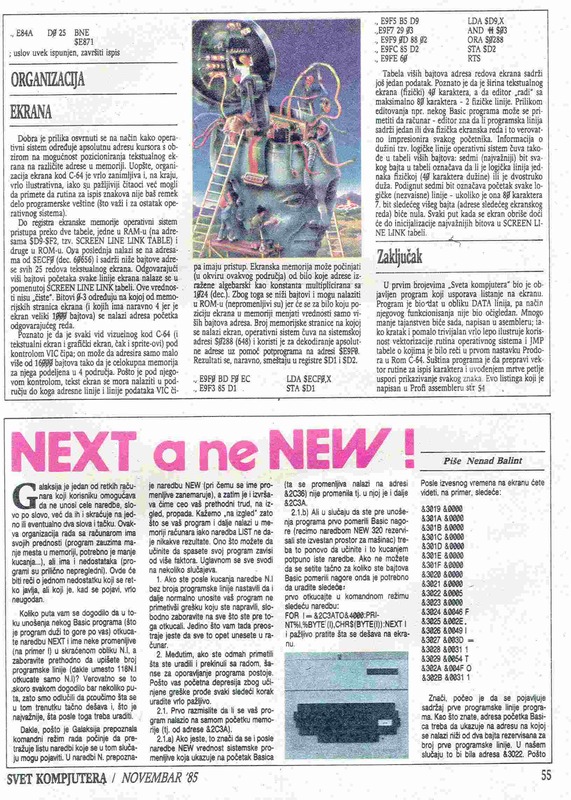 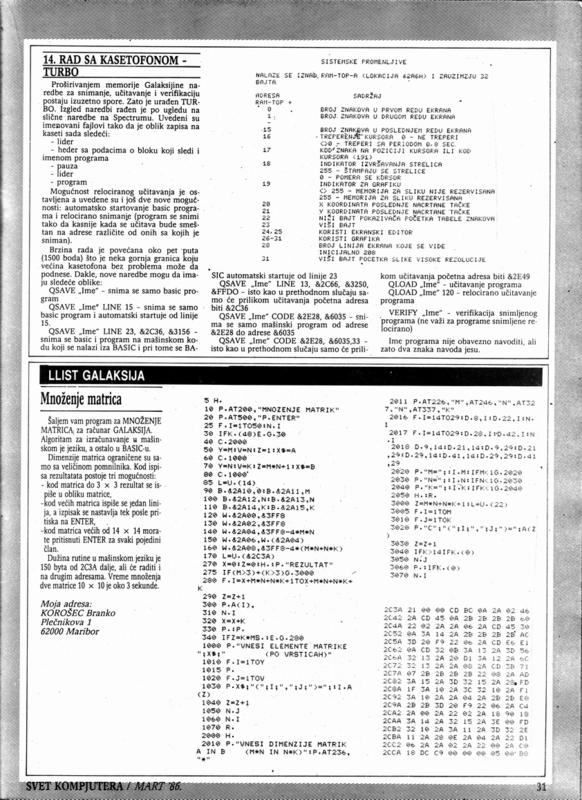 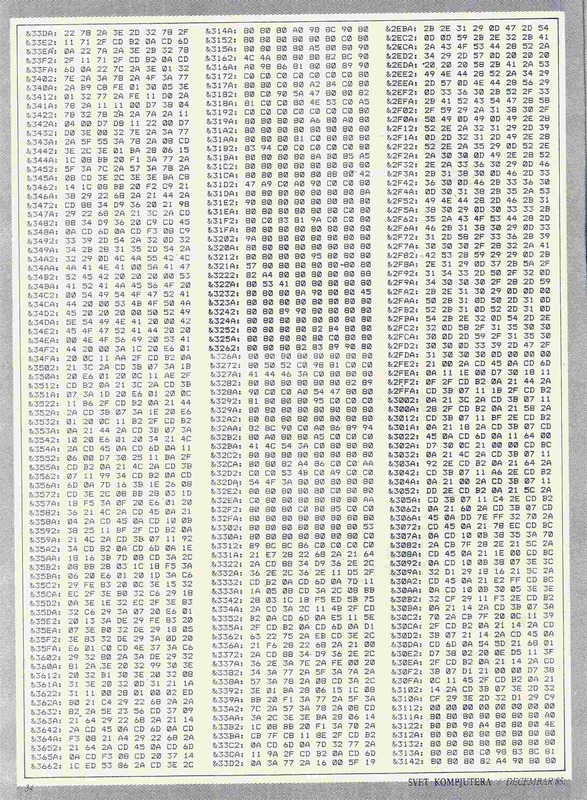 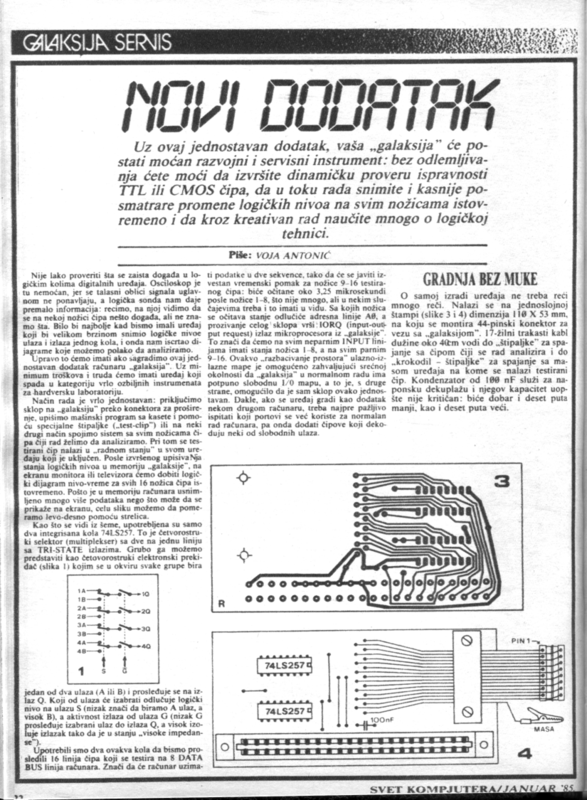 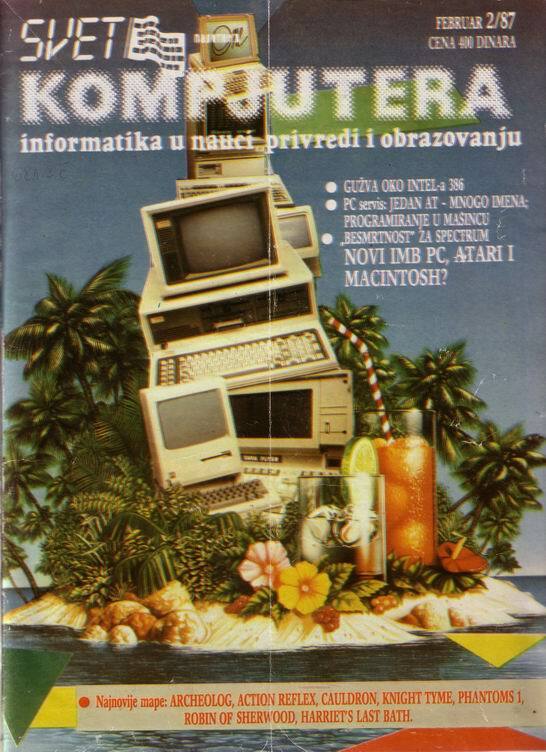 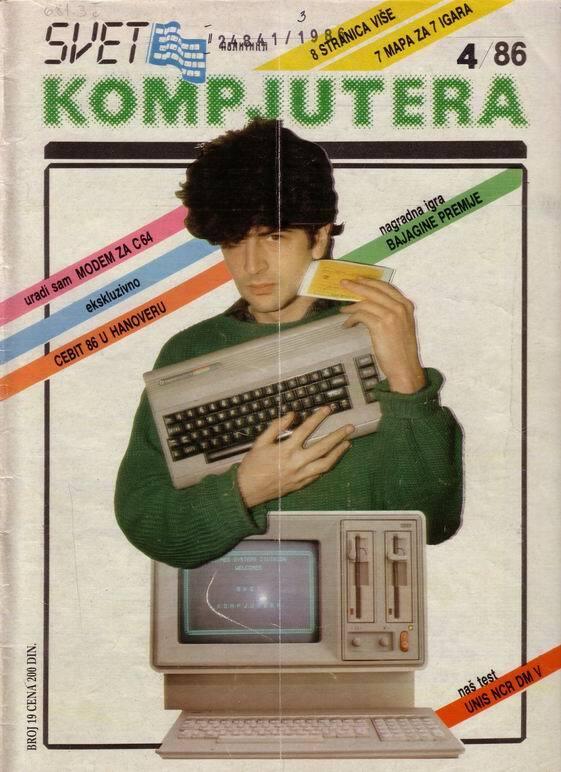 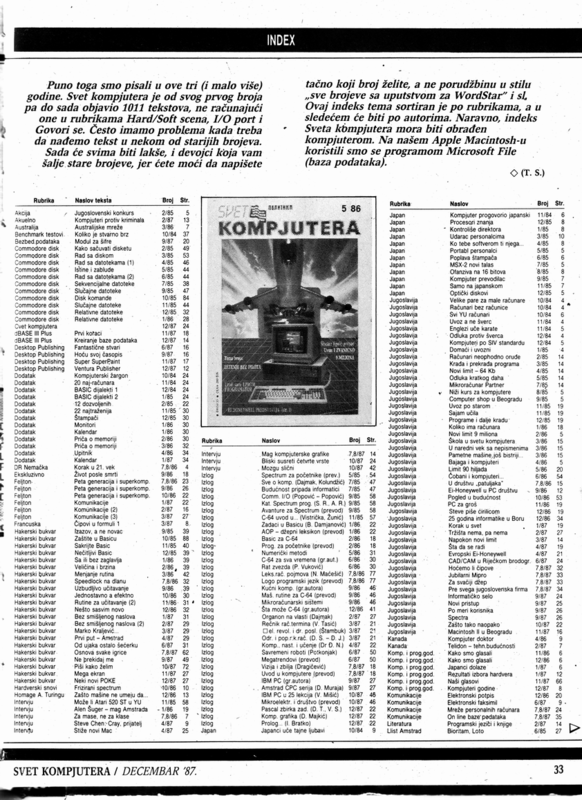 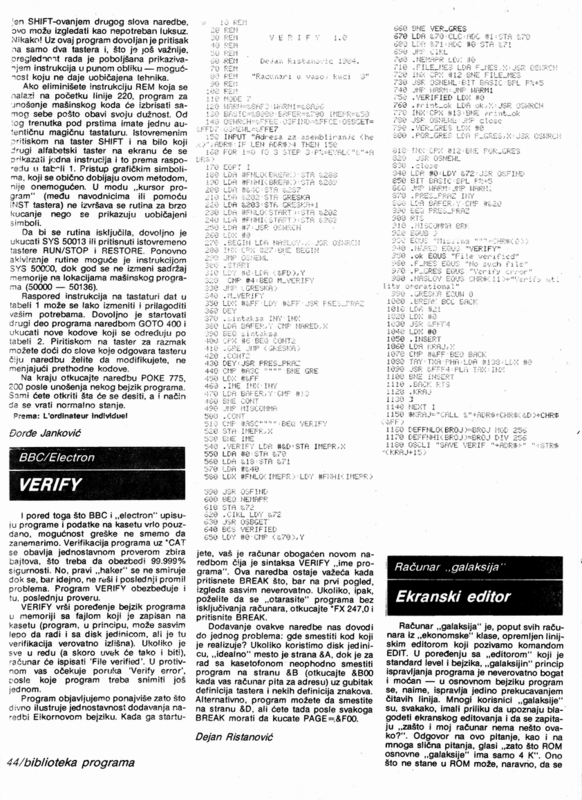 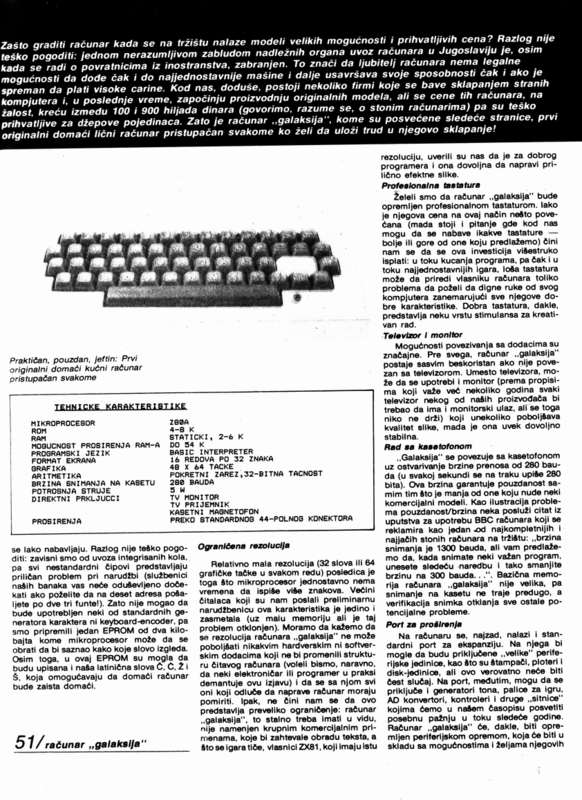 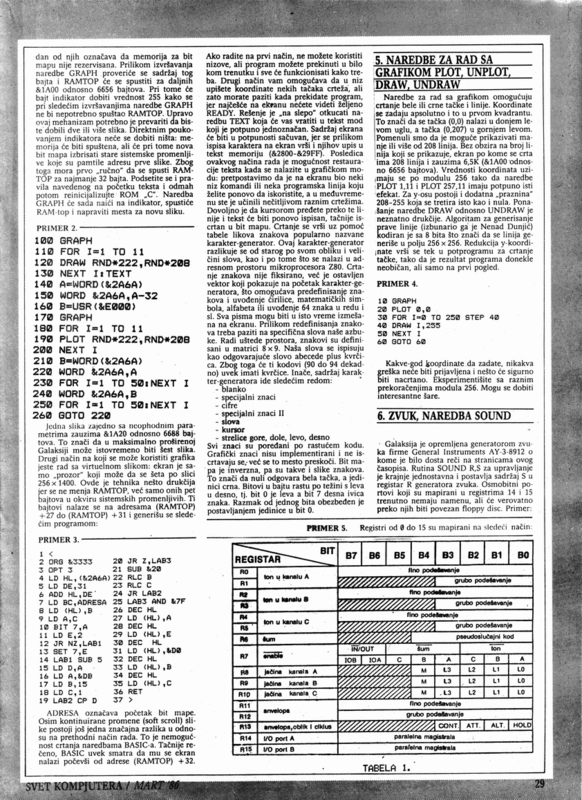 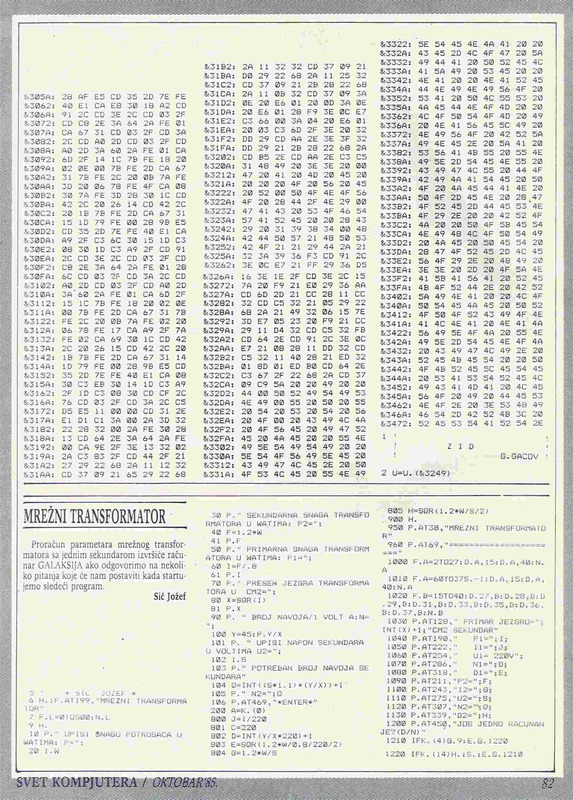 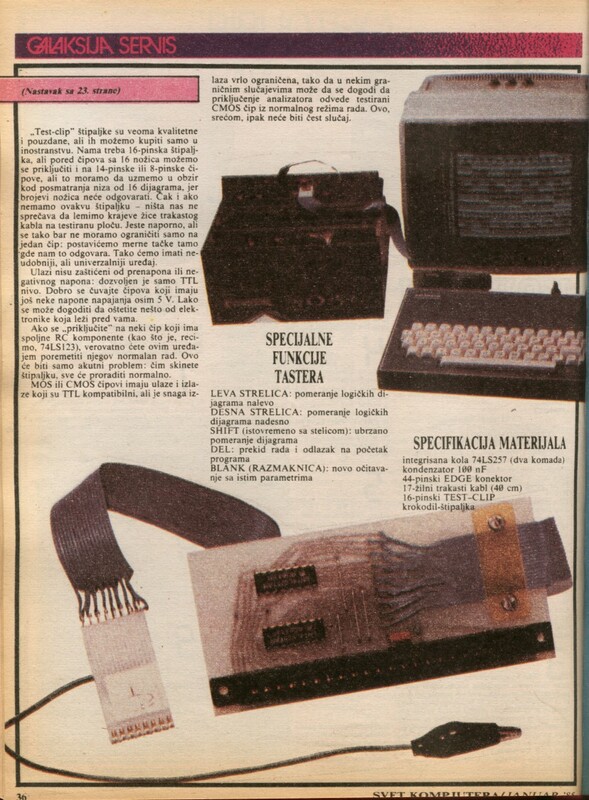 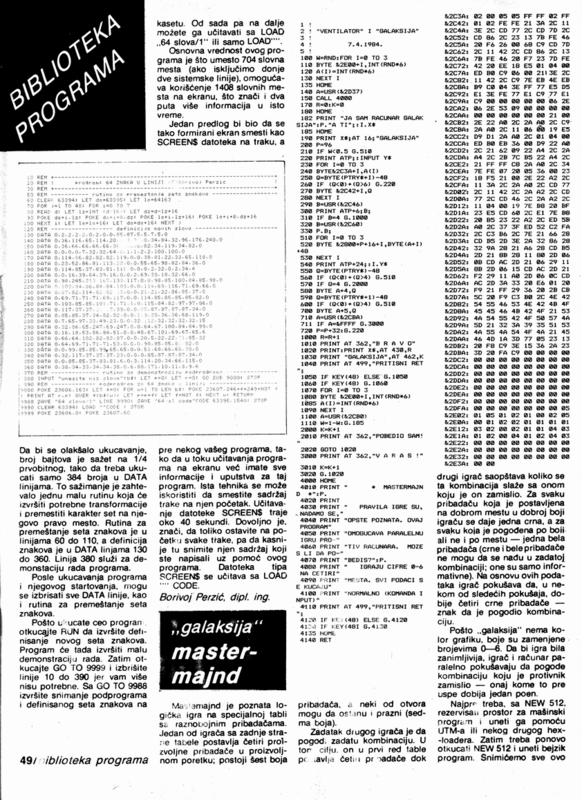 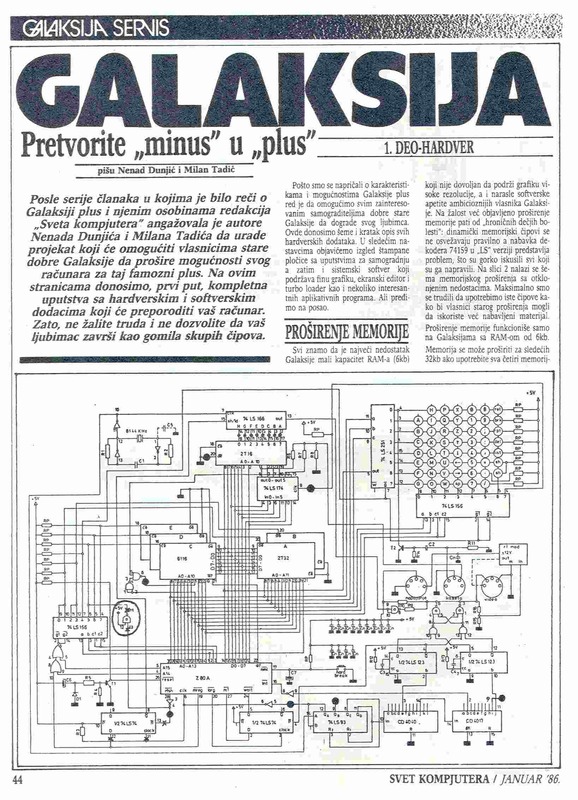 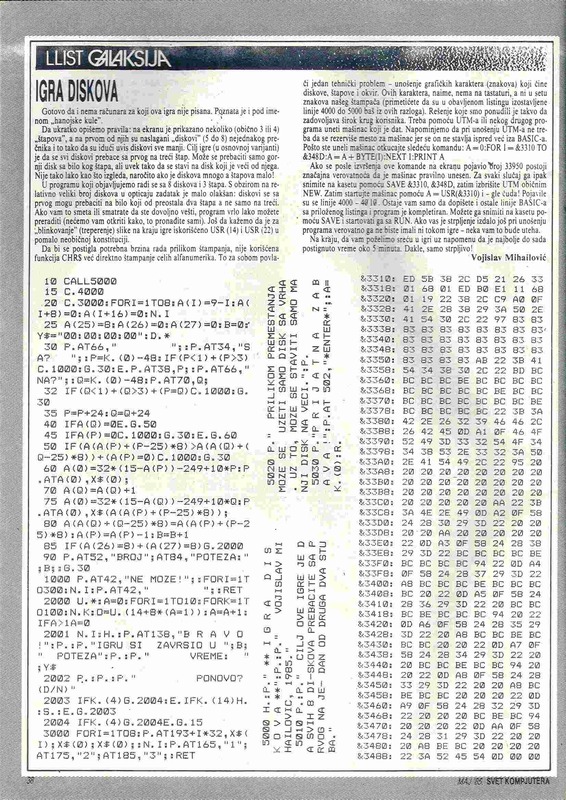 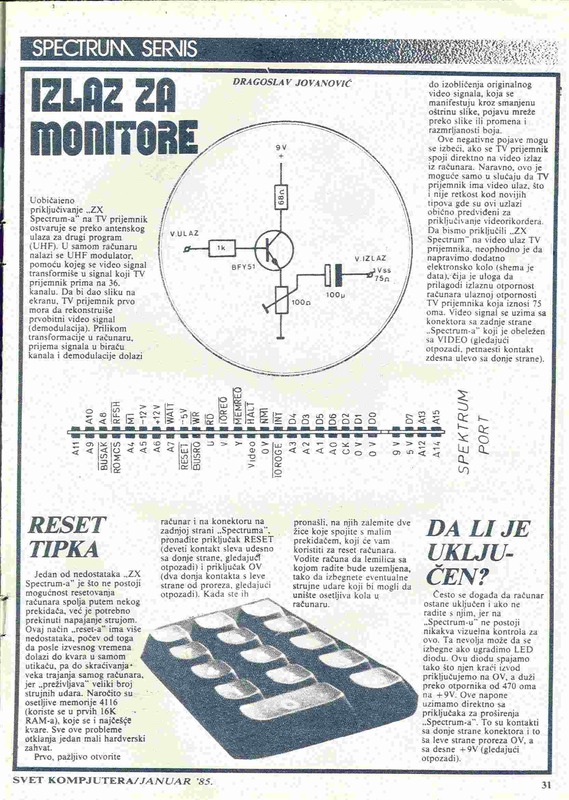 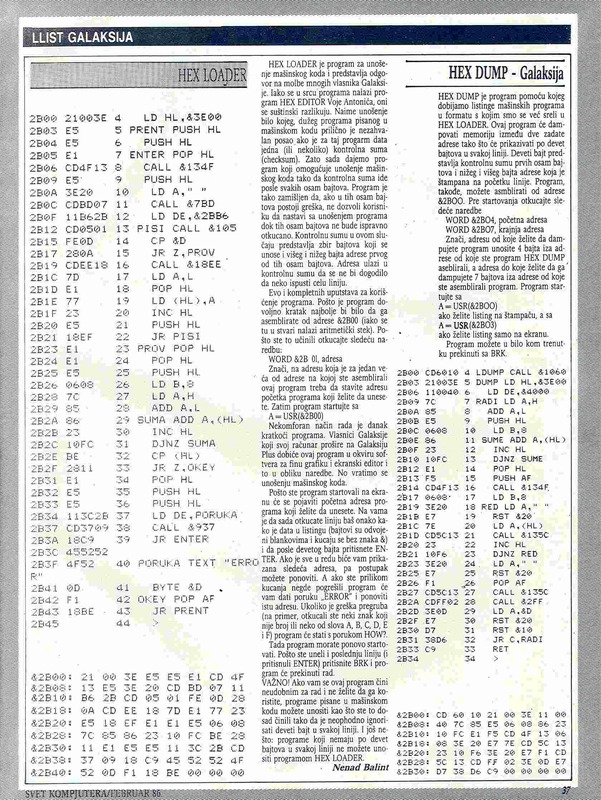 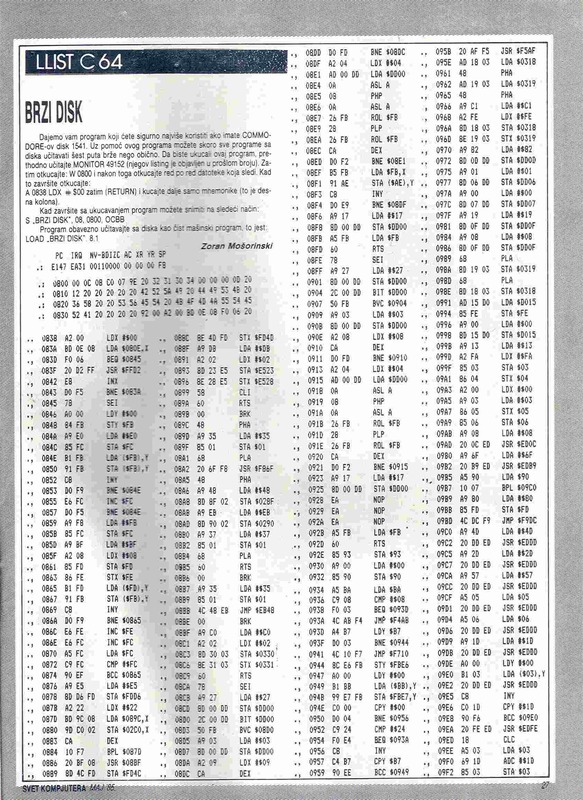 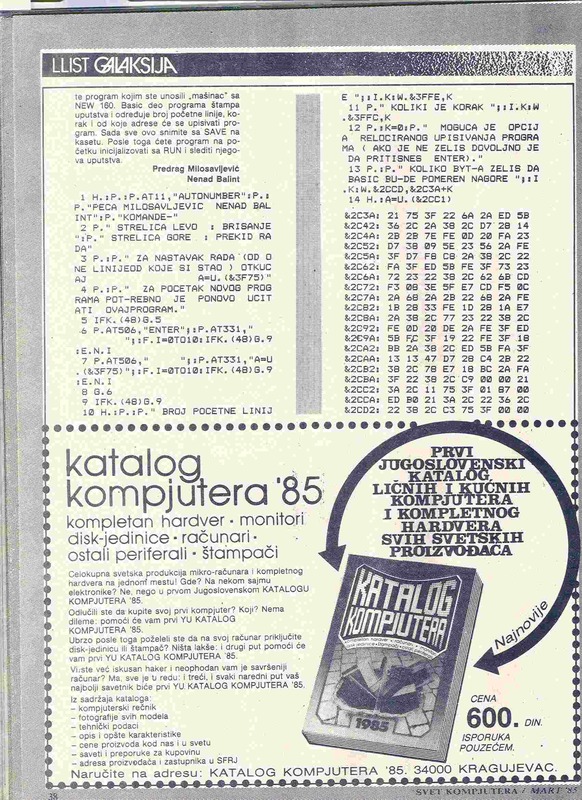 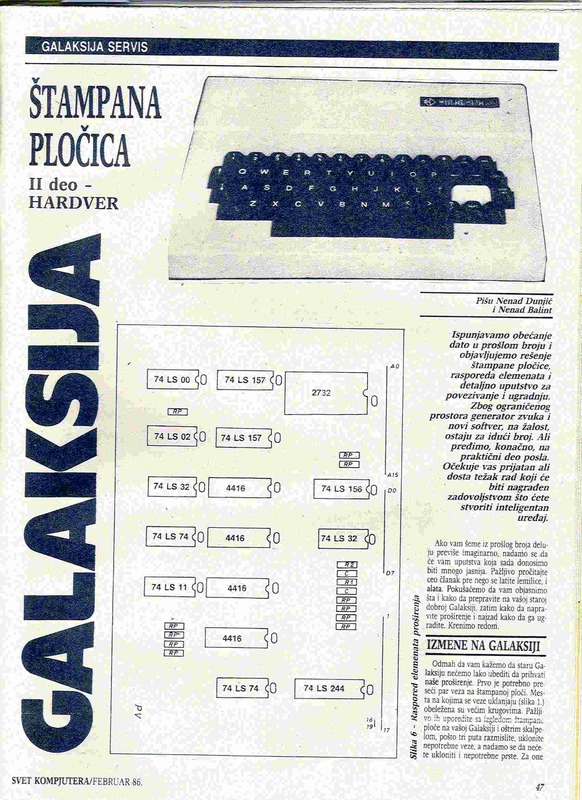 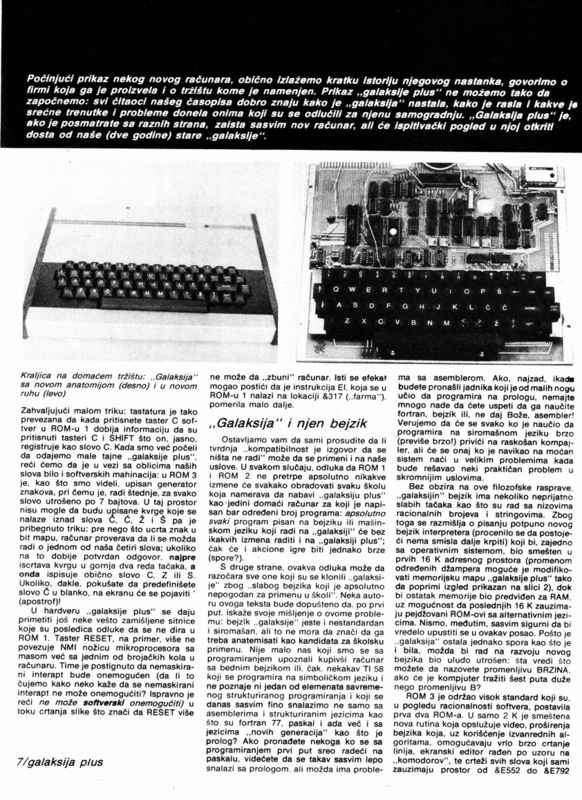 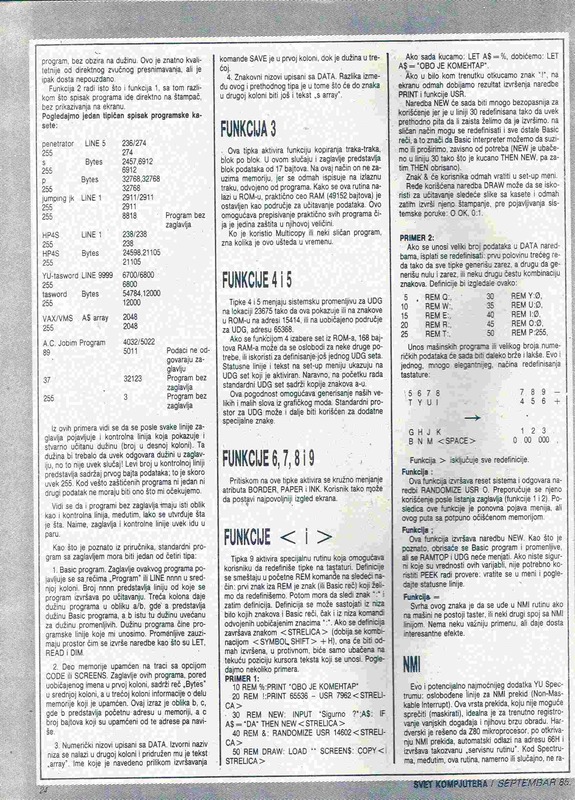 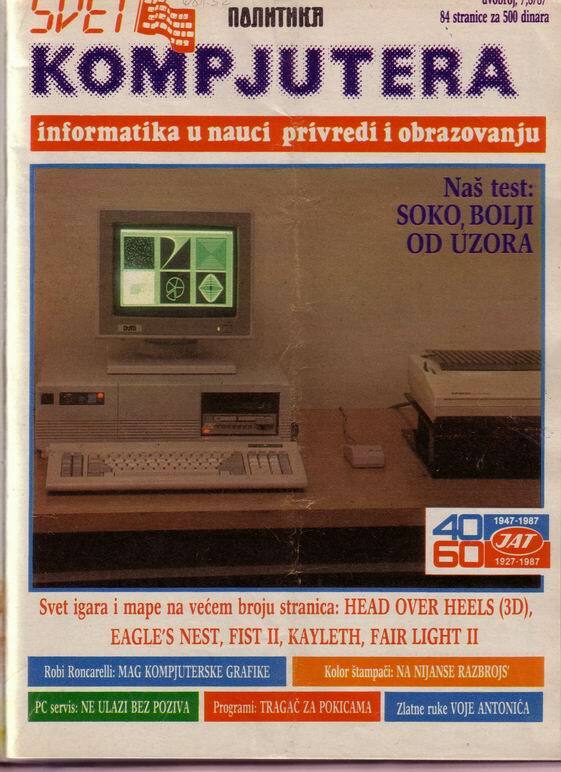 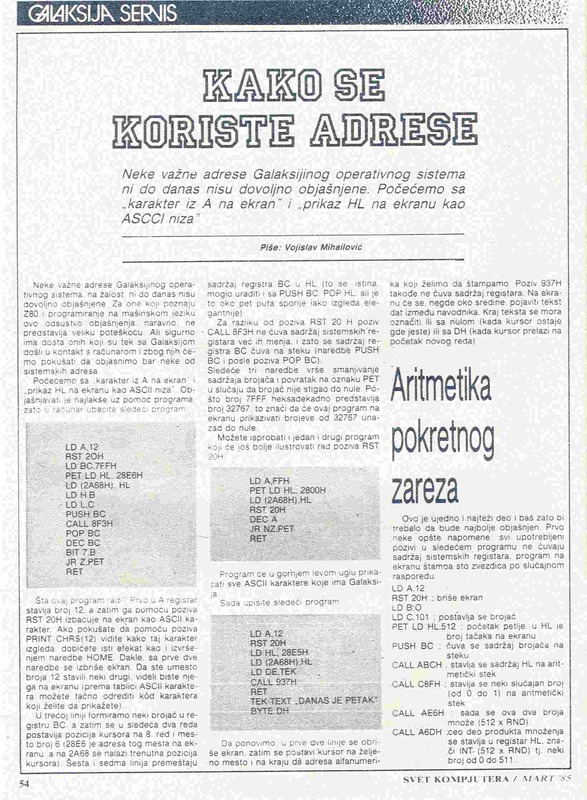 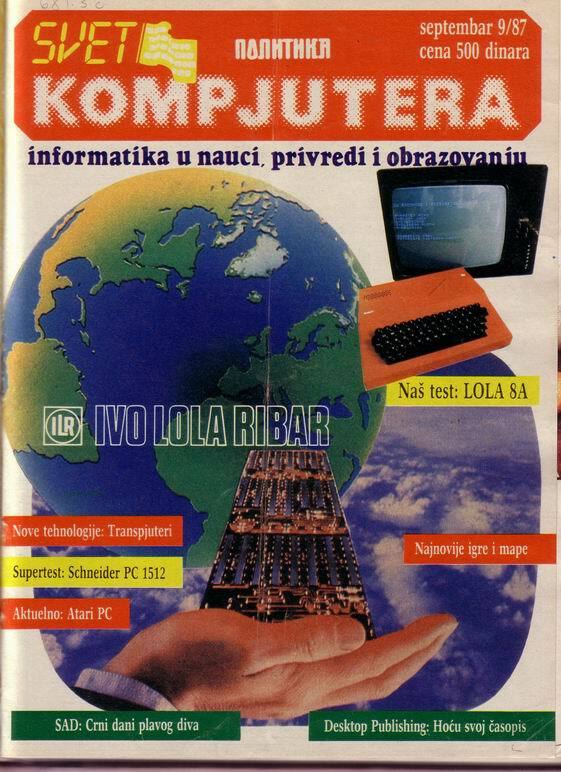 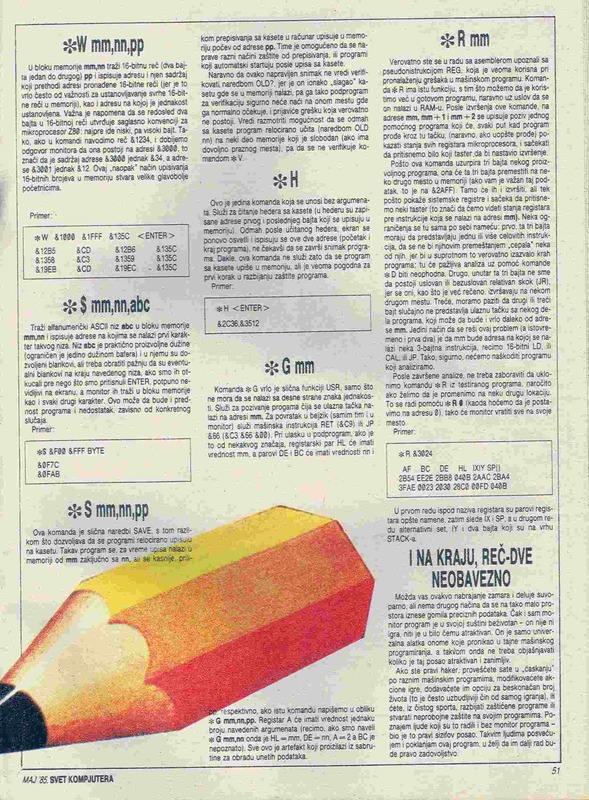 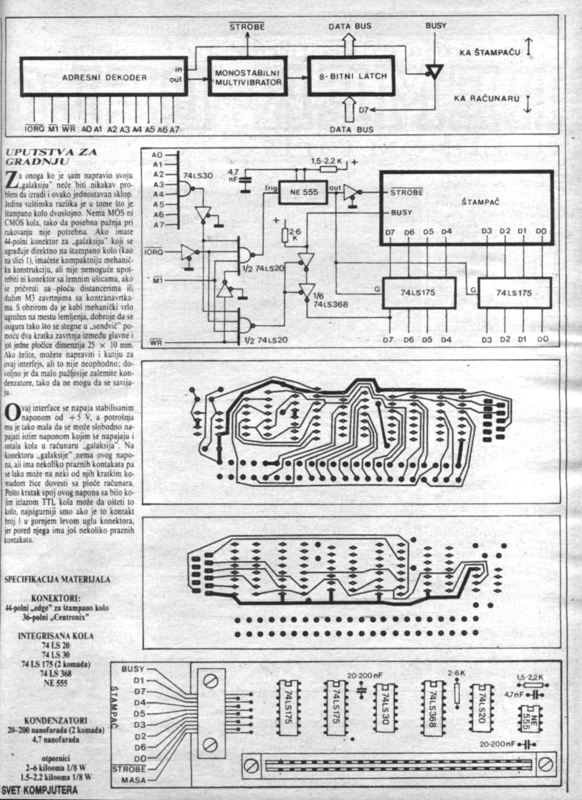 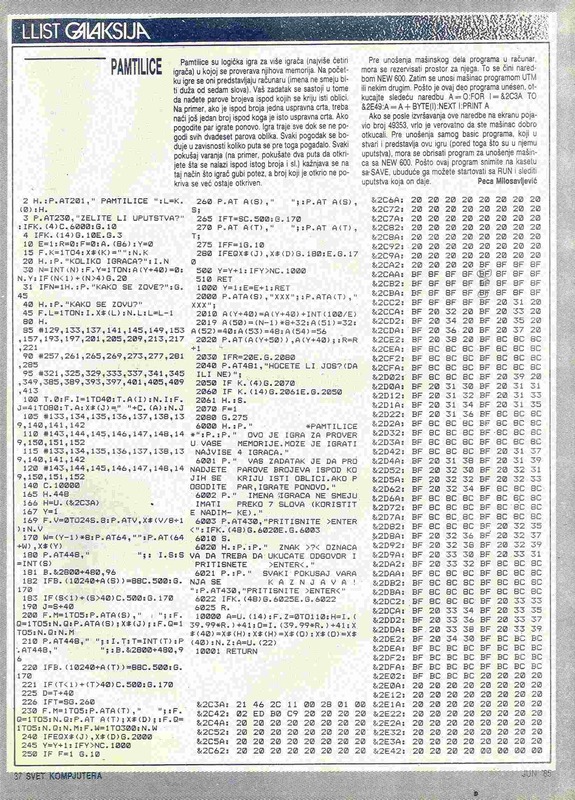 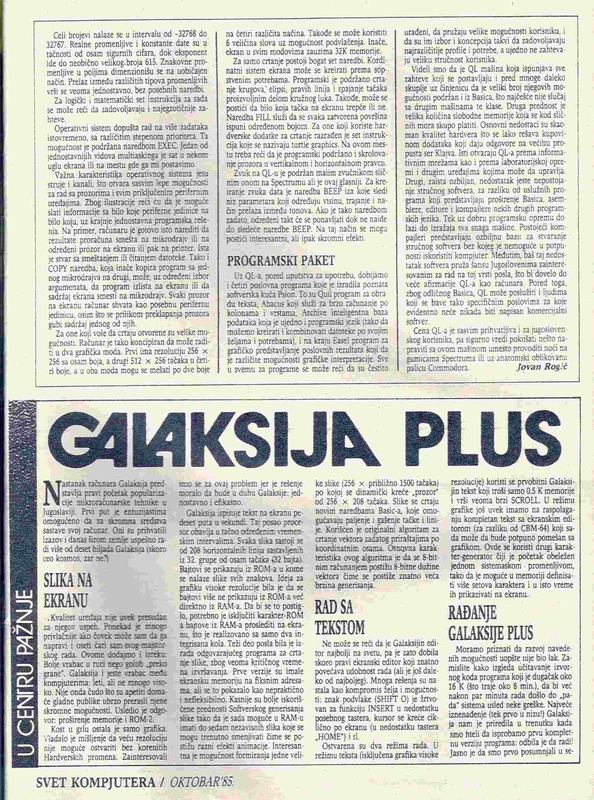 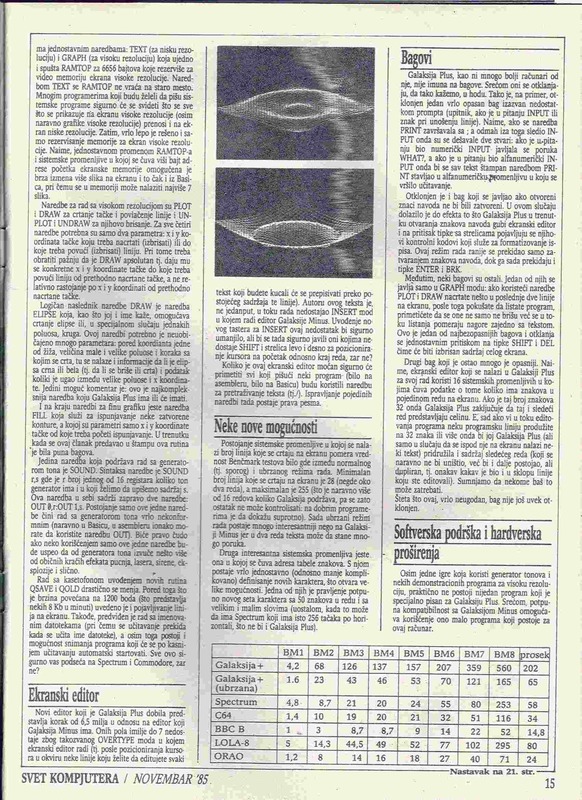 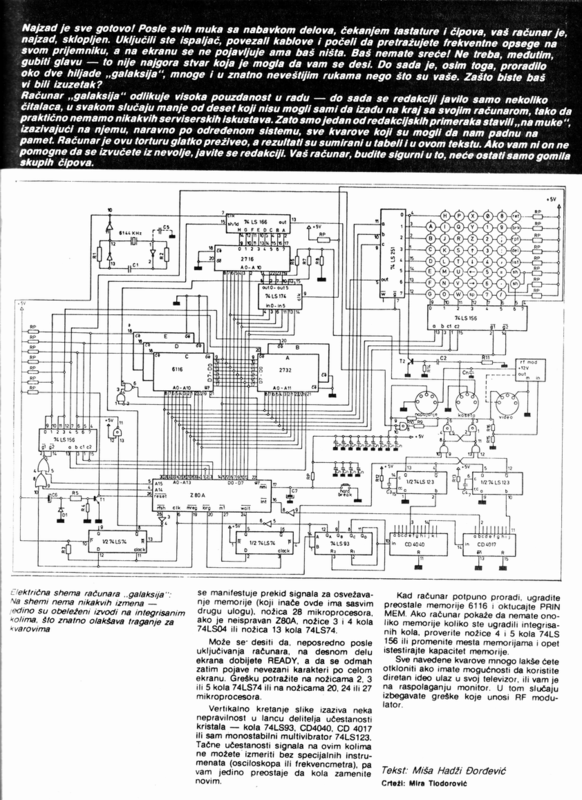 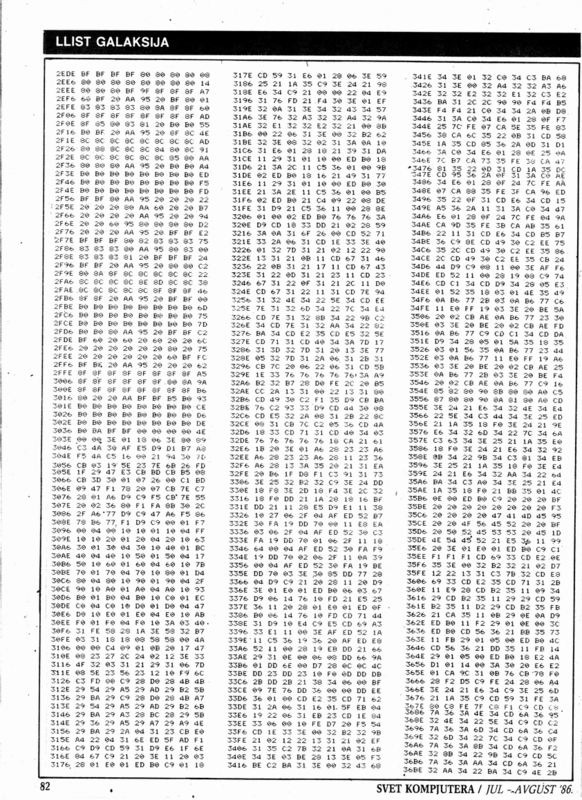 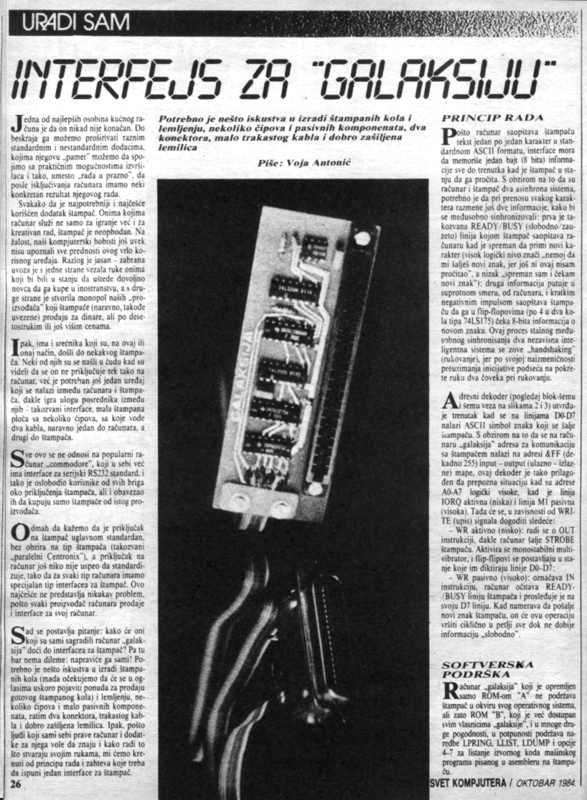 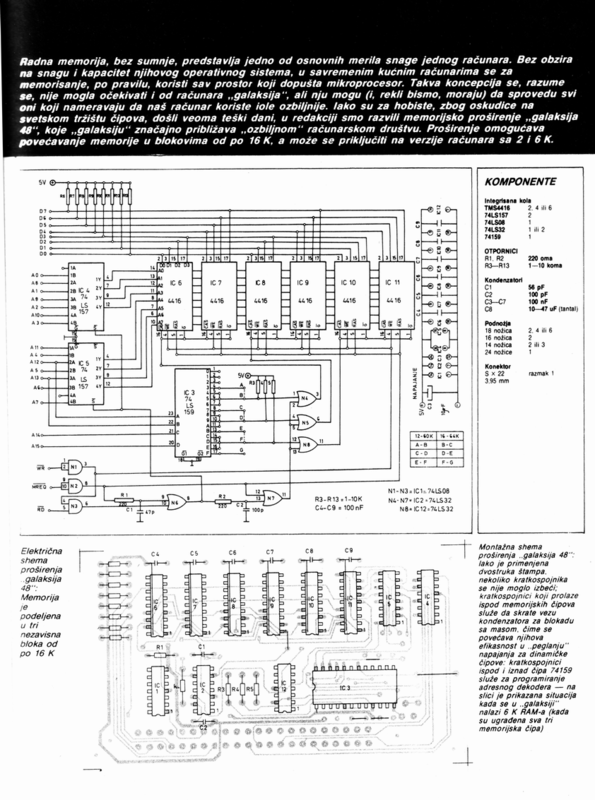 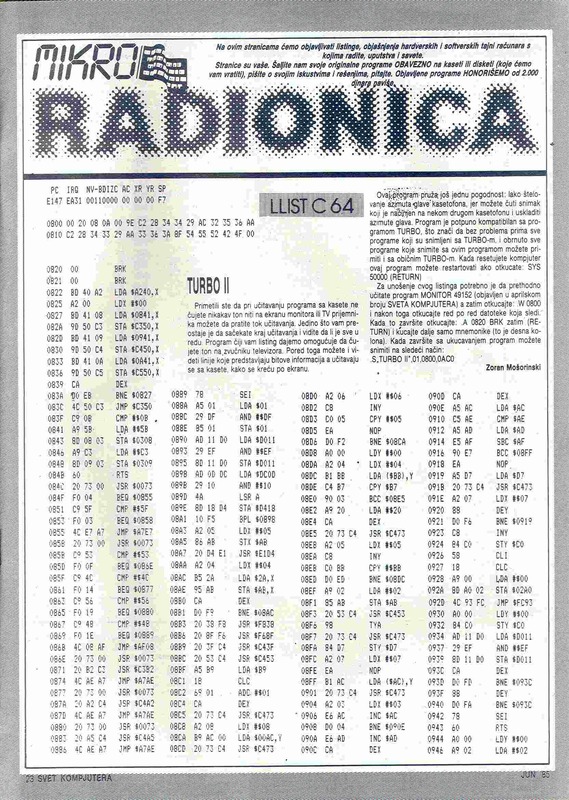 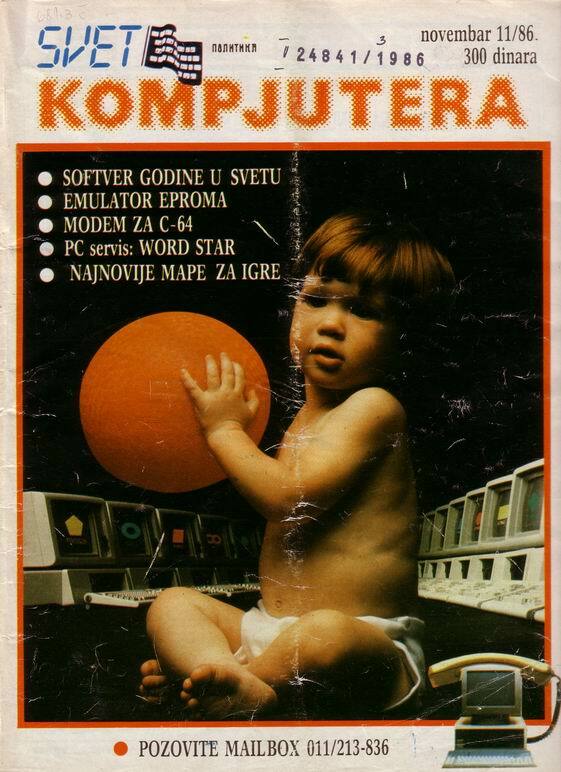 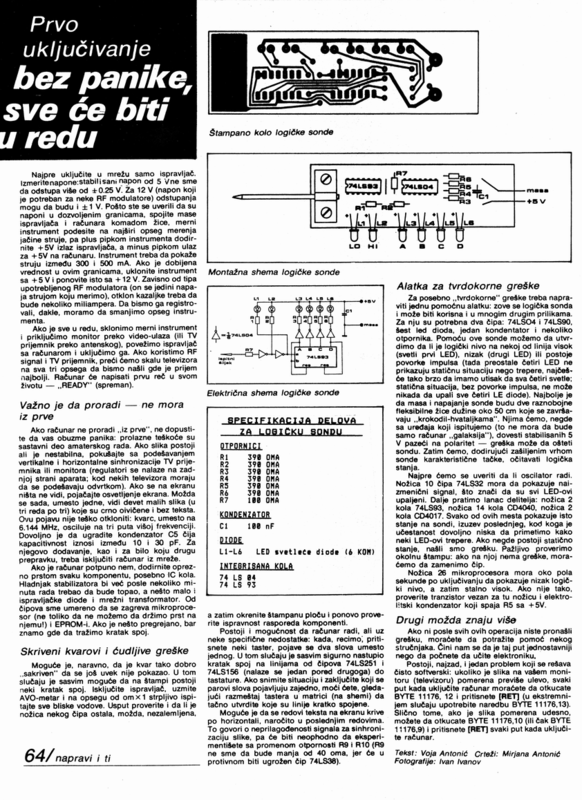 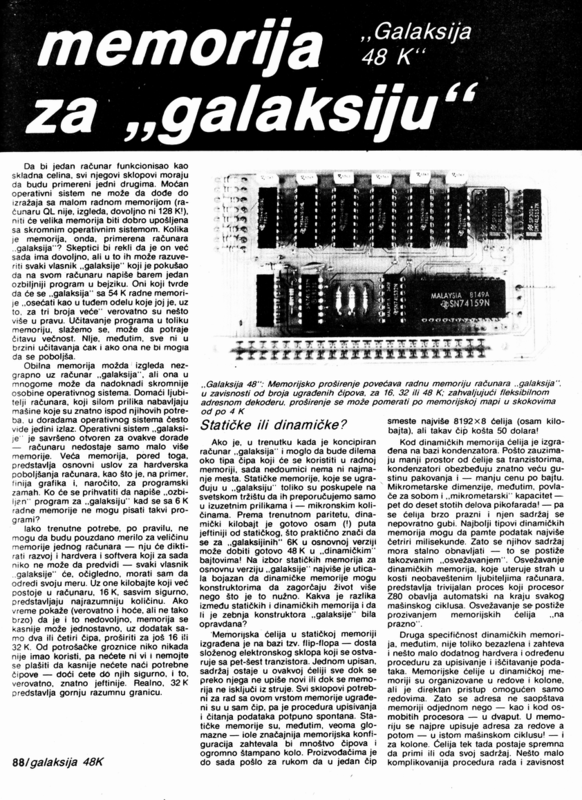 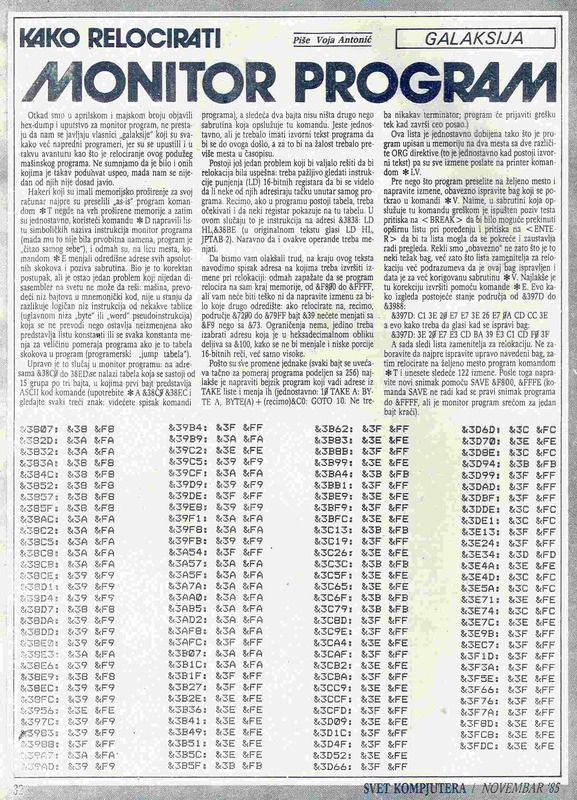 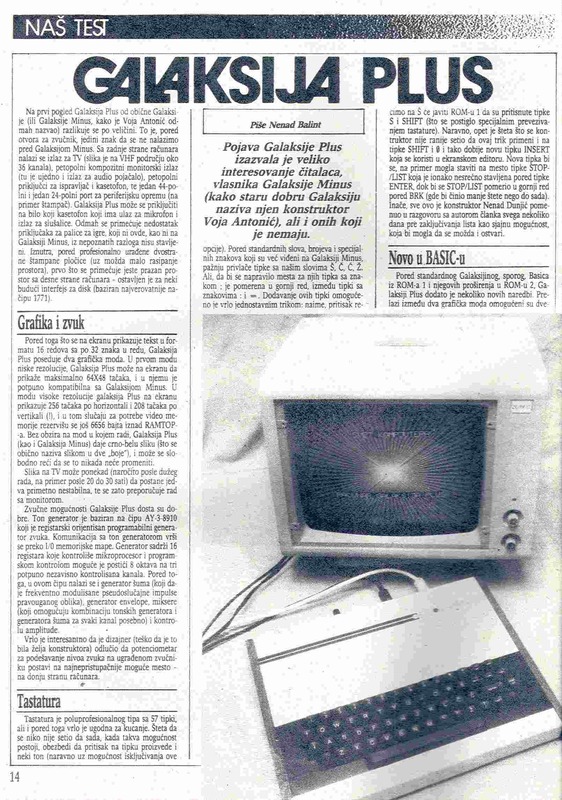 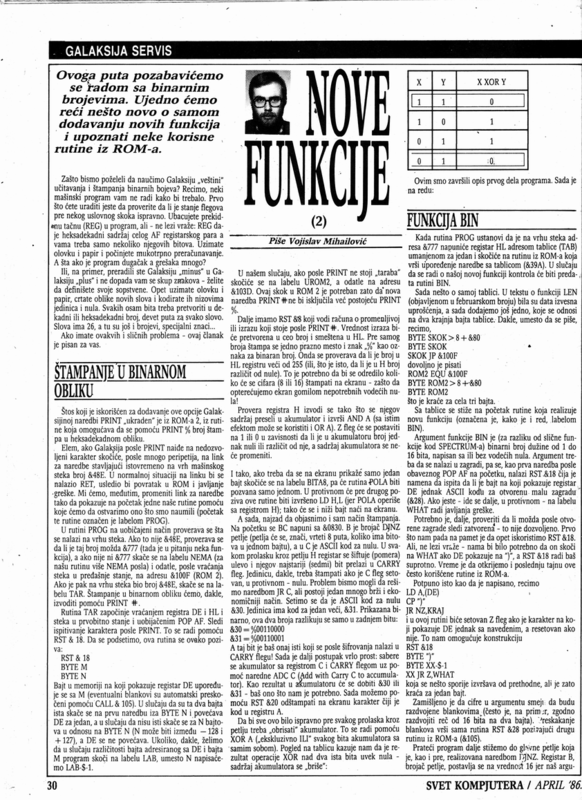 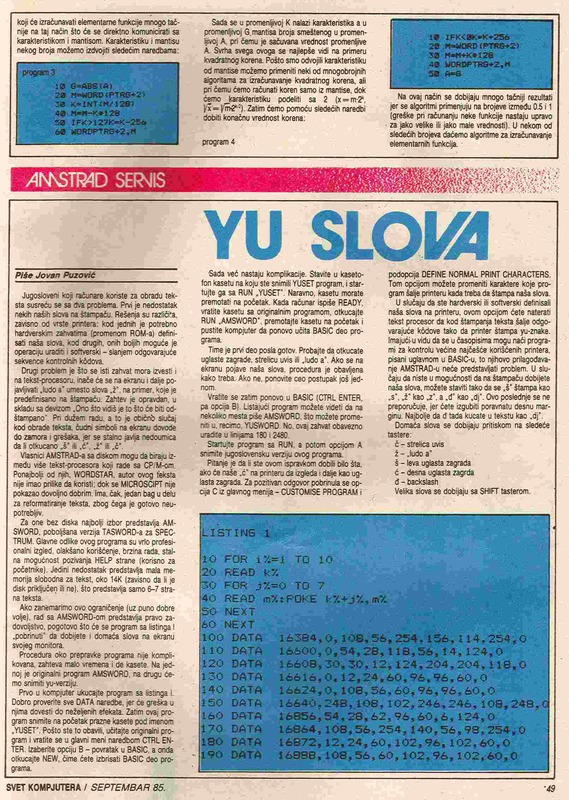 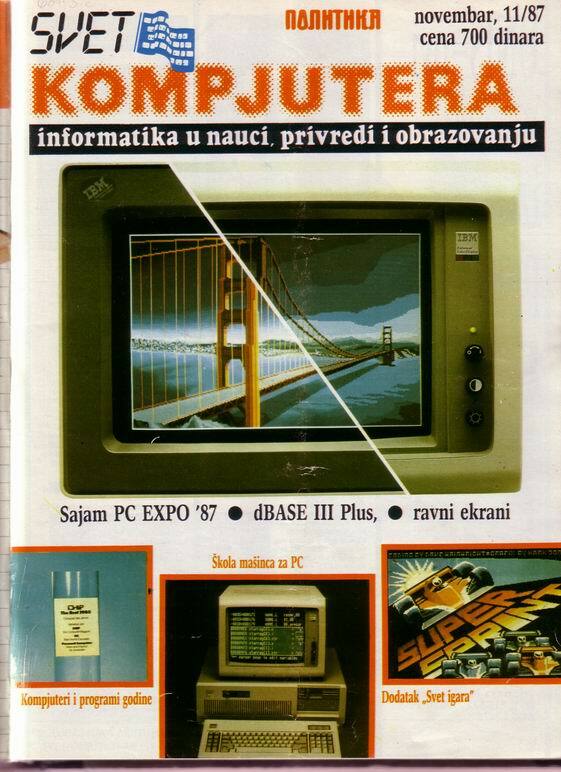 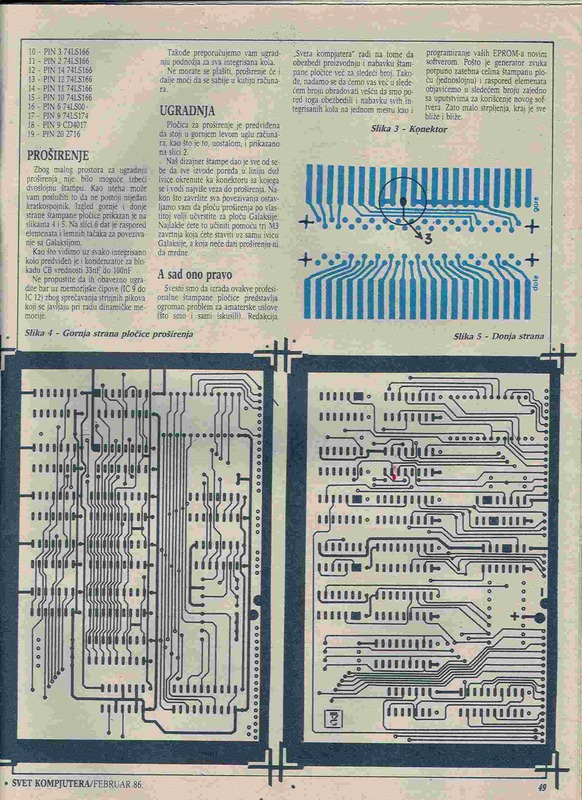 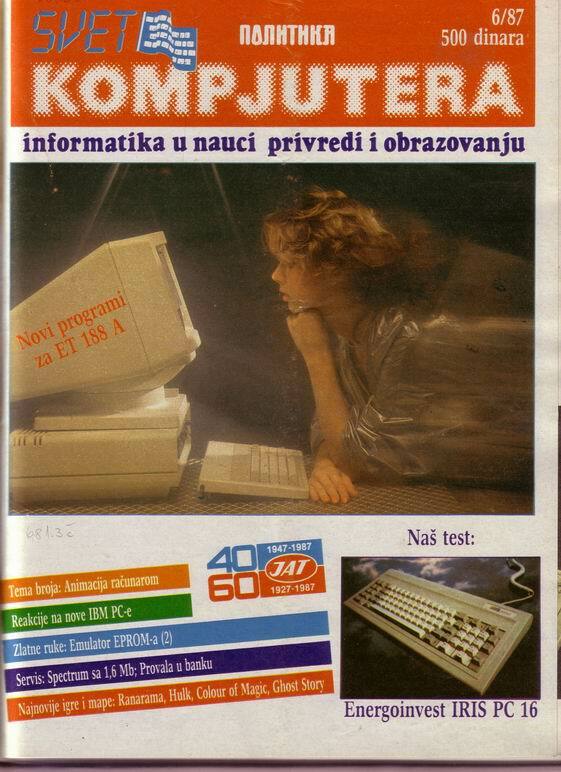 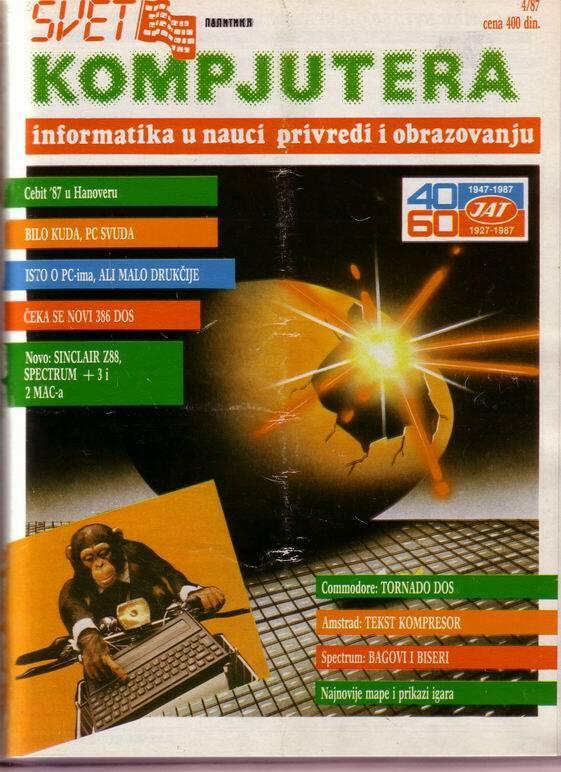 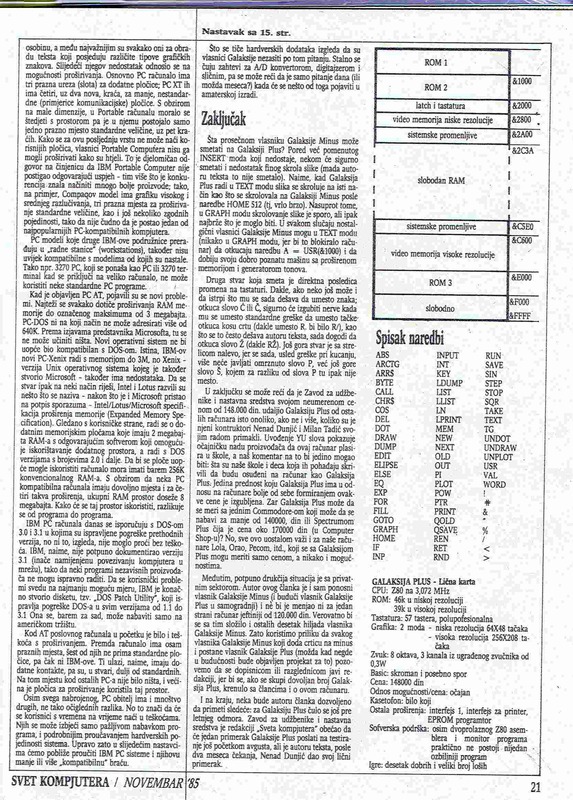 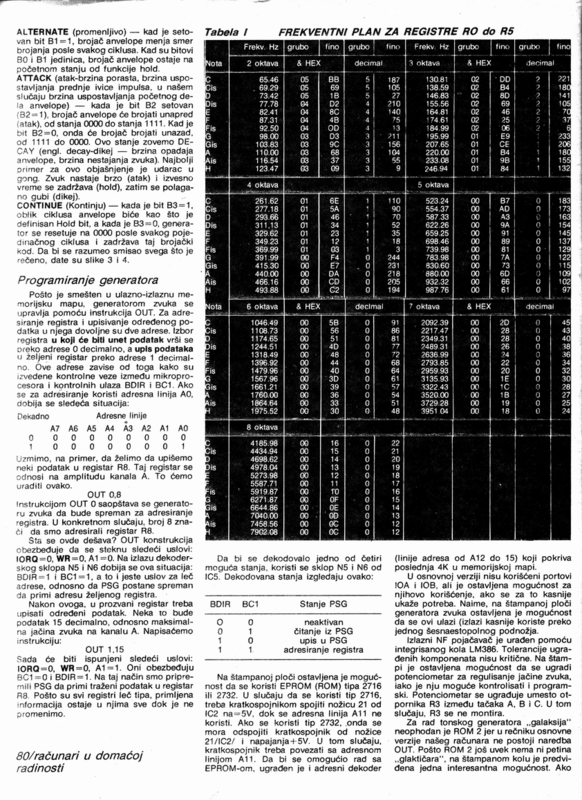 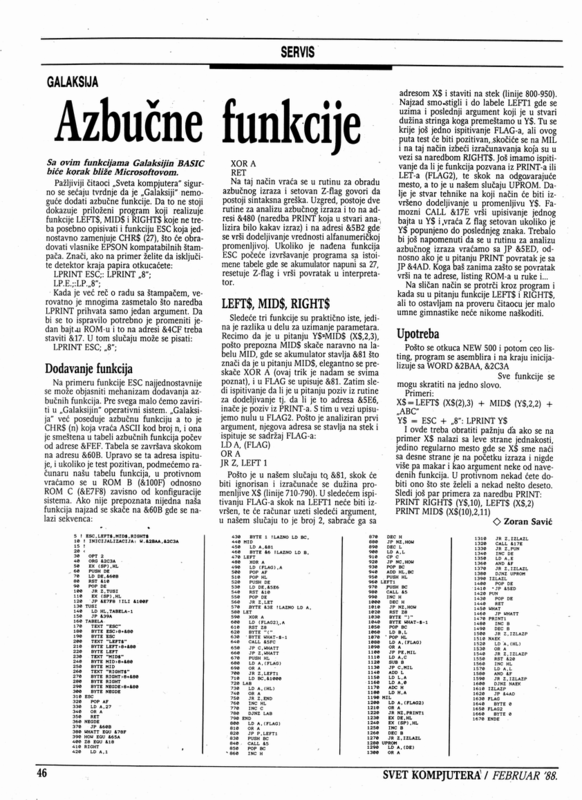 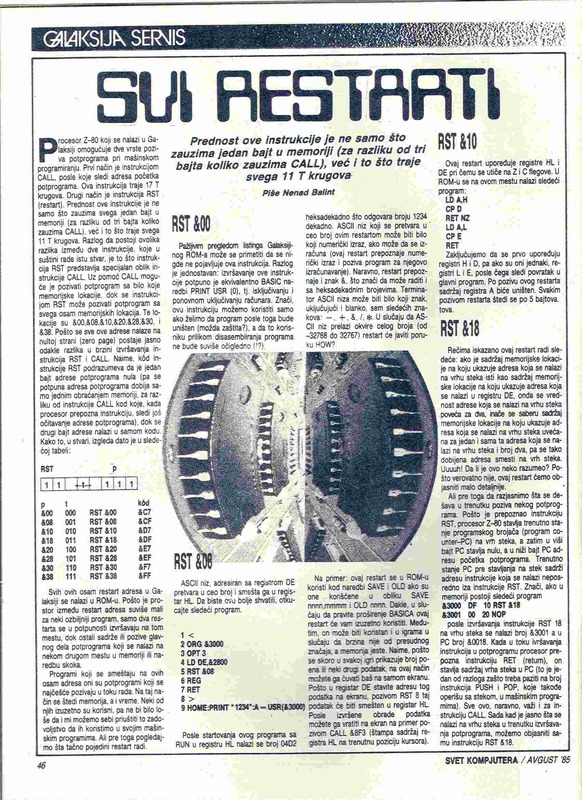 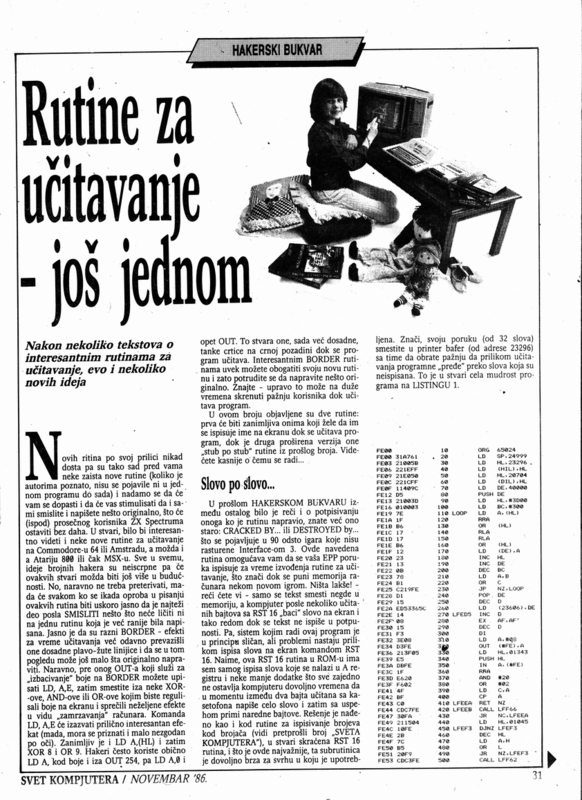 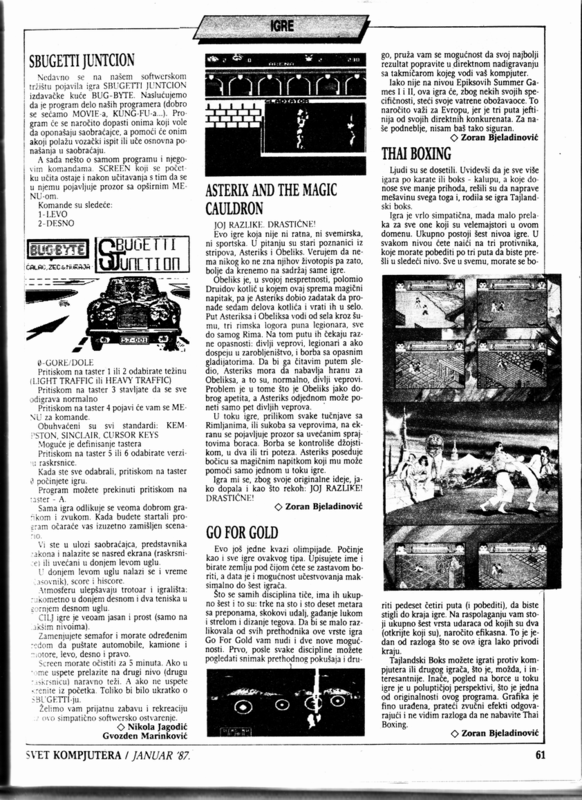 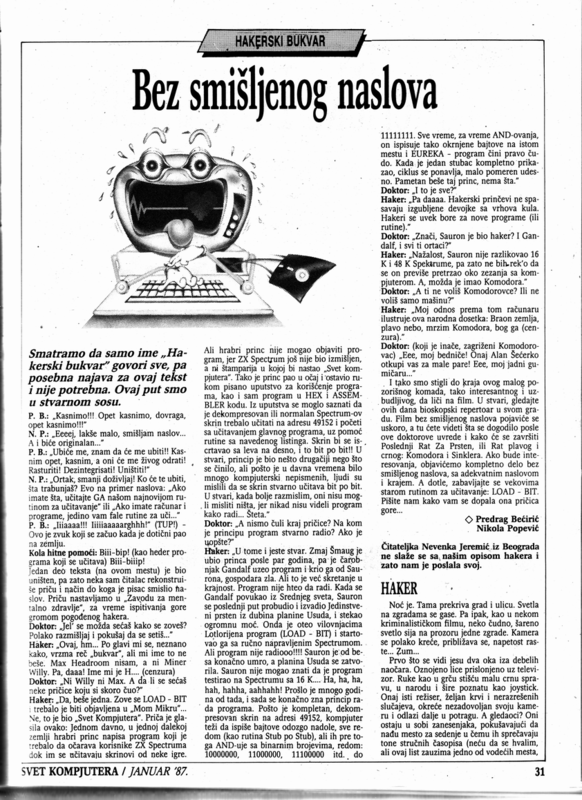 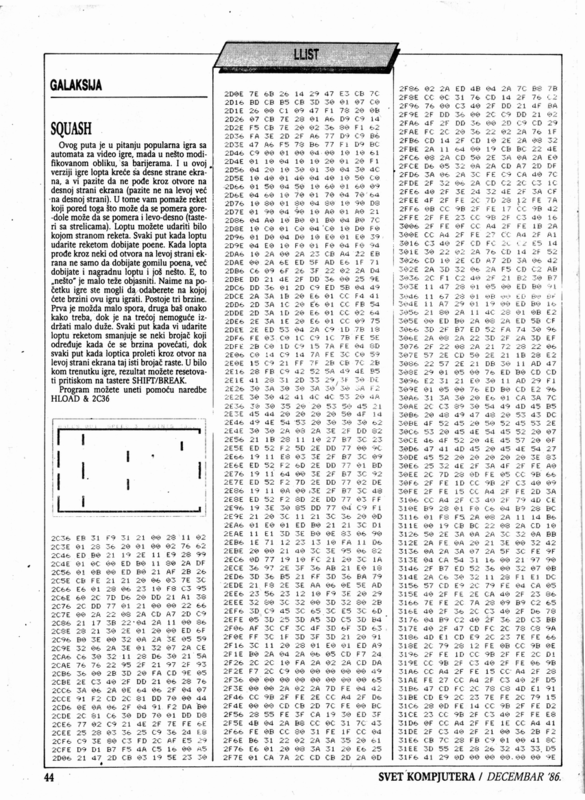 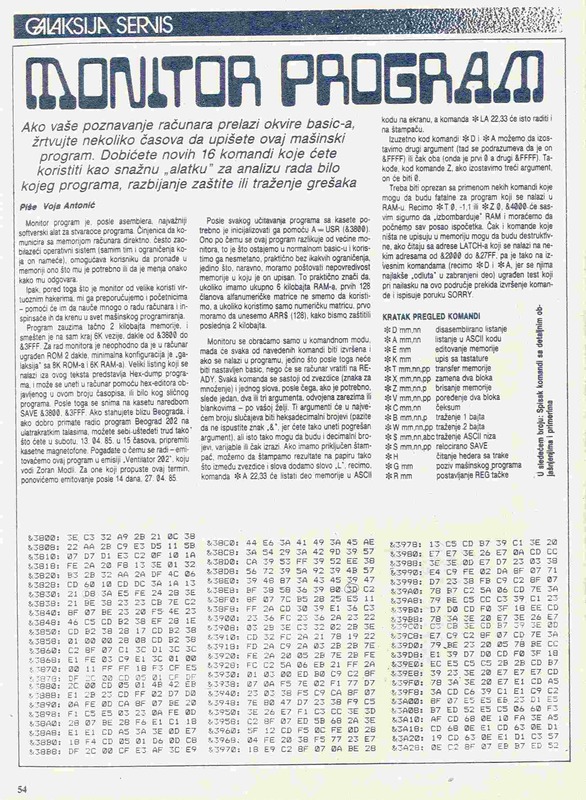 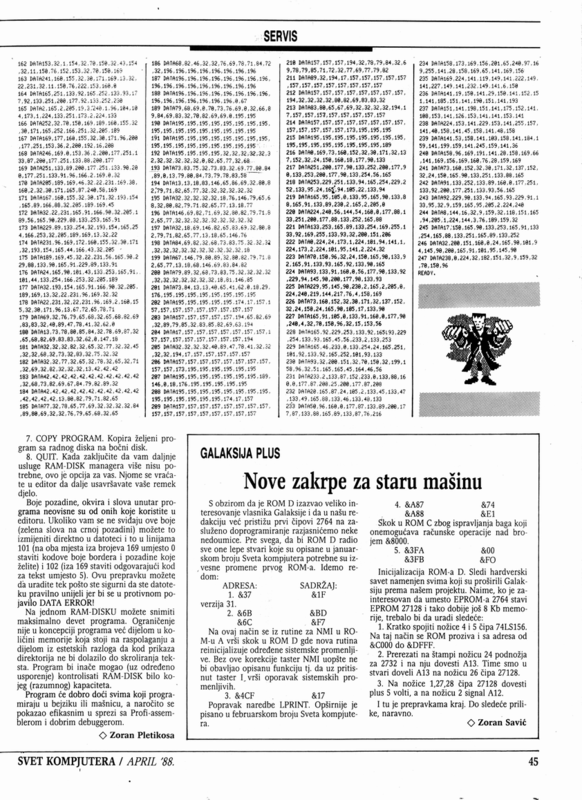 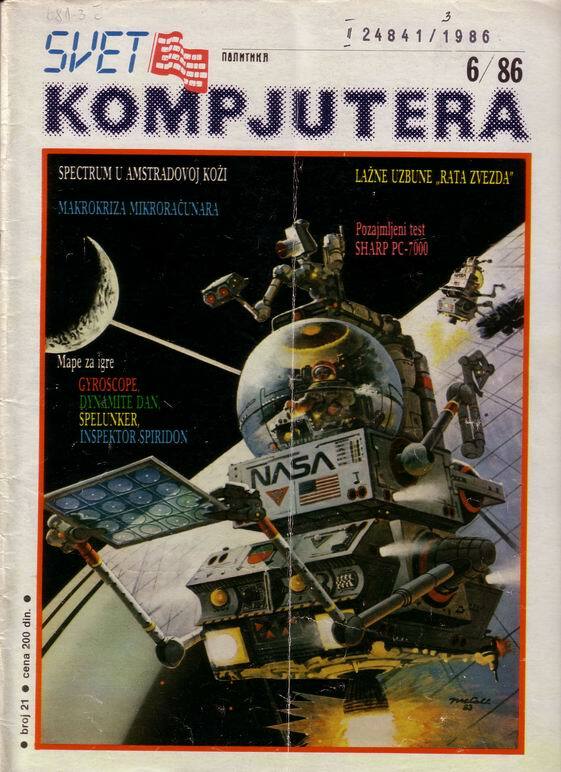 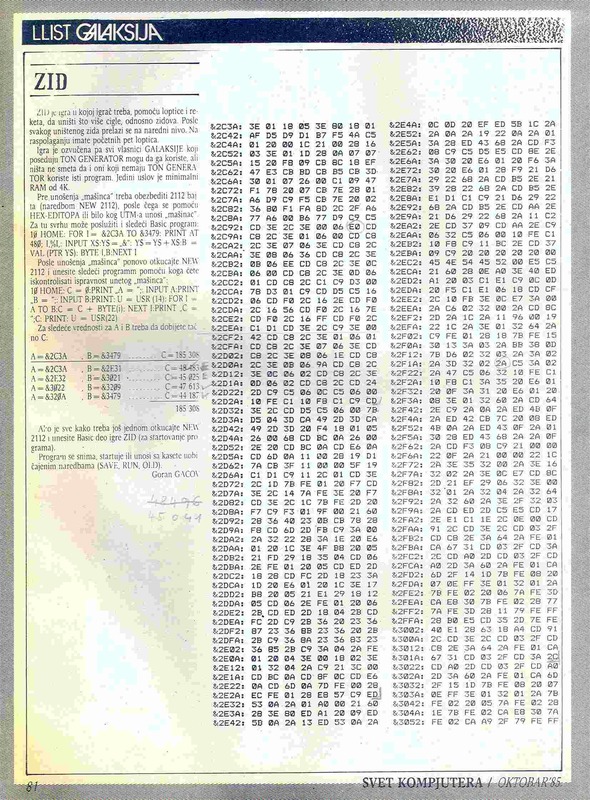 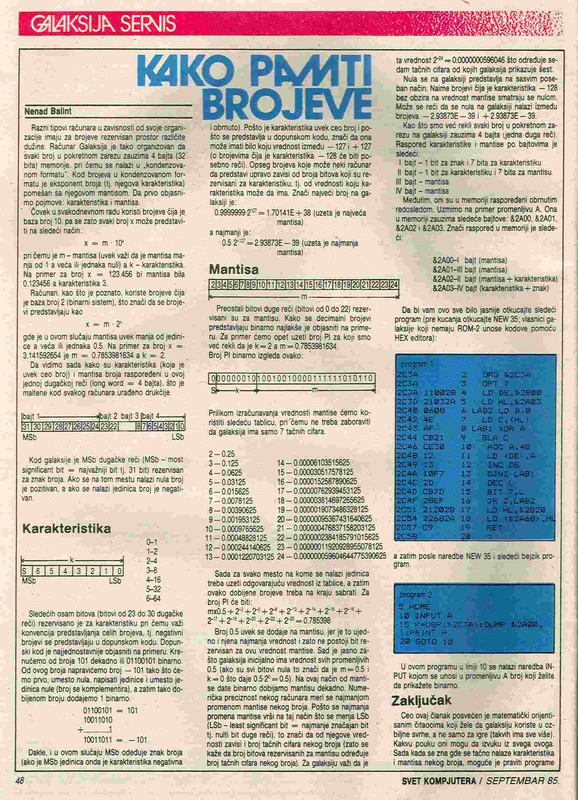 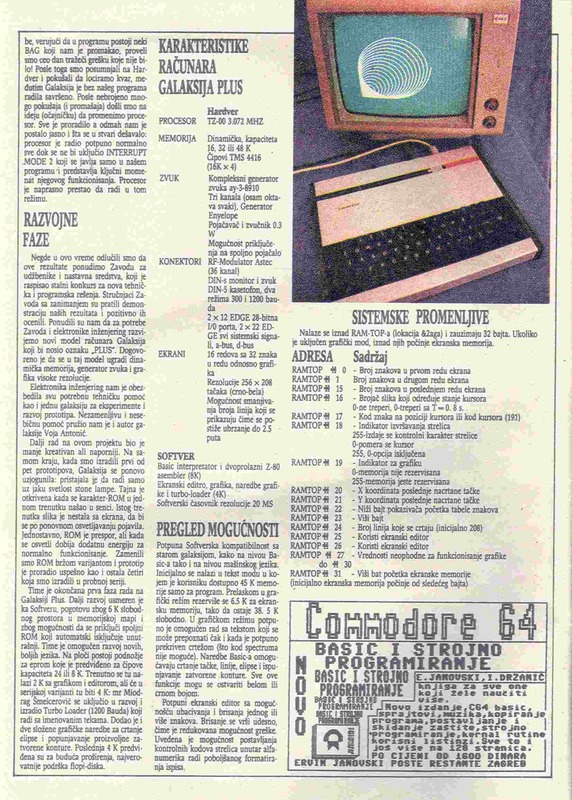 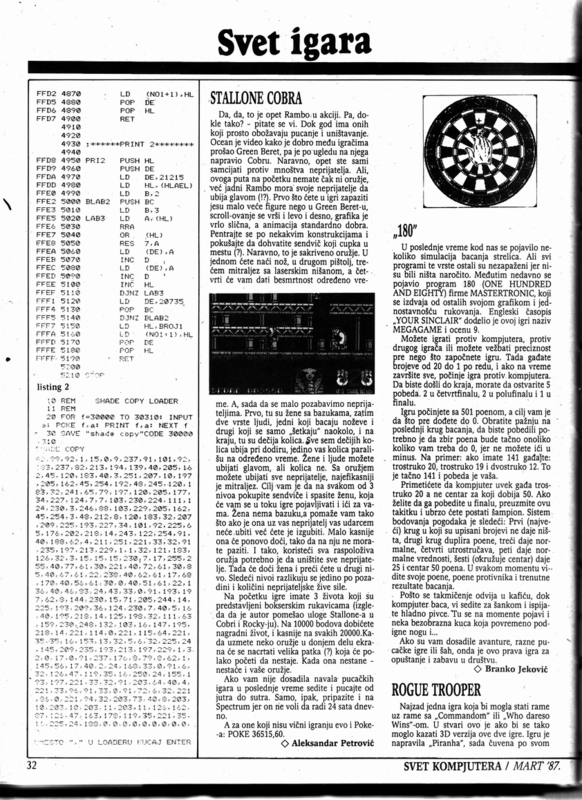 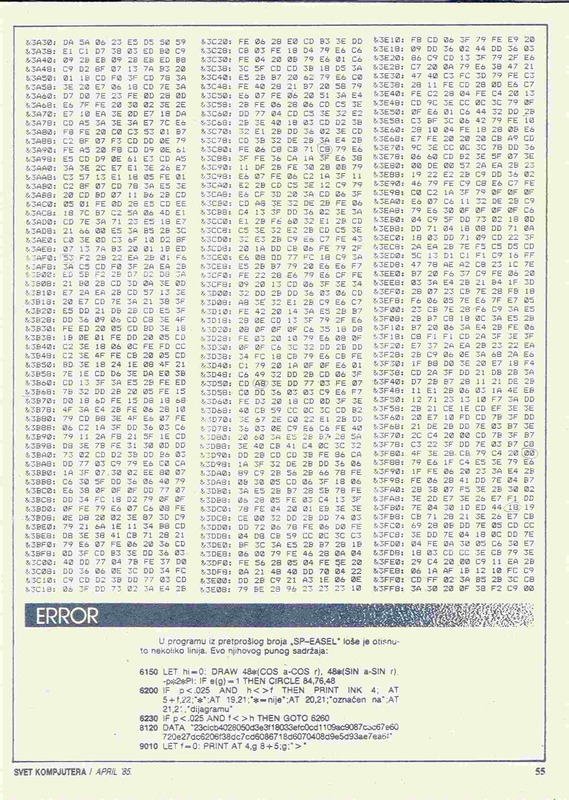 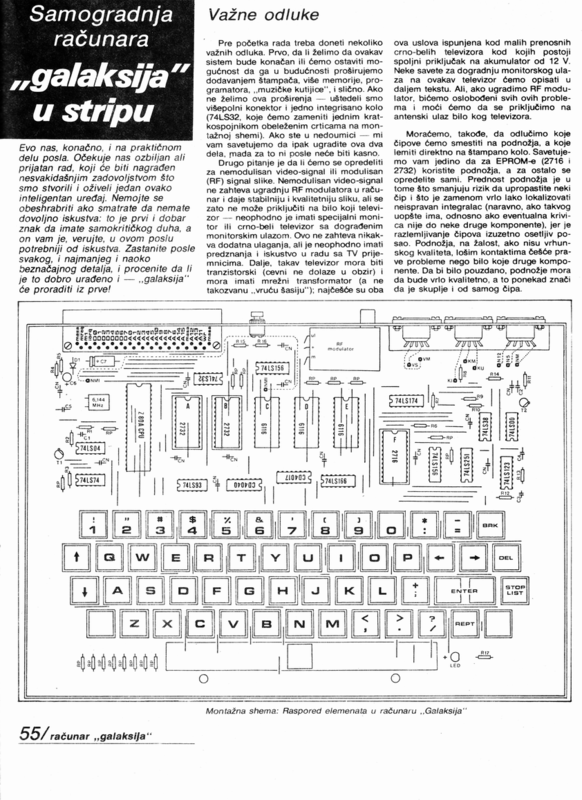 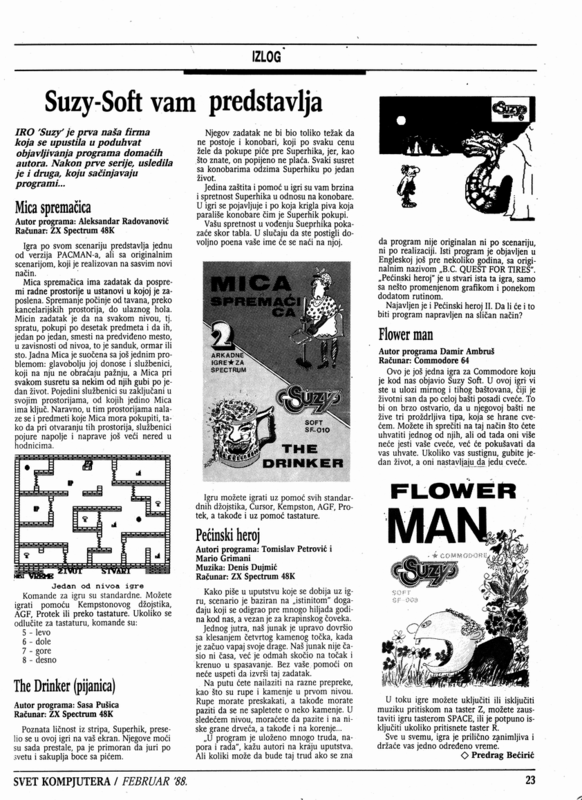 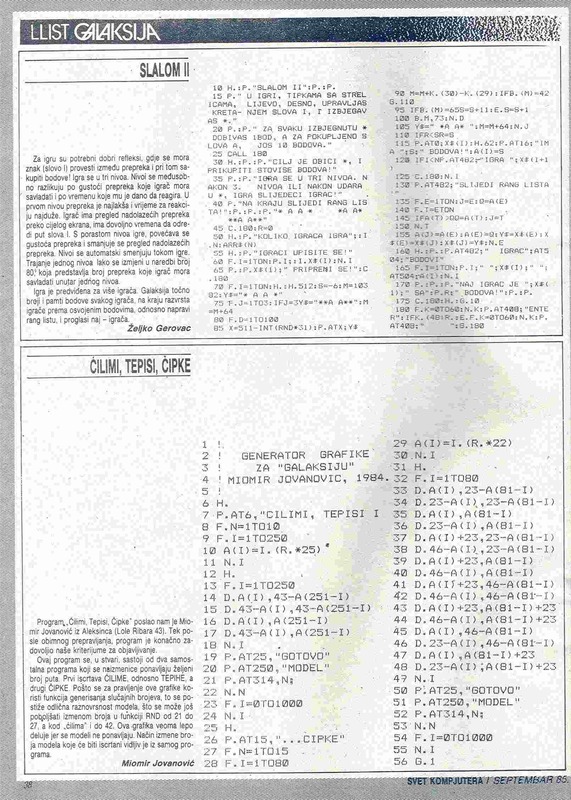 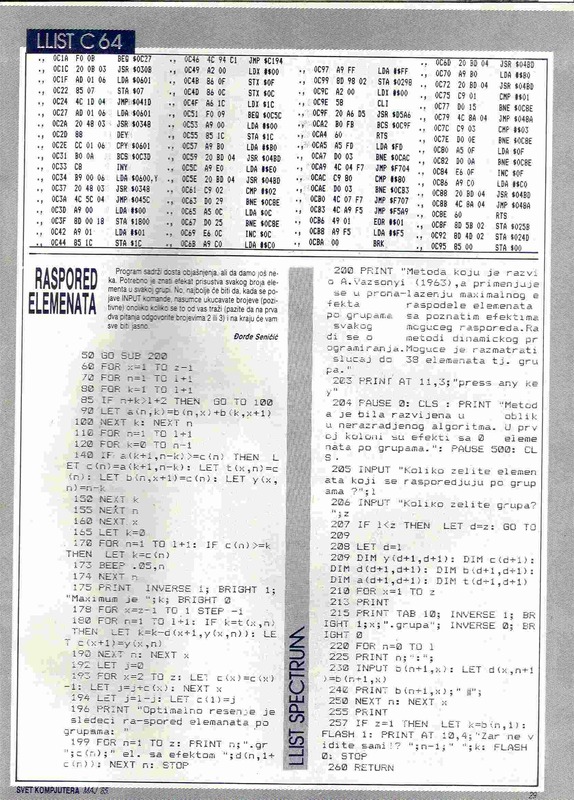 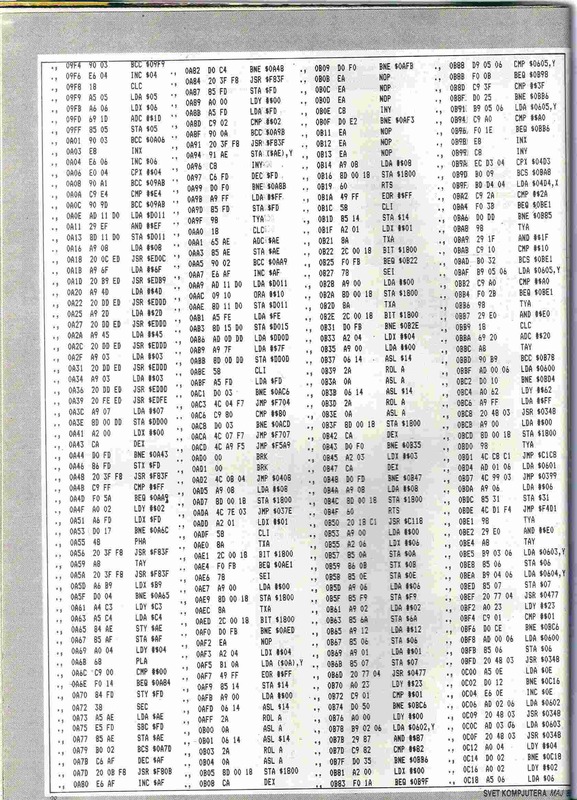 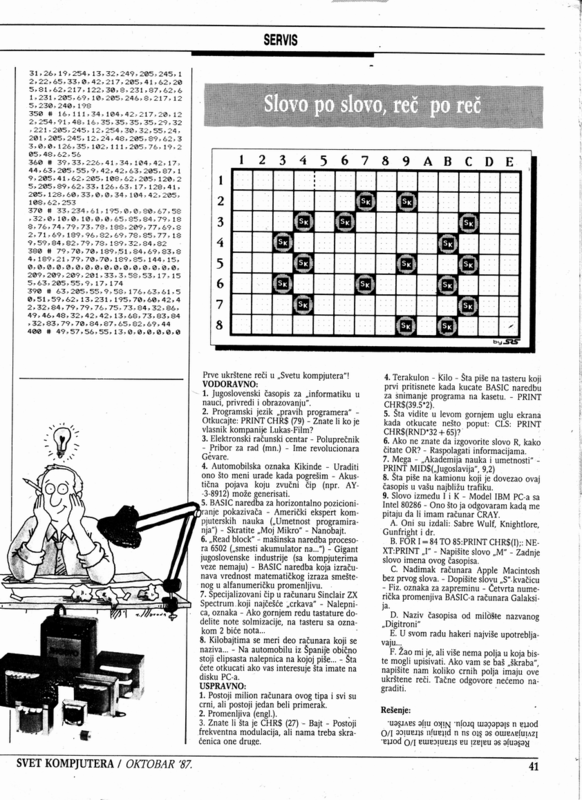 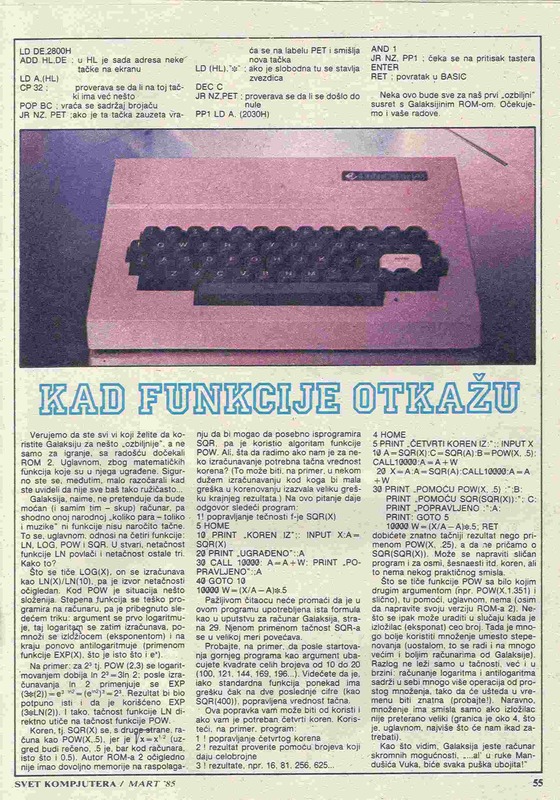 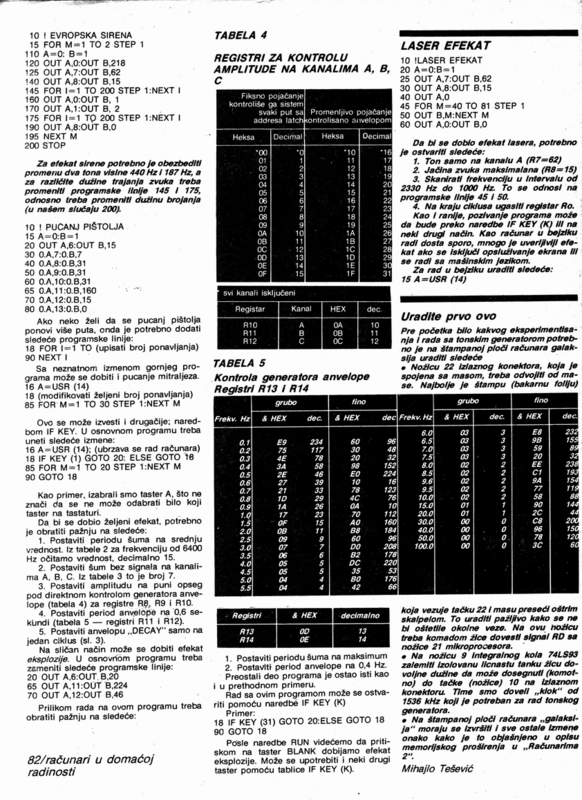 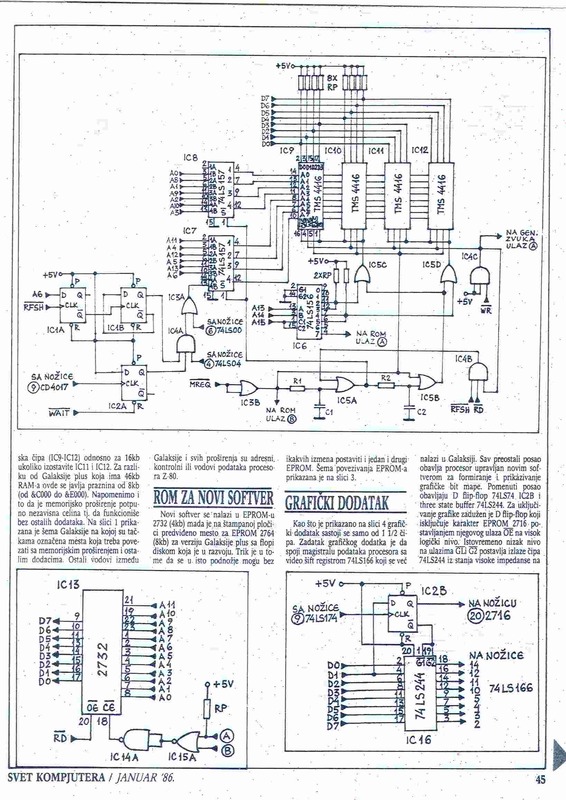 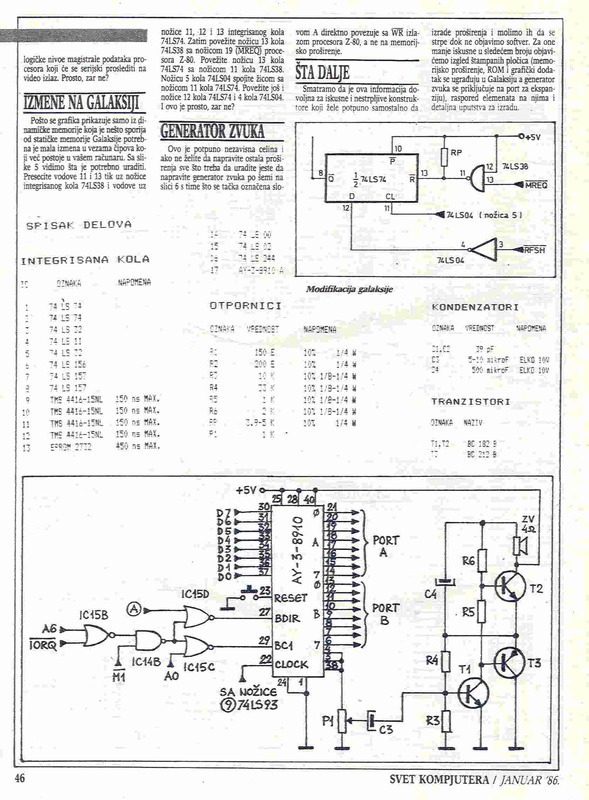 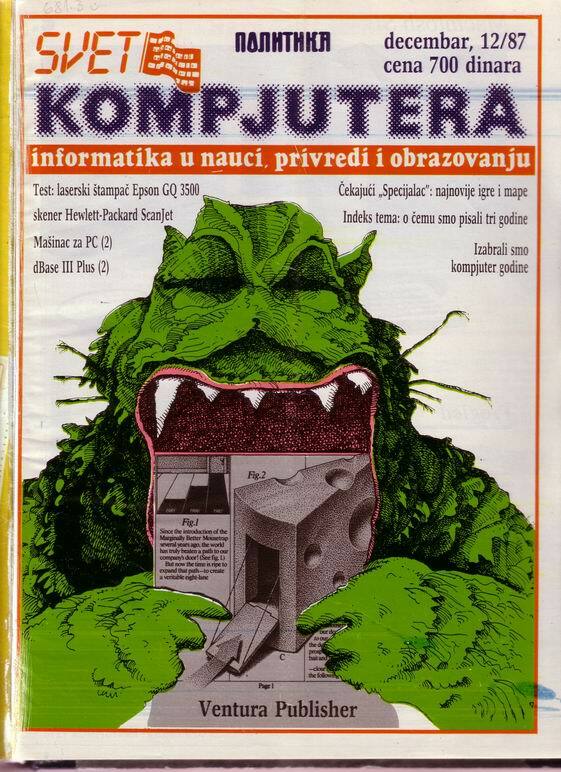 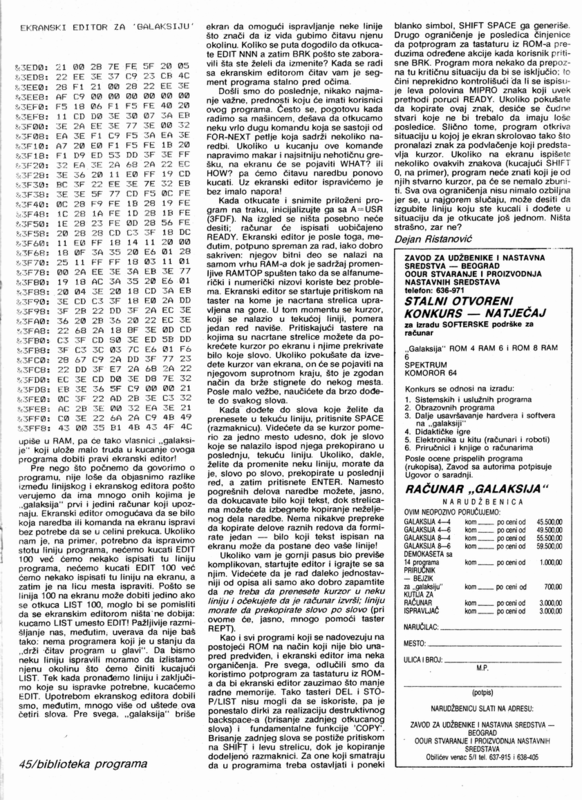 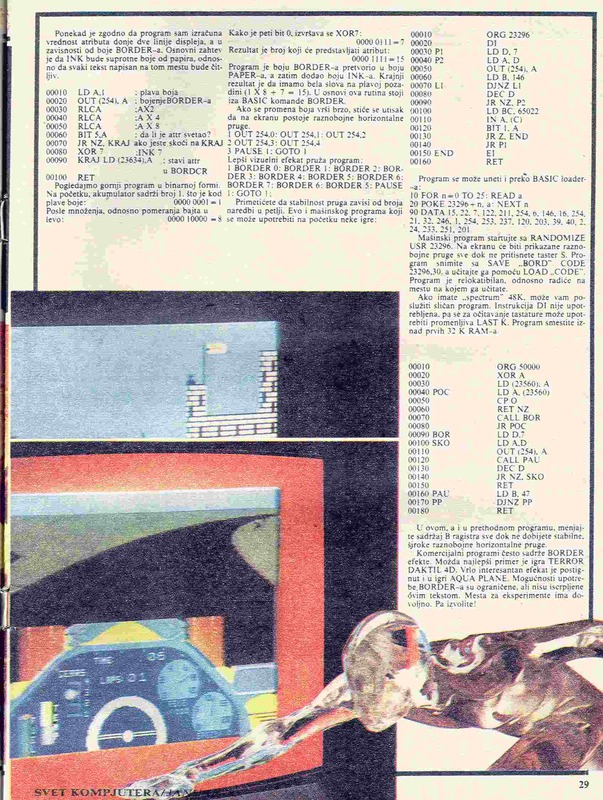 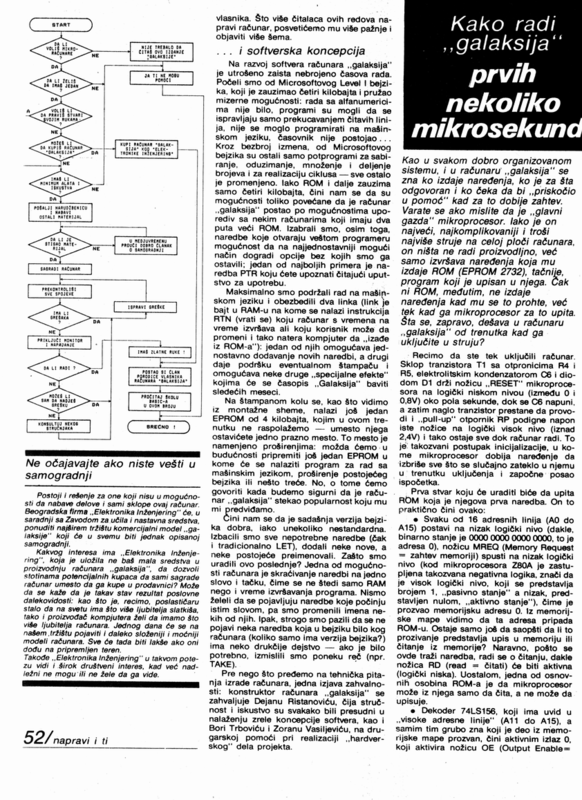 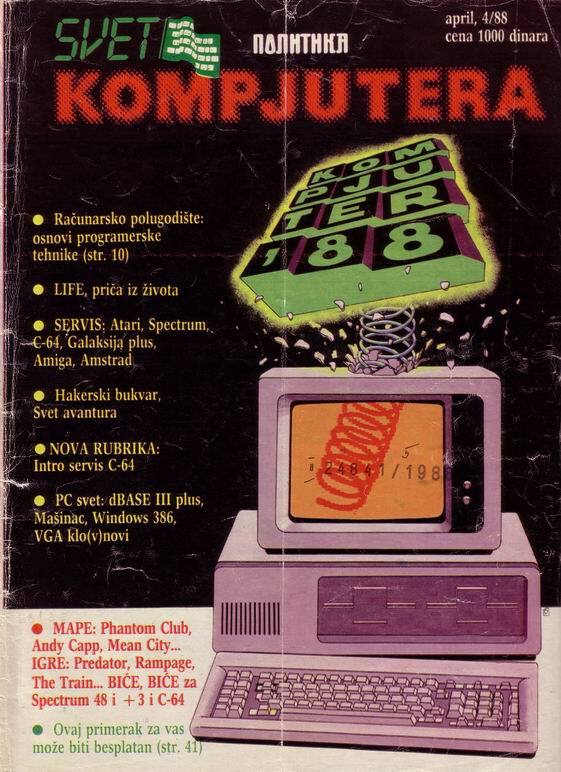 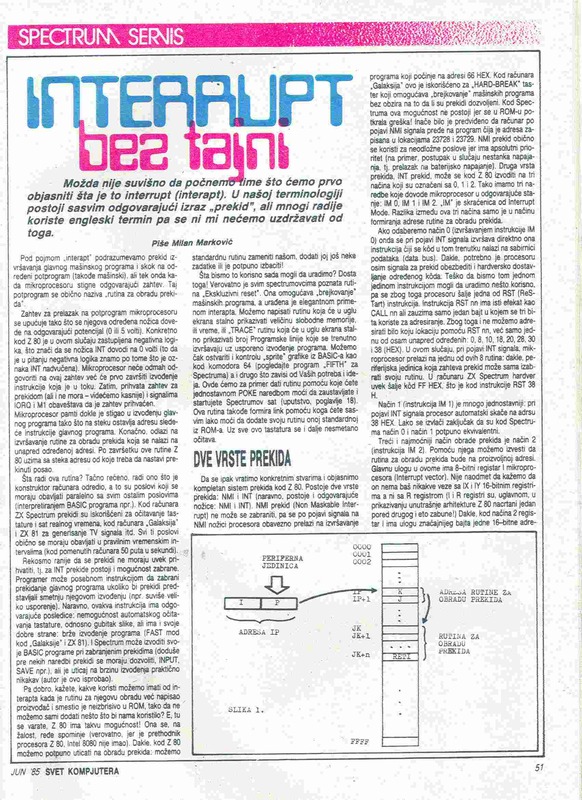 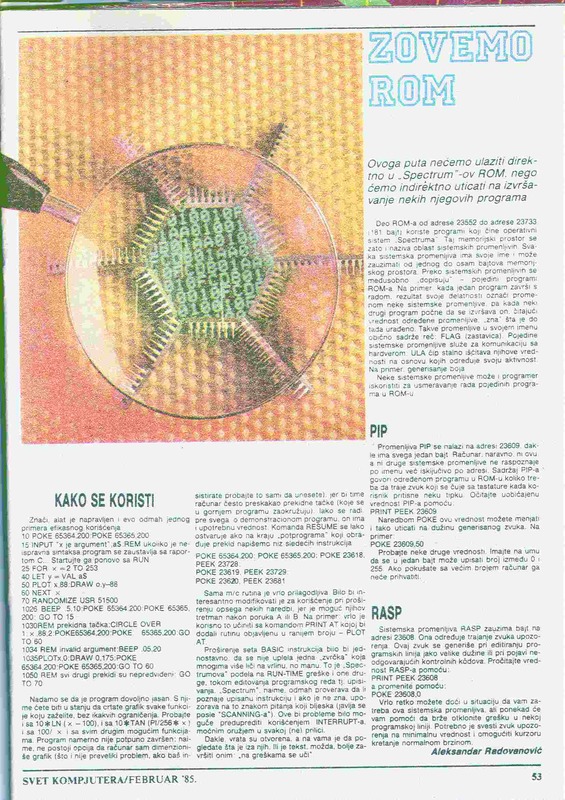 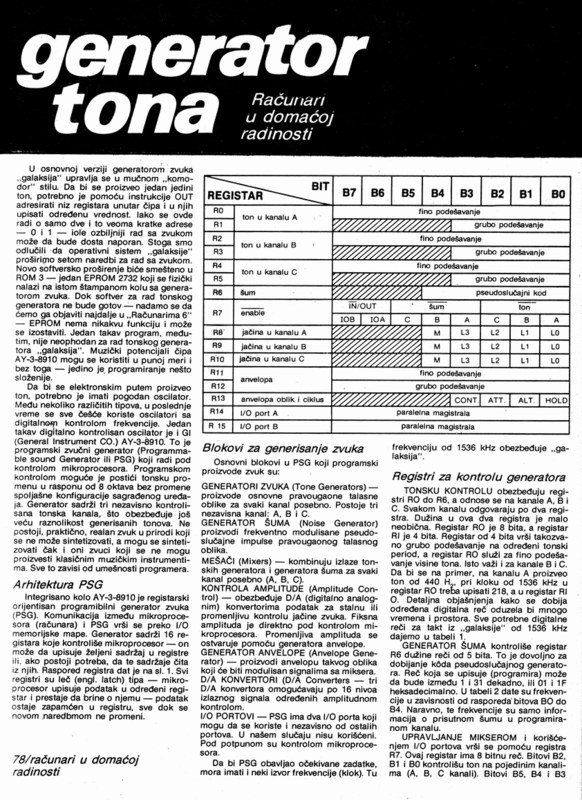 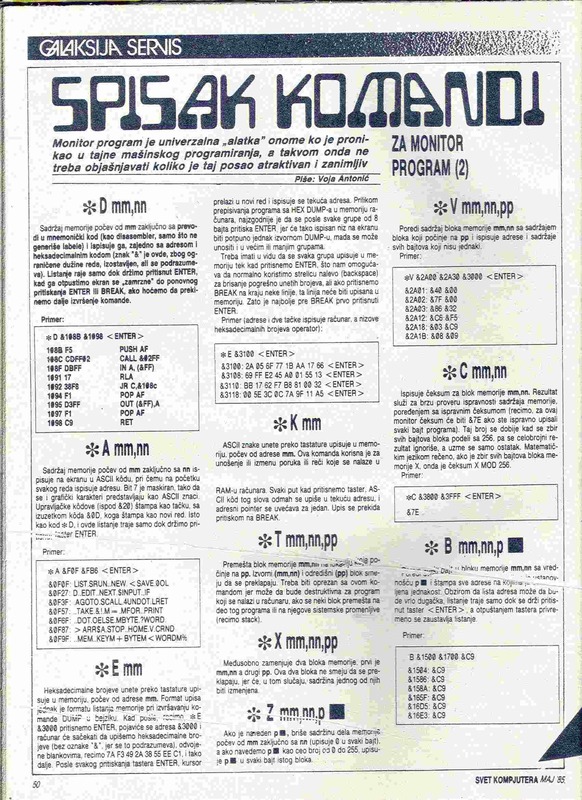 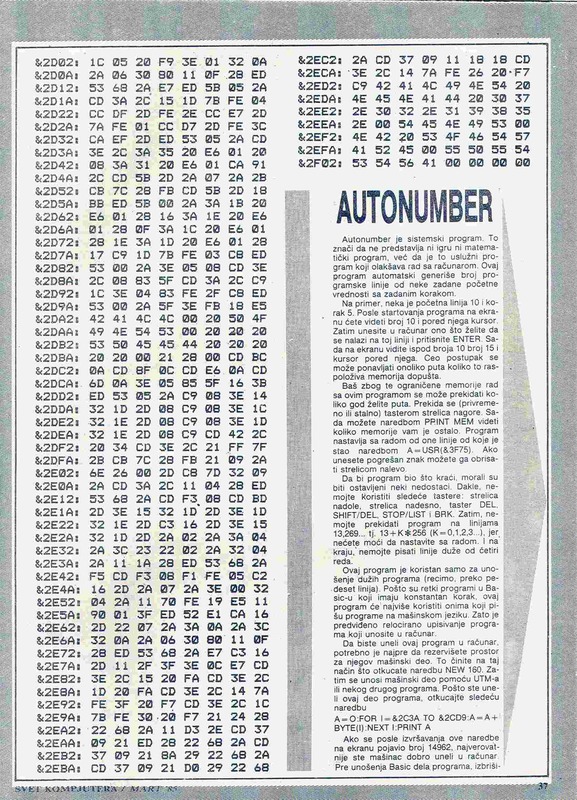 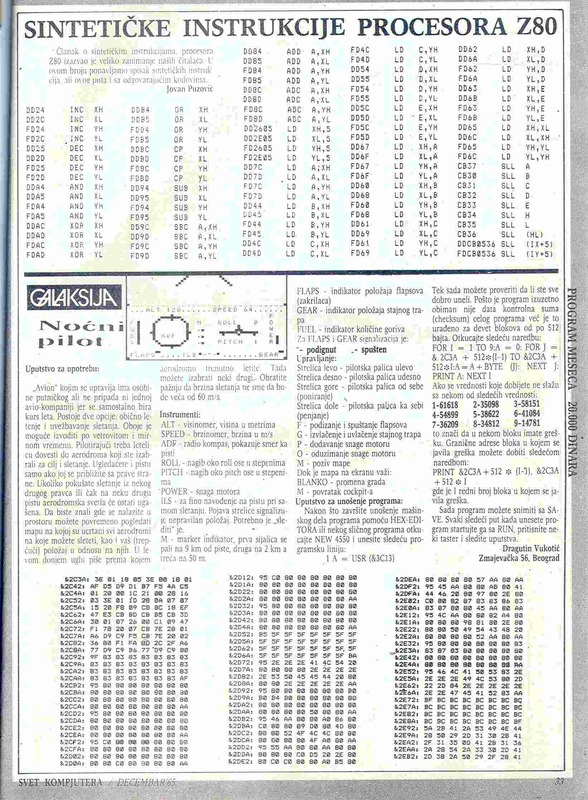 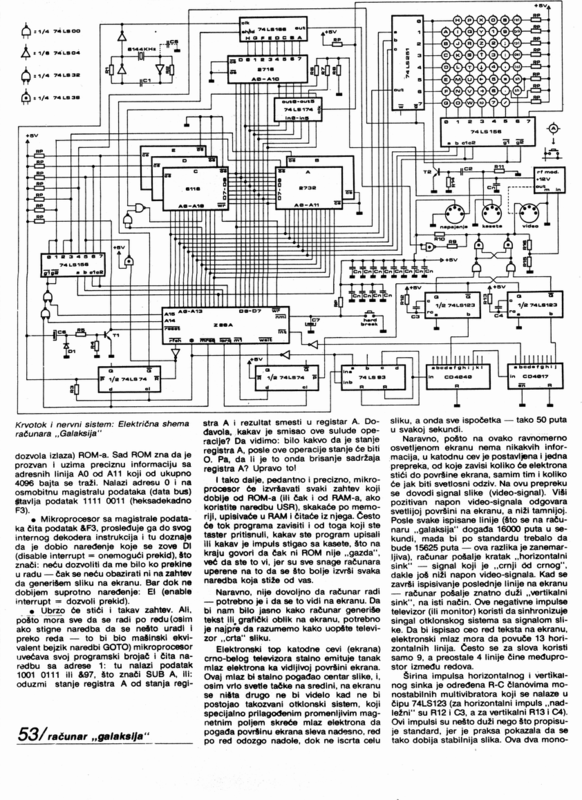 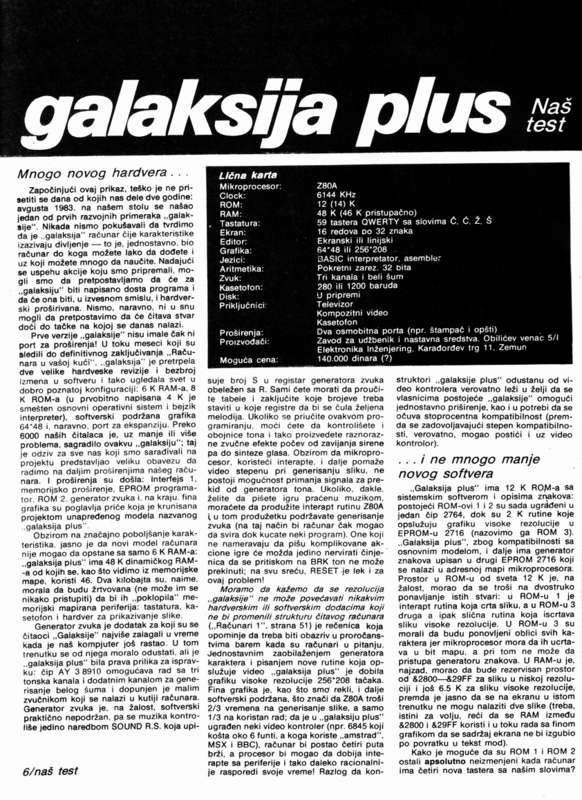 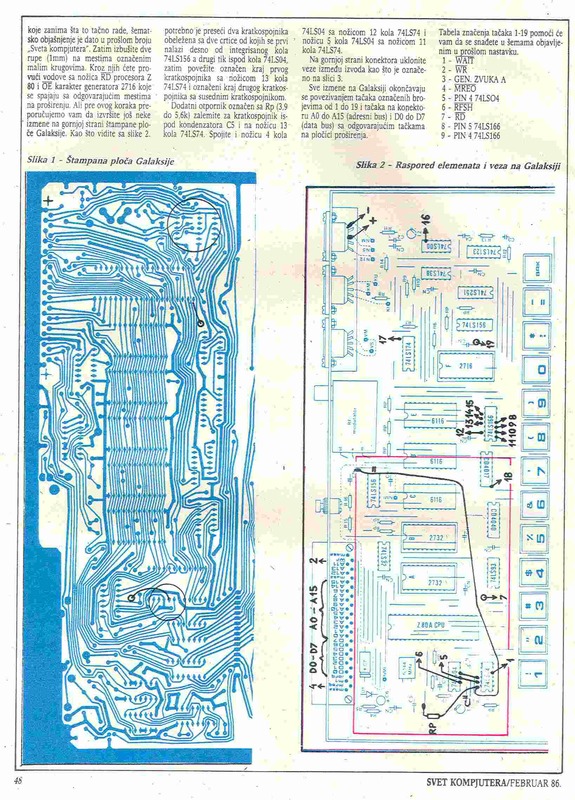 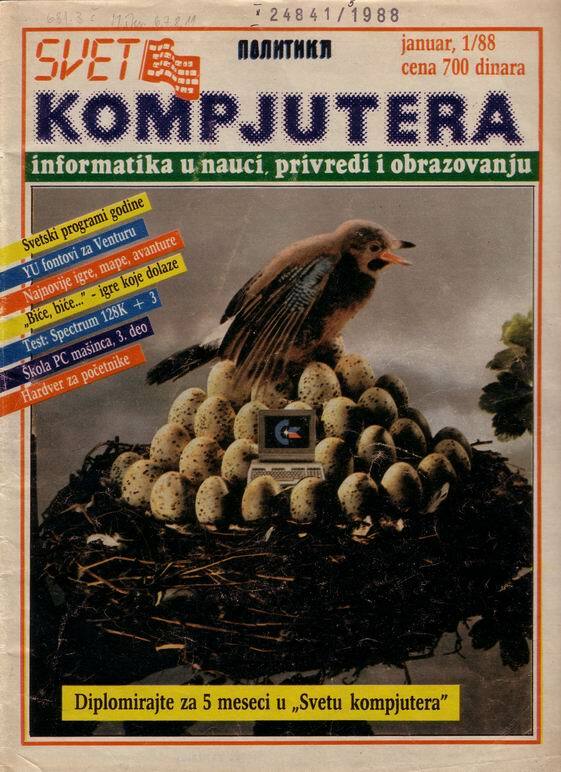 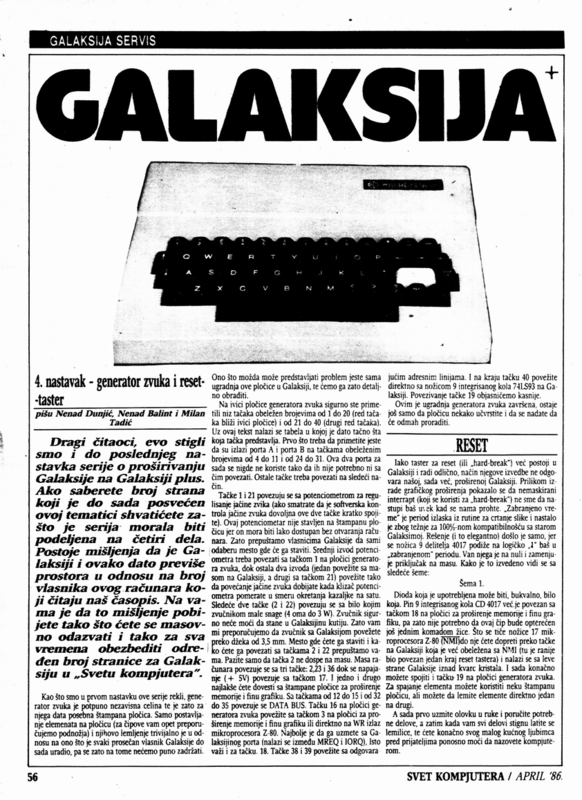 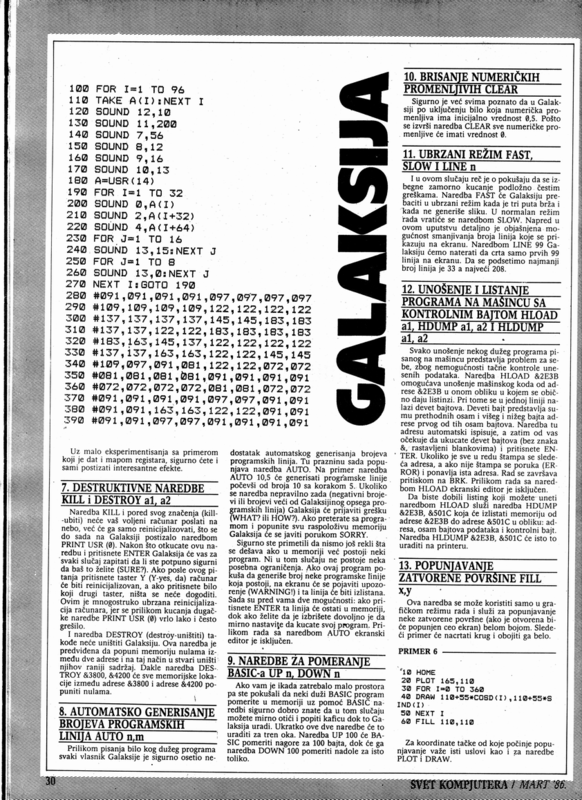 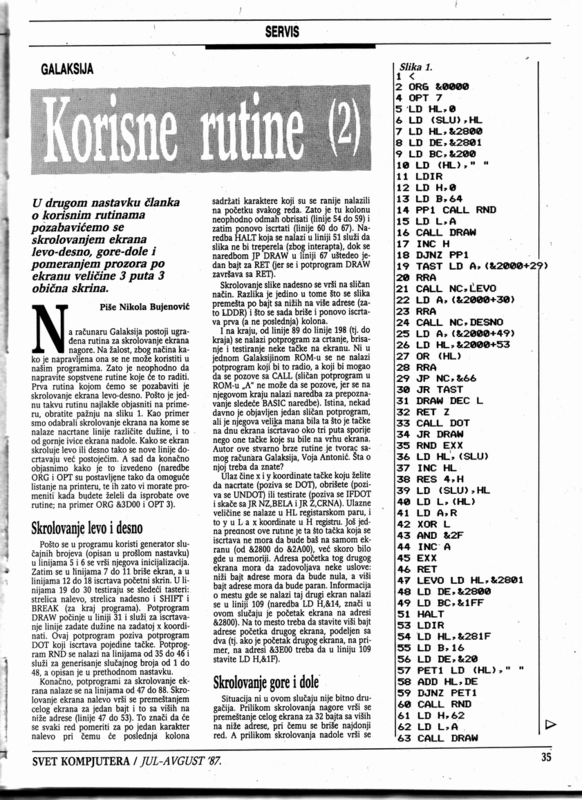 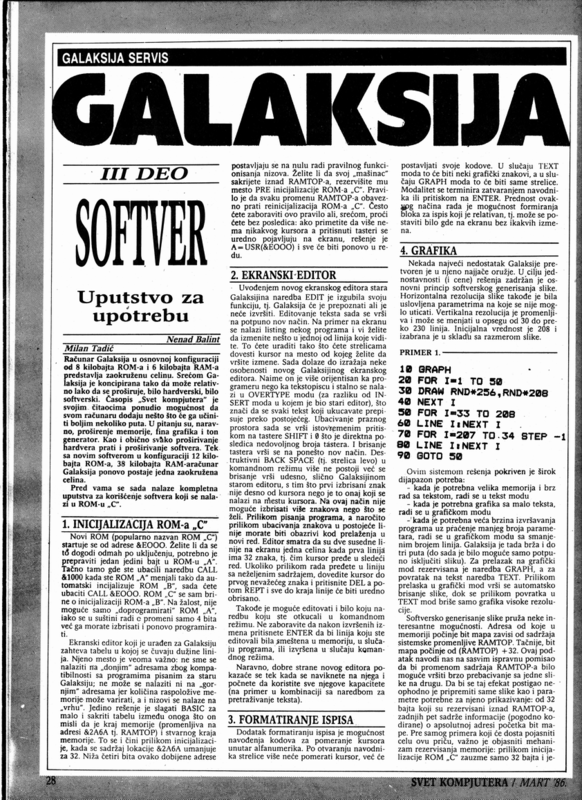 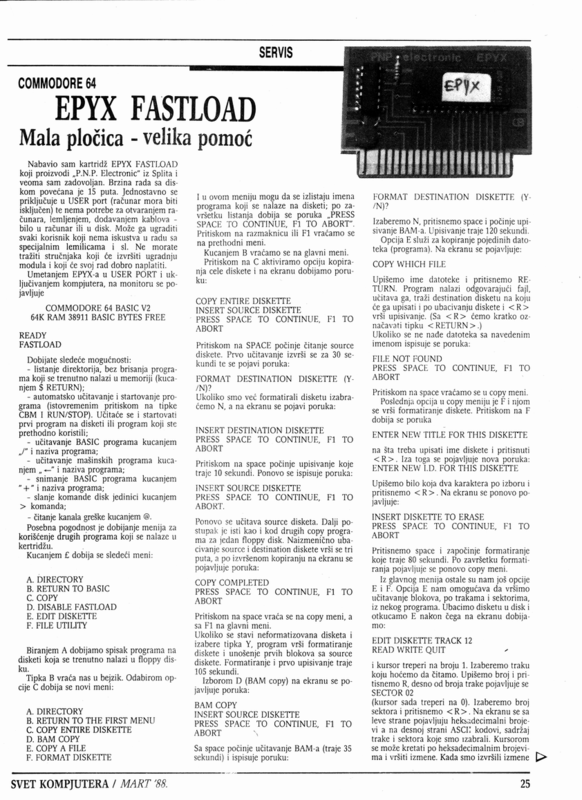 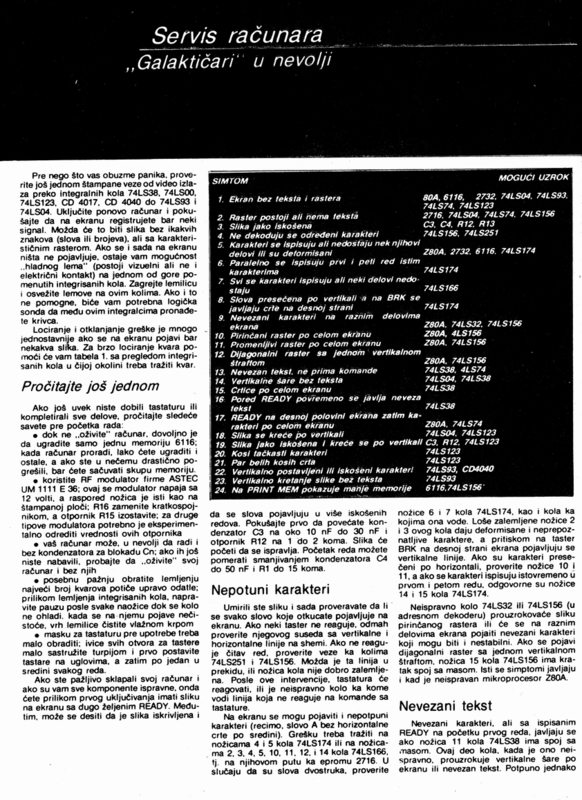 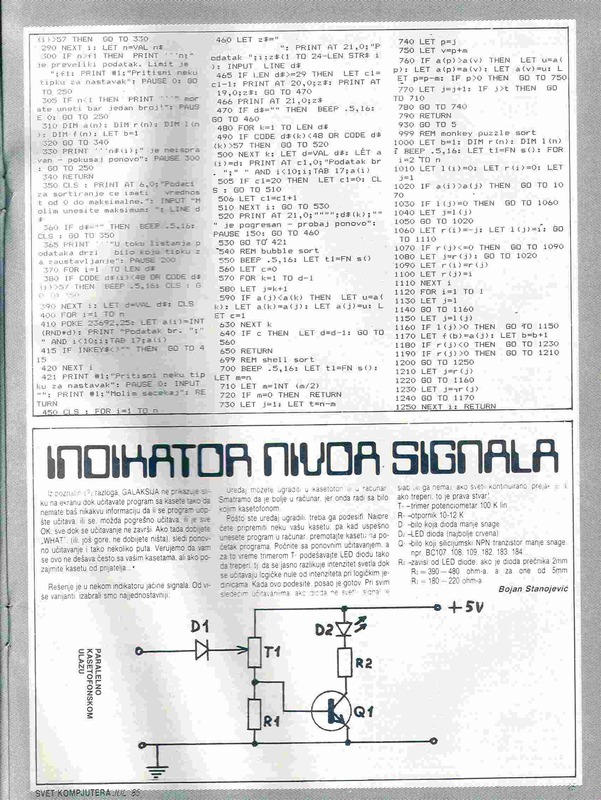 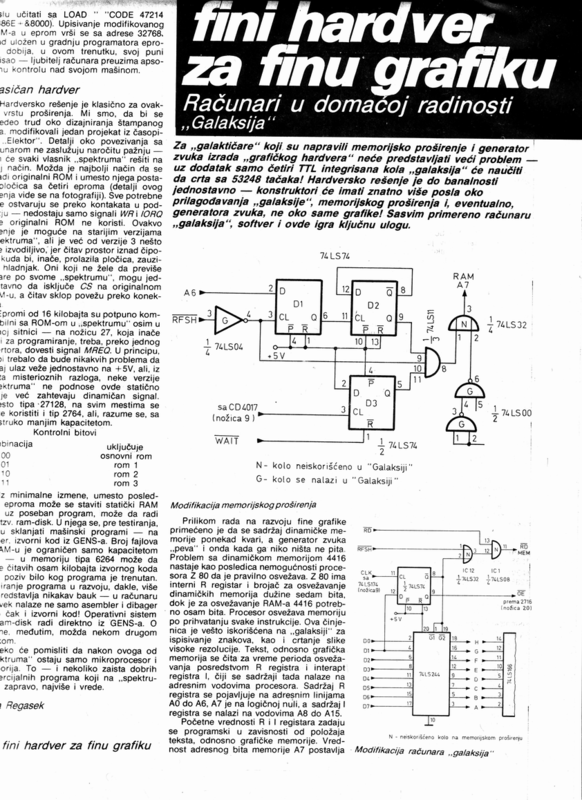 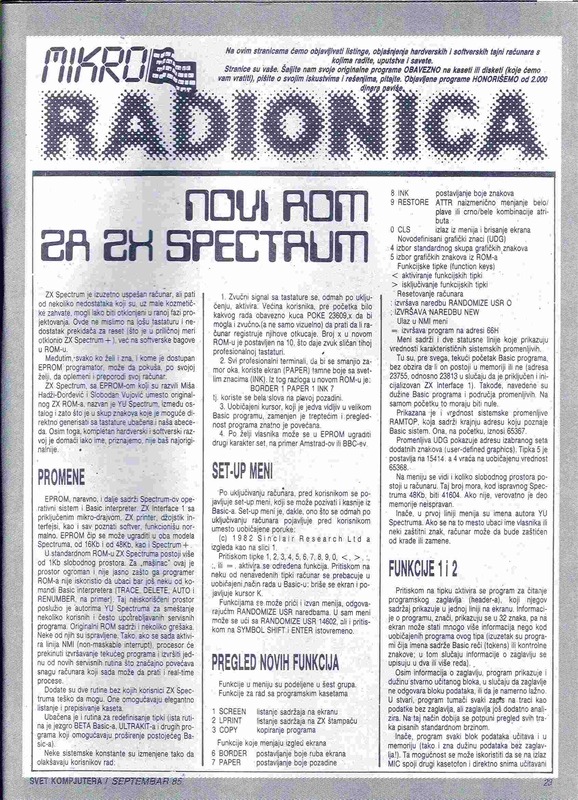 Also most wanted are scans from the Galaksija magazine - basically anything Galaksija computer related and/or ZX Spectrum, C64 related. 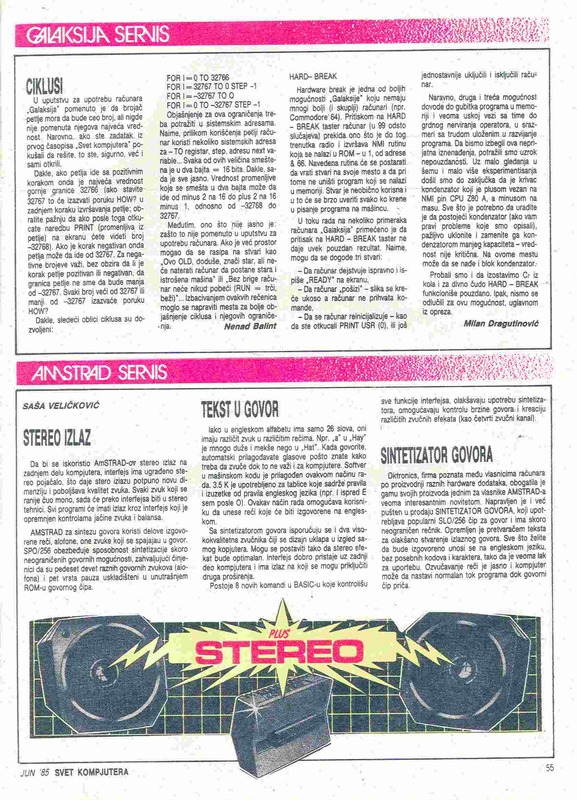 BIG thanx to Damjan Lenarcic and Miodrag Stancevic for the early SK Scans !!! 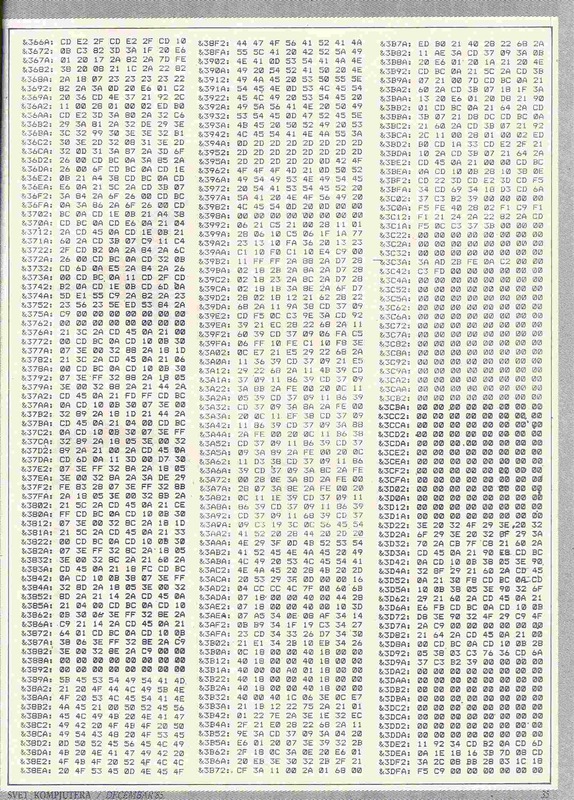 If you have ANYTHING to add on this page please do Email me!